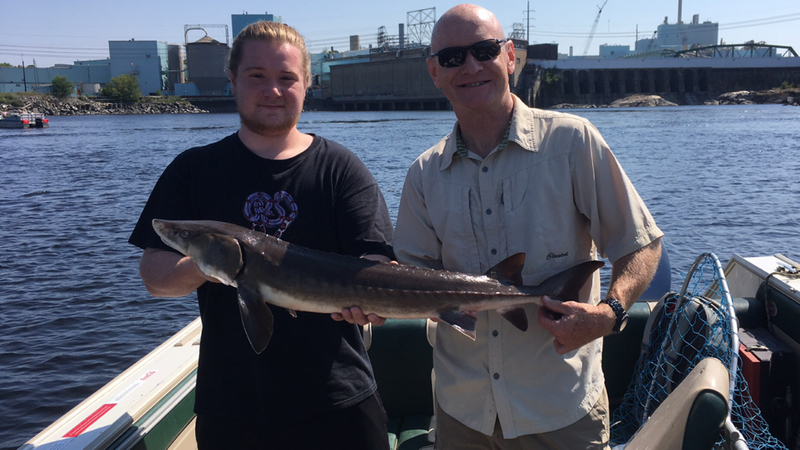 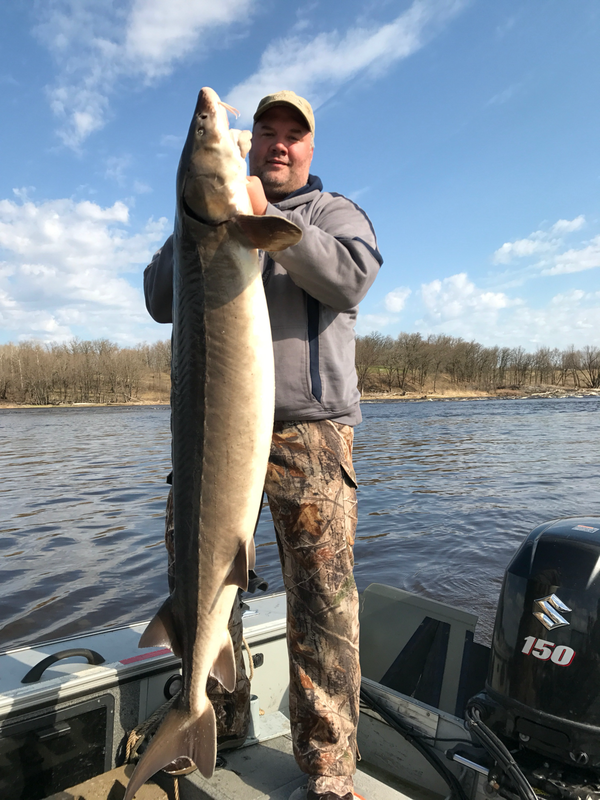 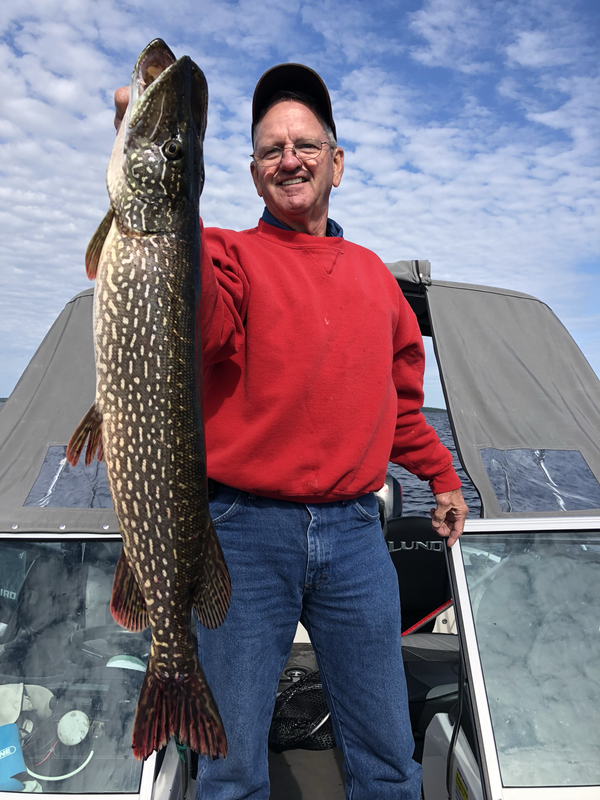 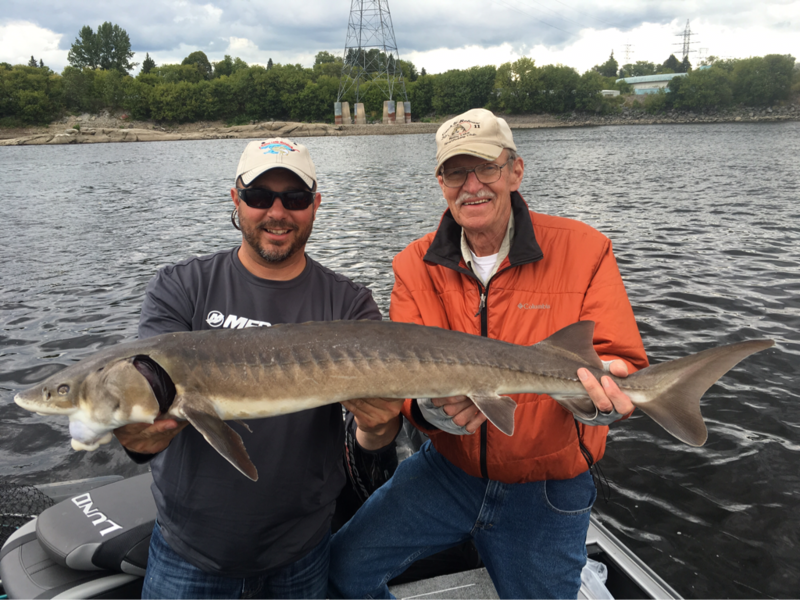 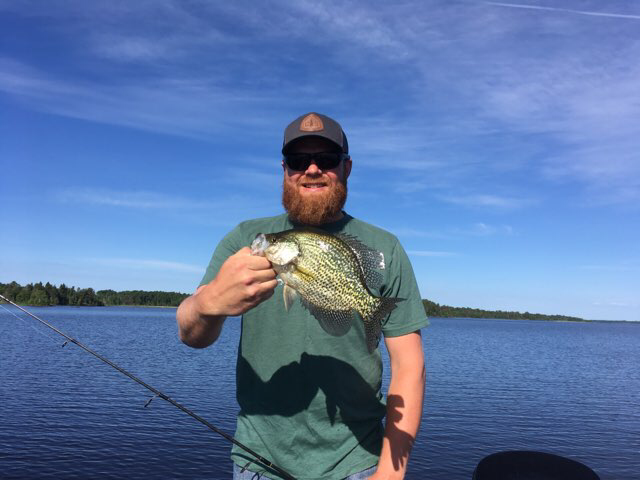 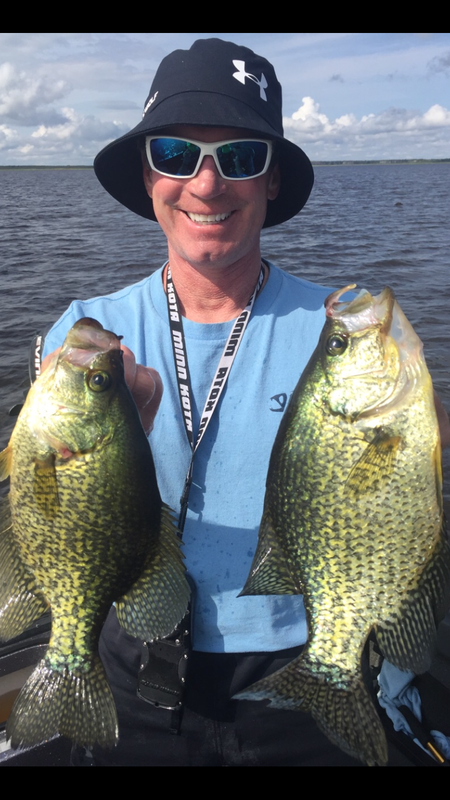 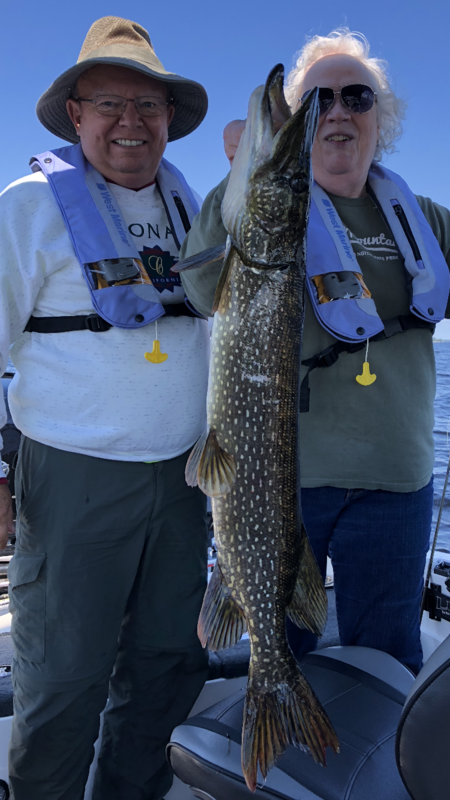 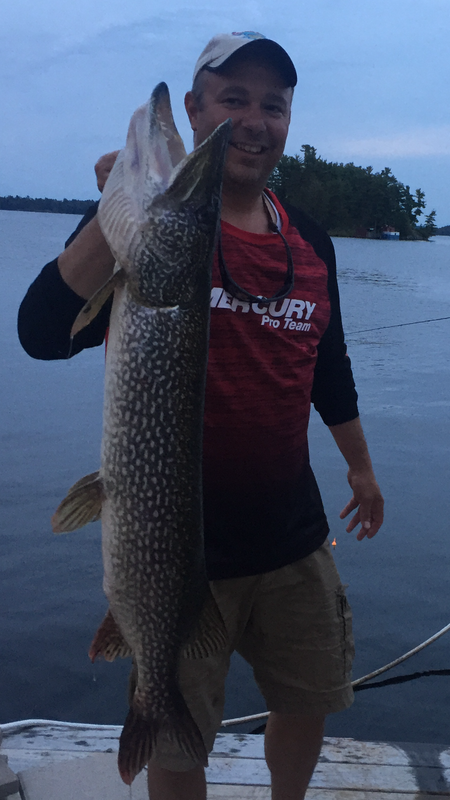 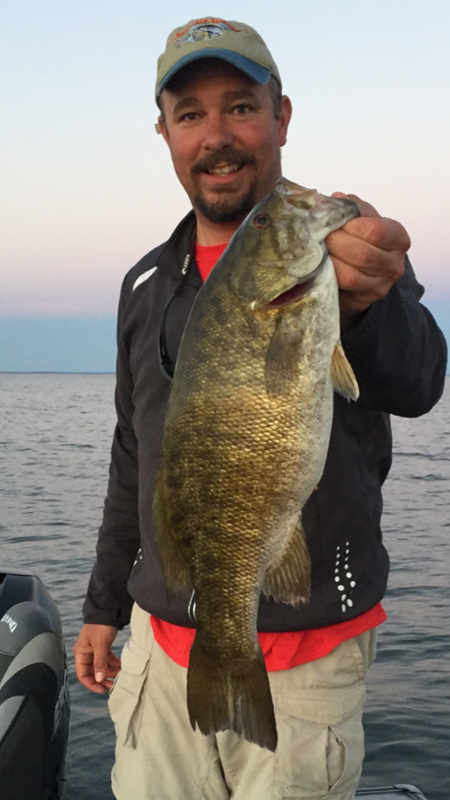 Captain Scott with a 30.5"
Troy Hanson with a 60 lb Dino! 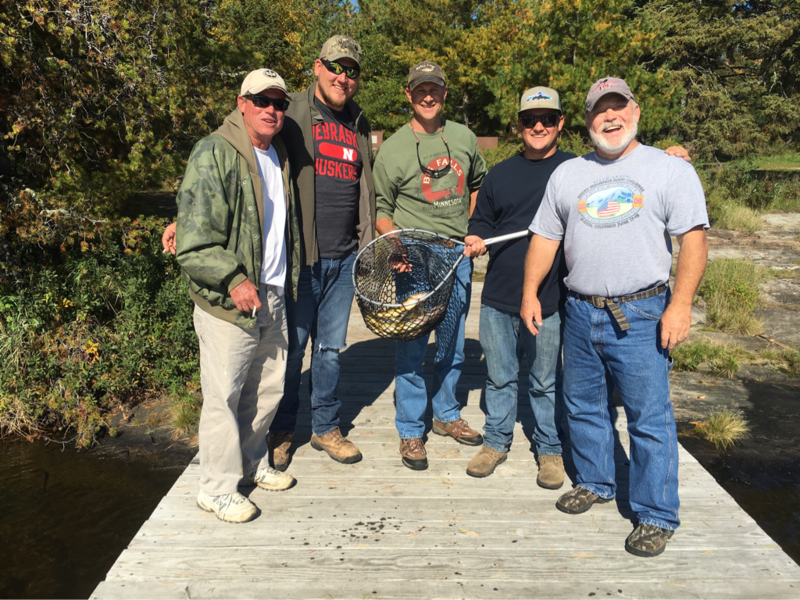 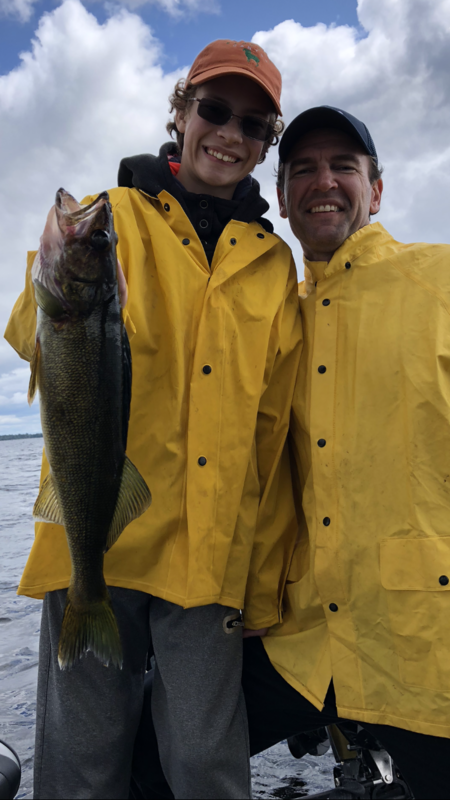 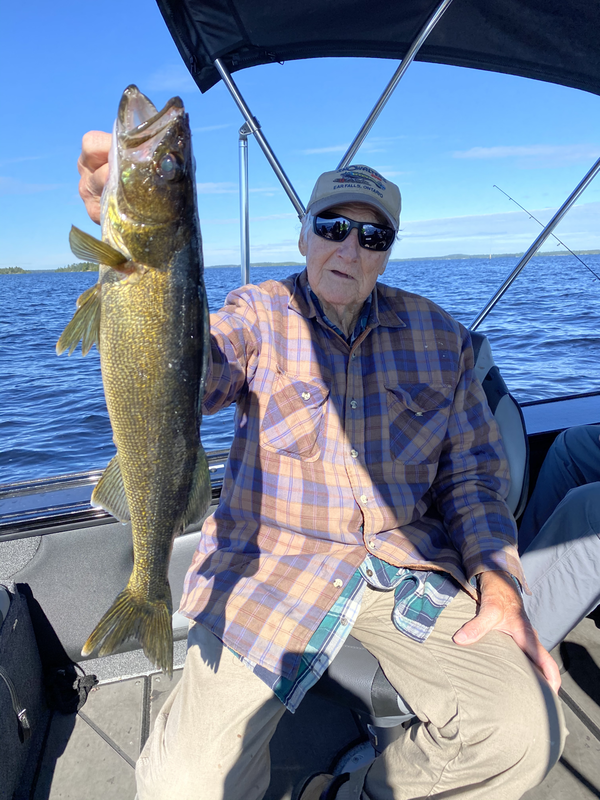 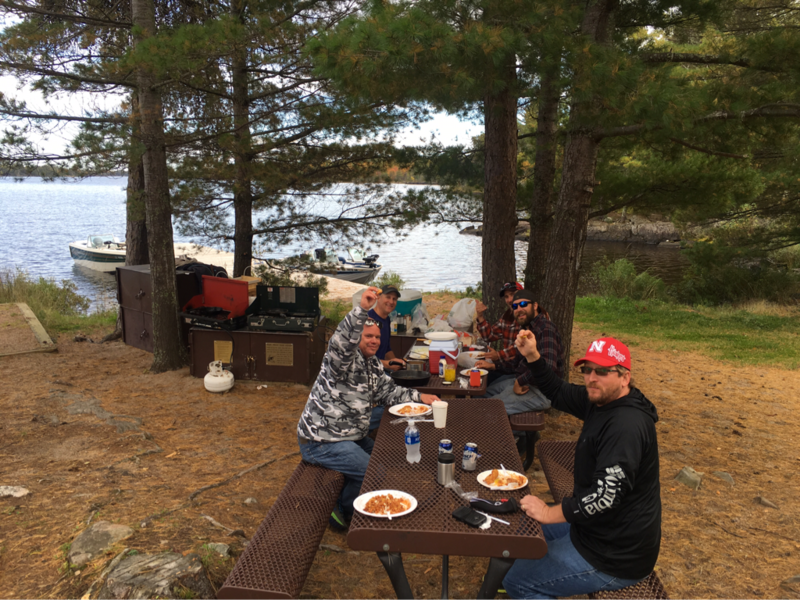 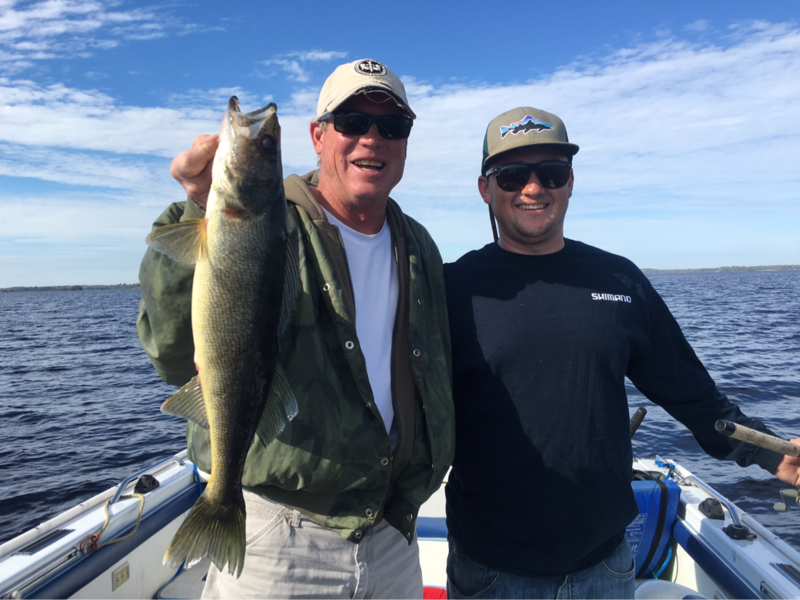 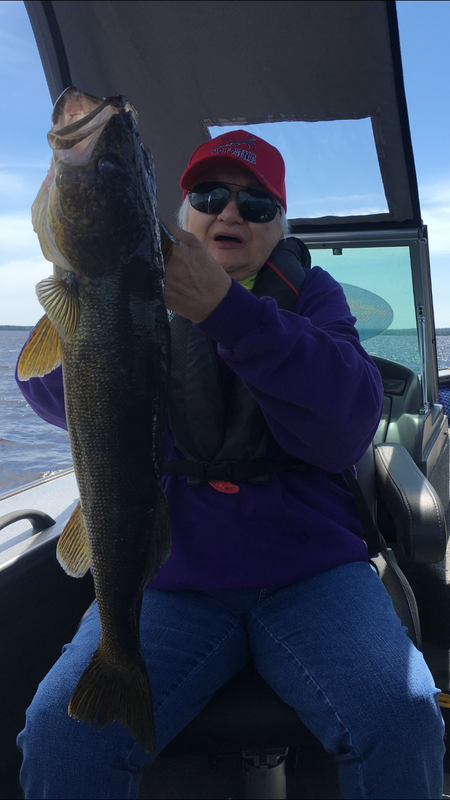 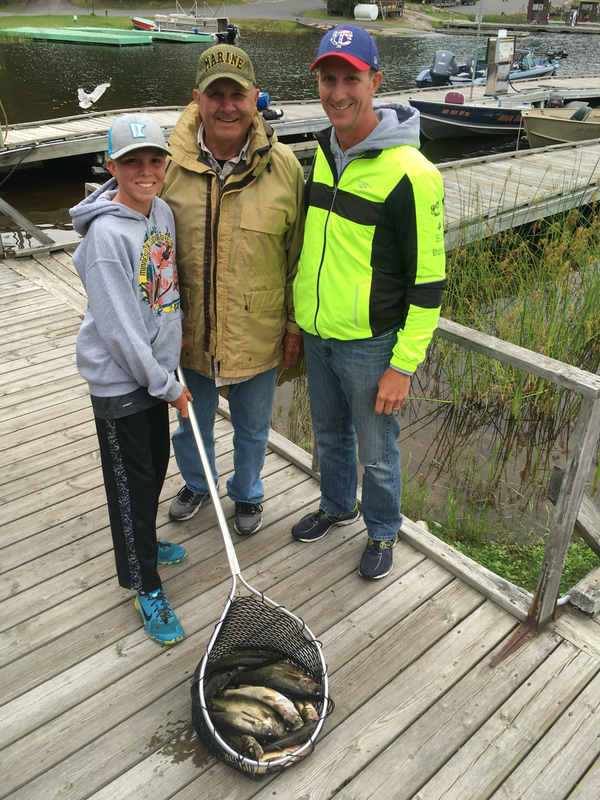 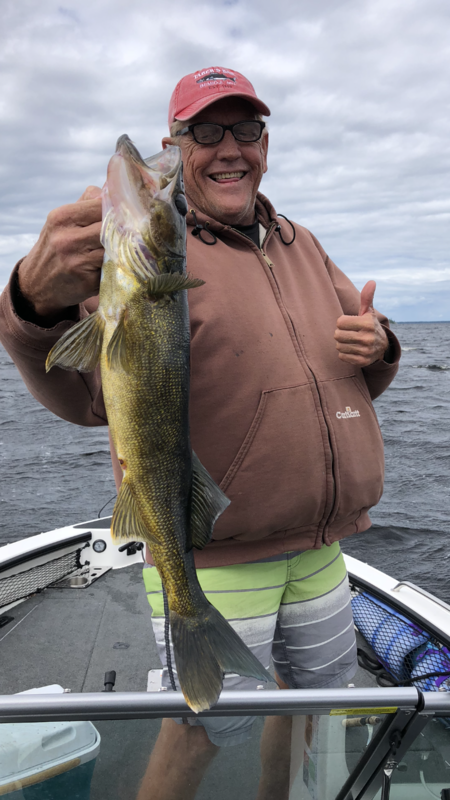 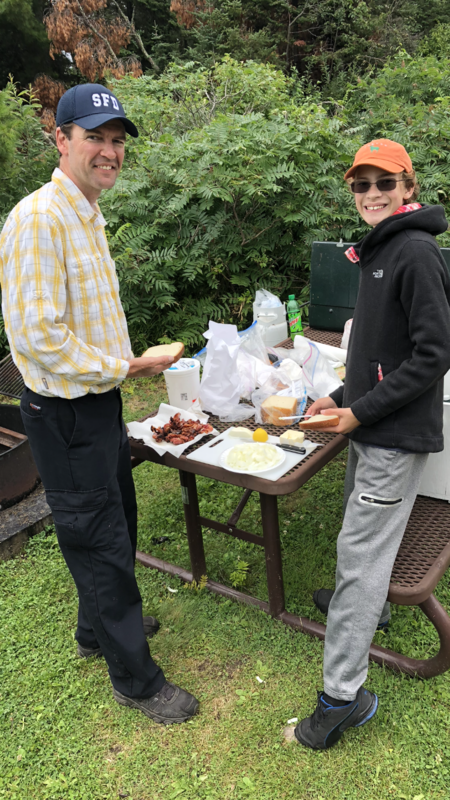 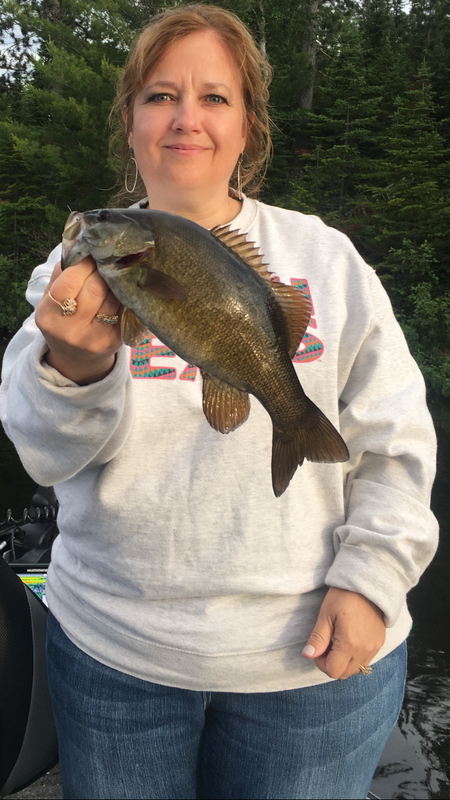 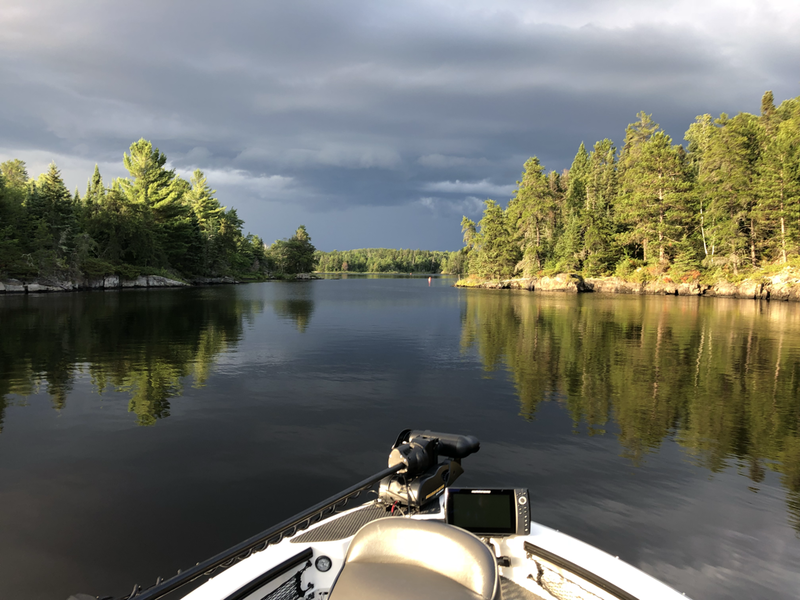 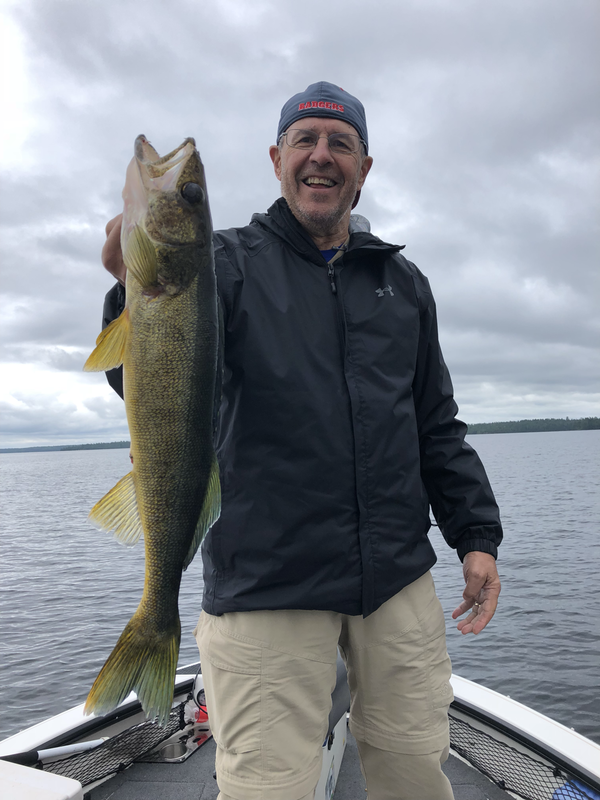 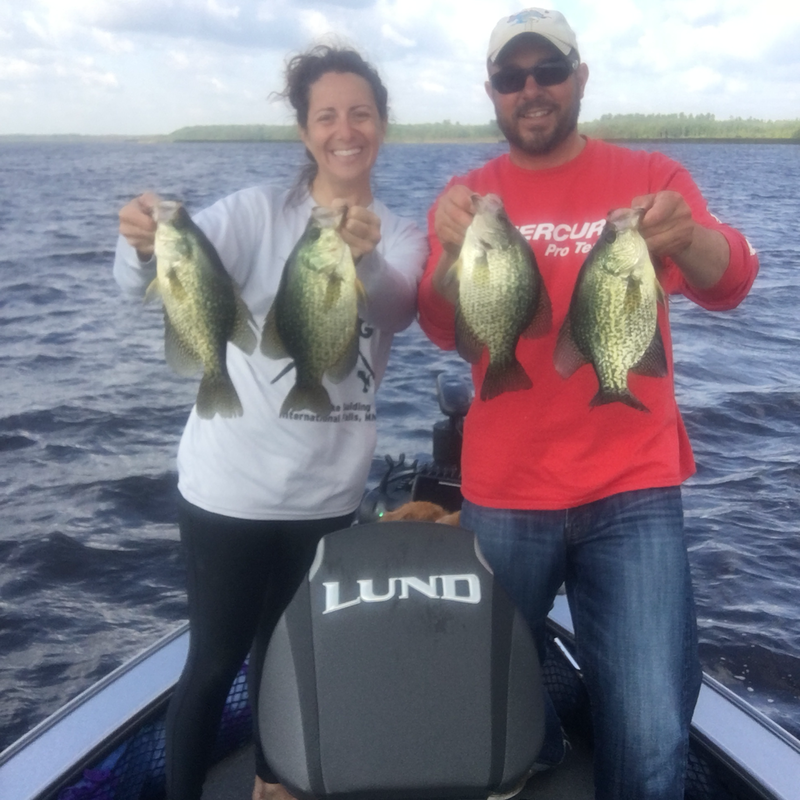 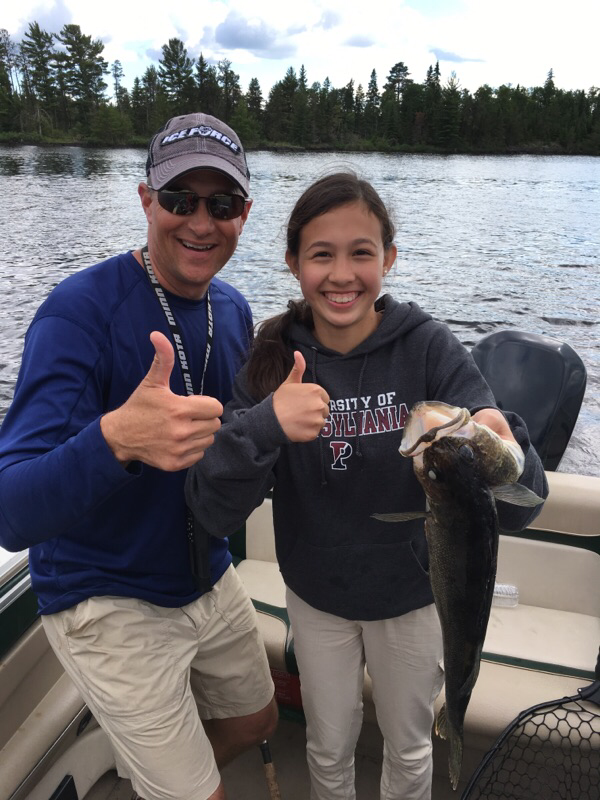 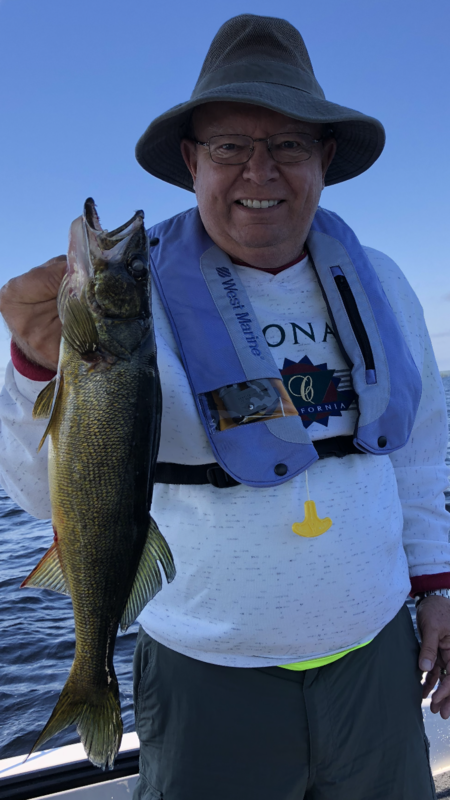 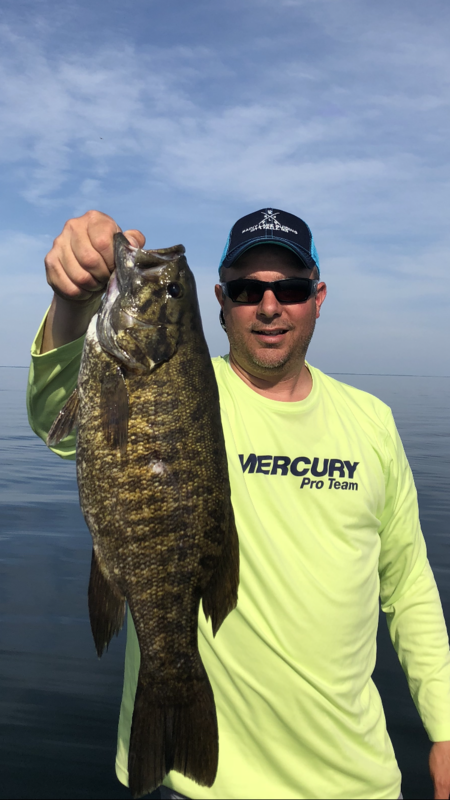 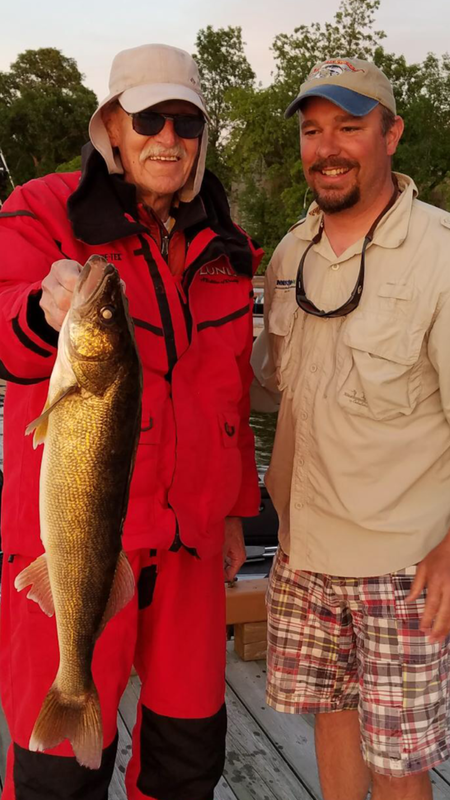 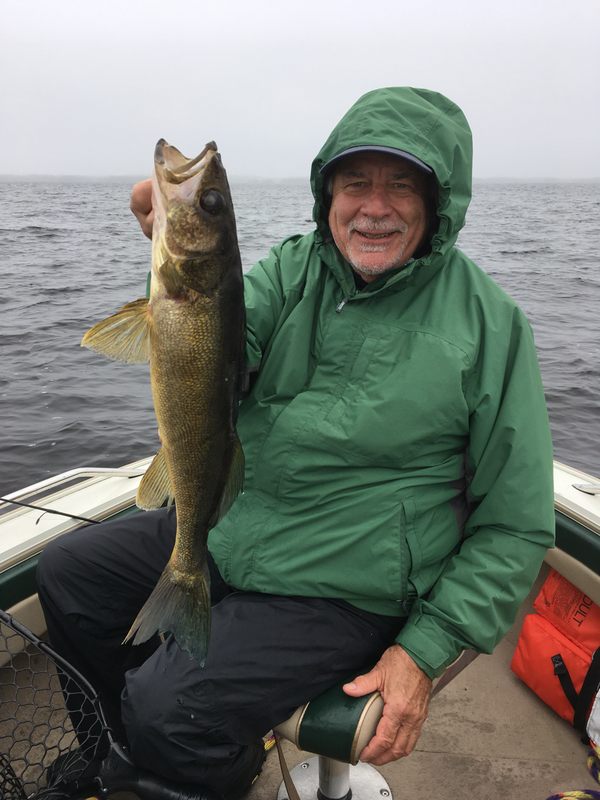 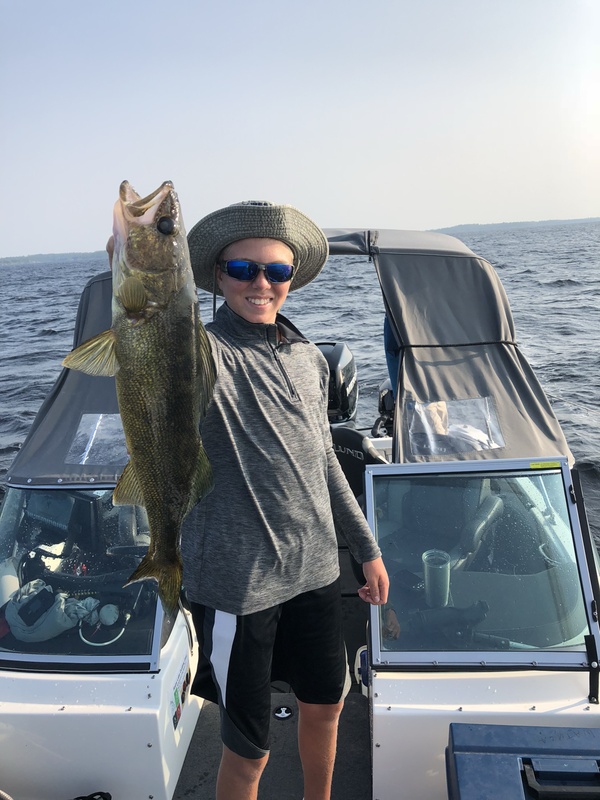 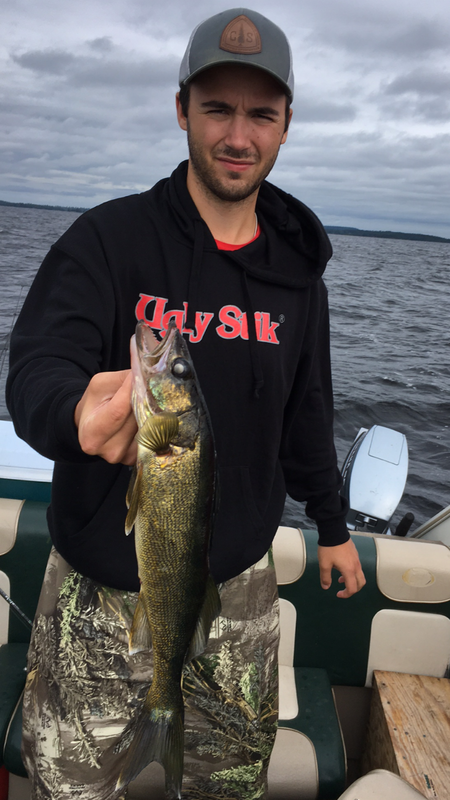 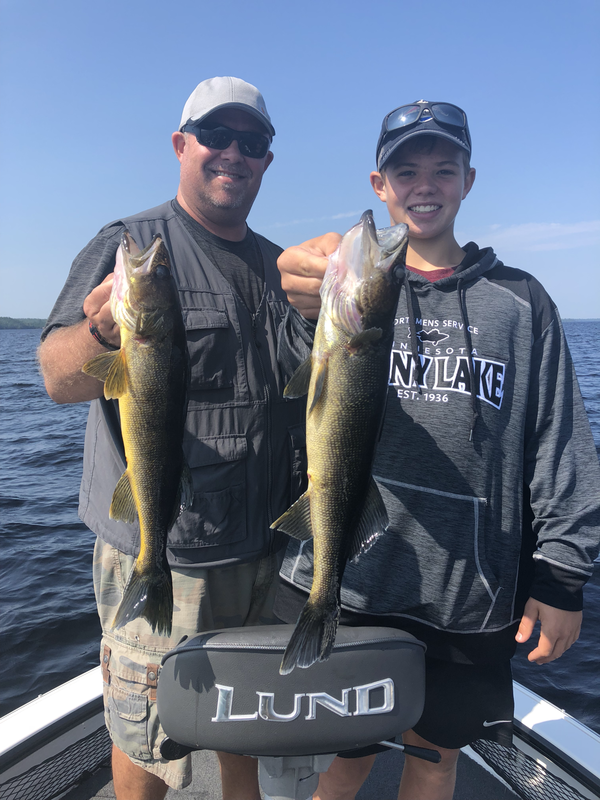 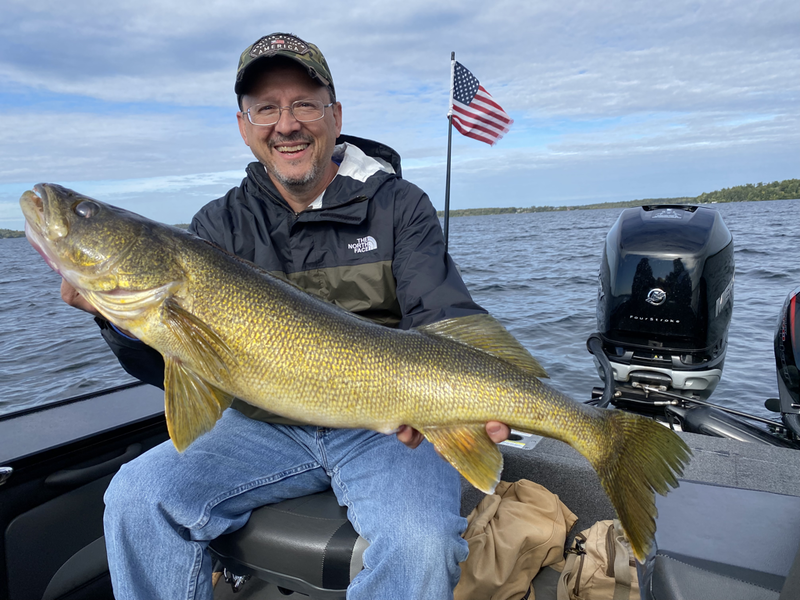 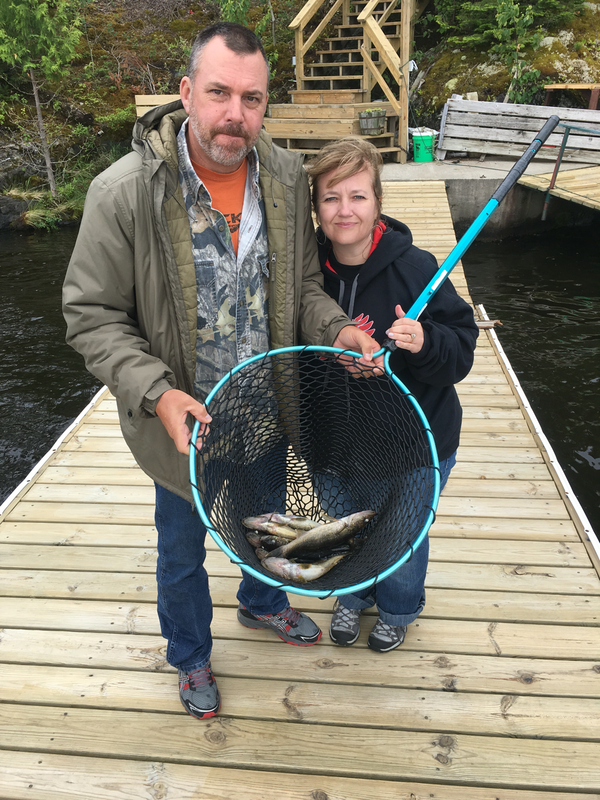 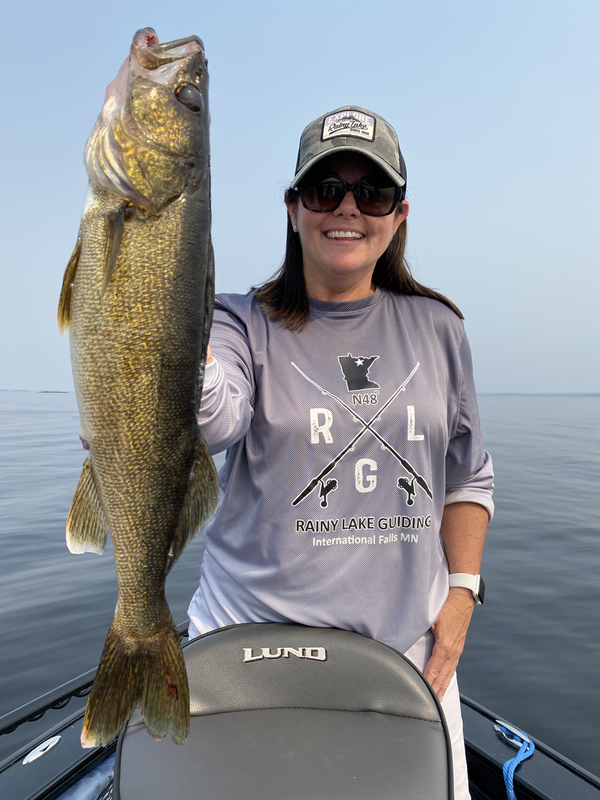 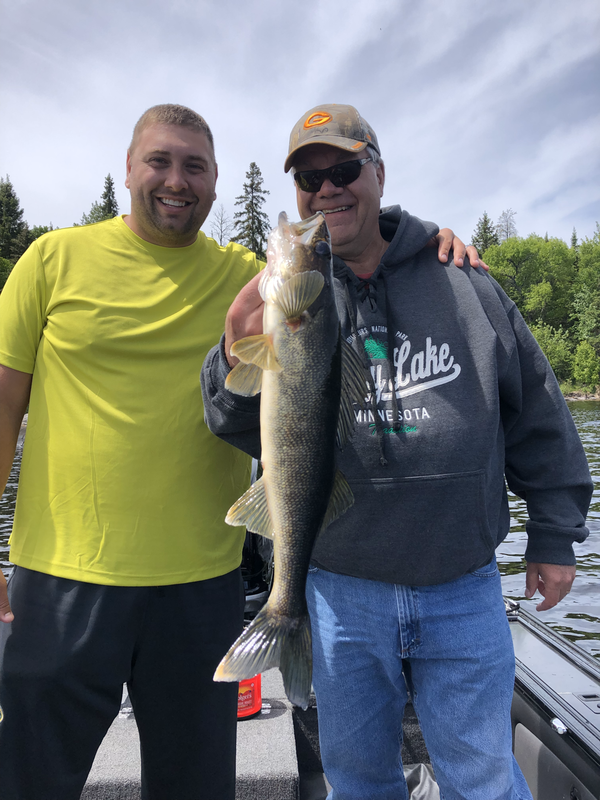 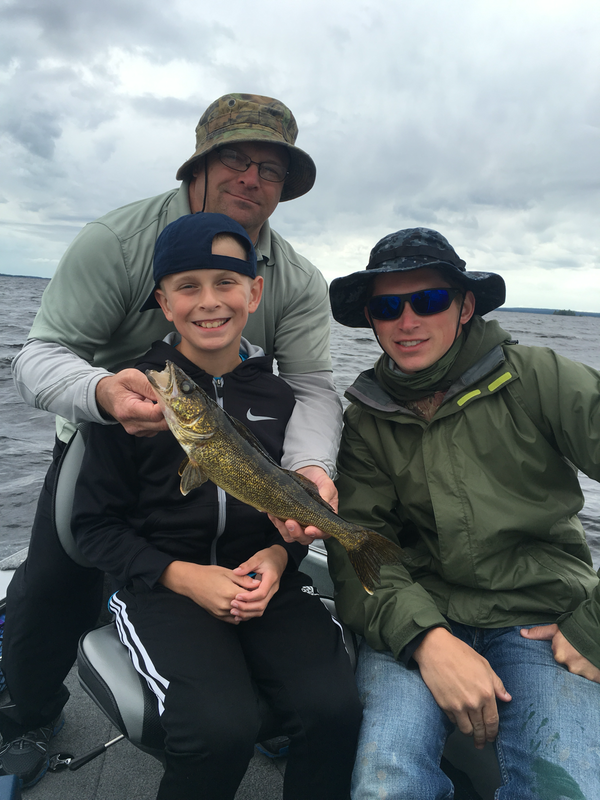 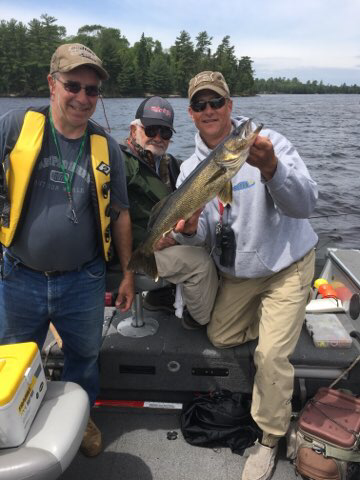 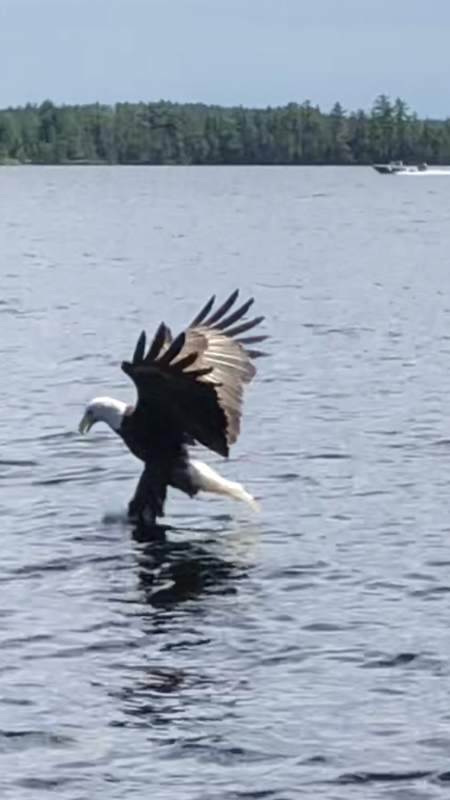 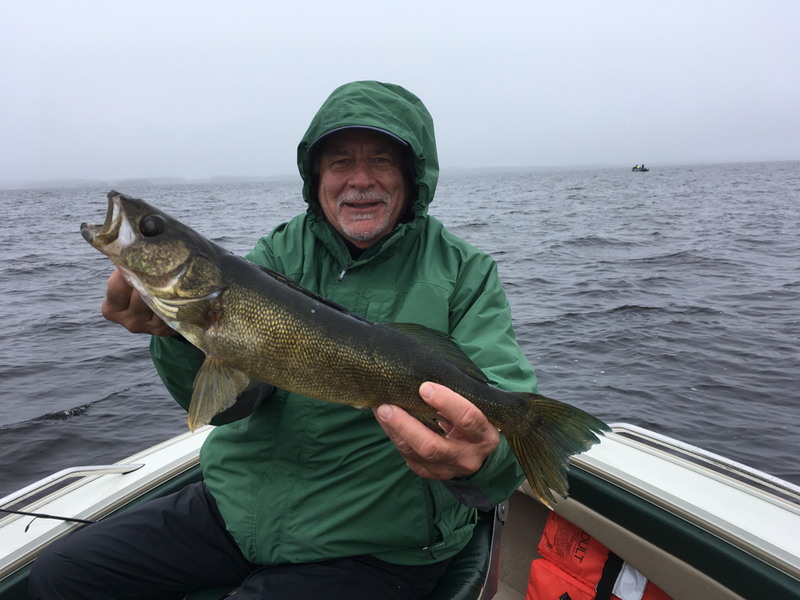 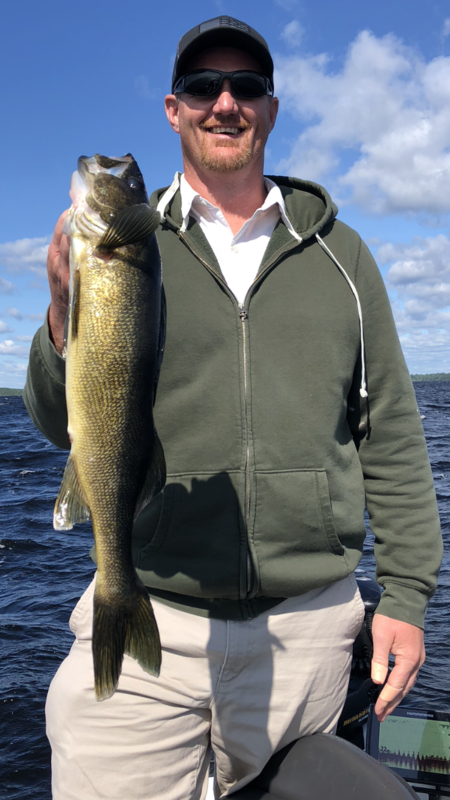 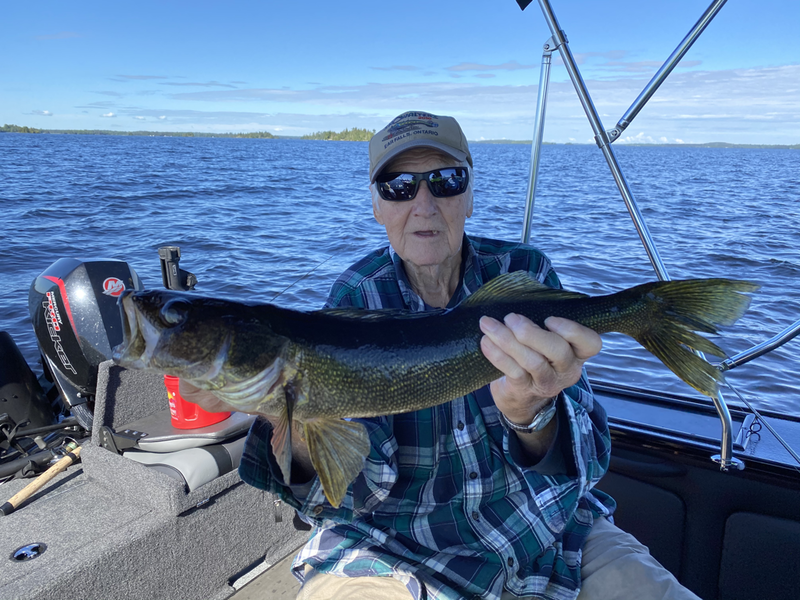 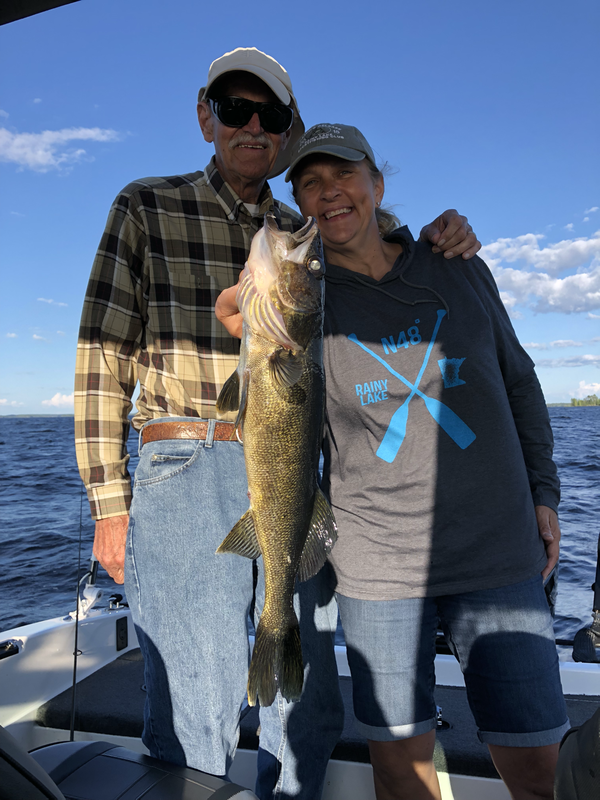 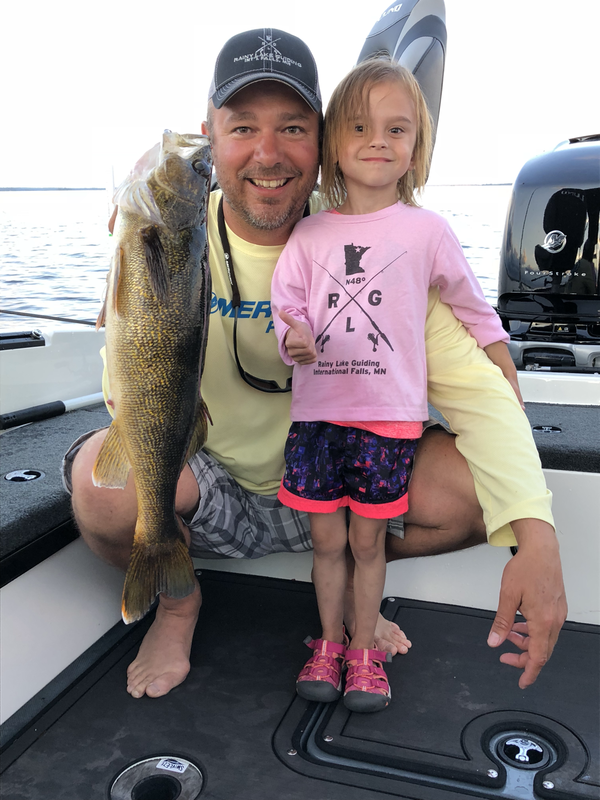 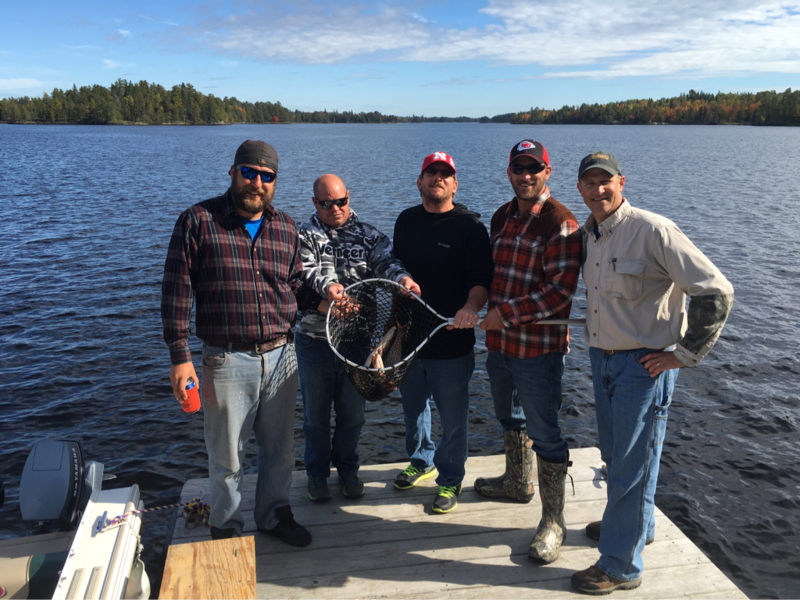 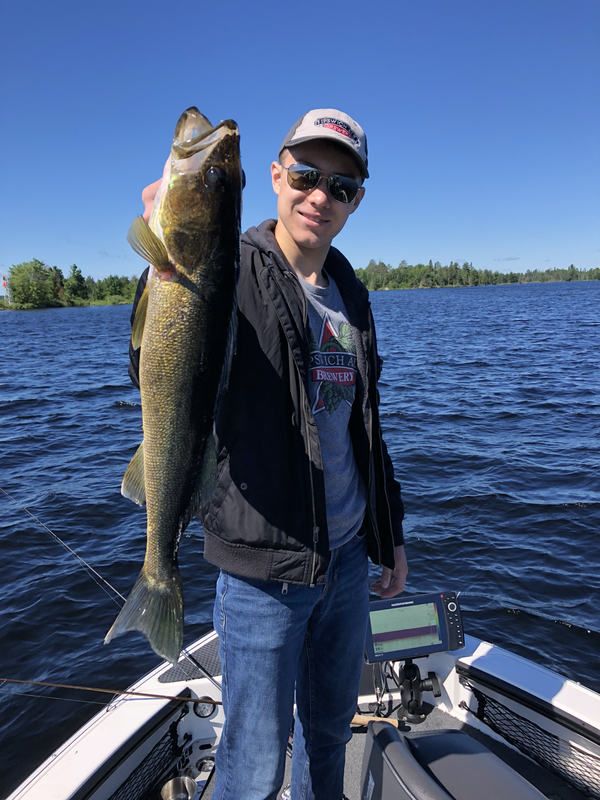 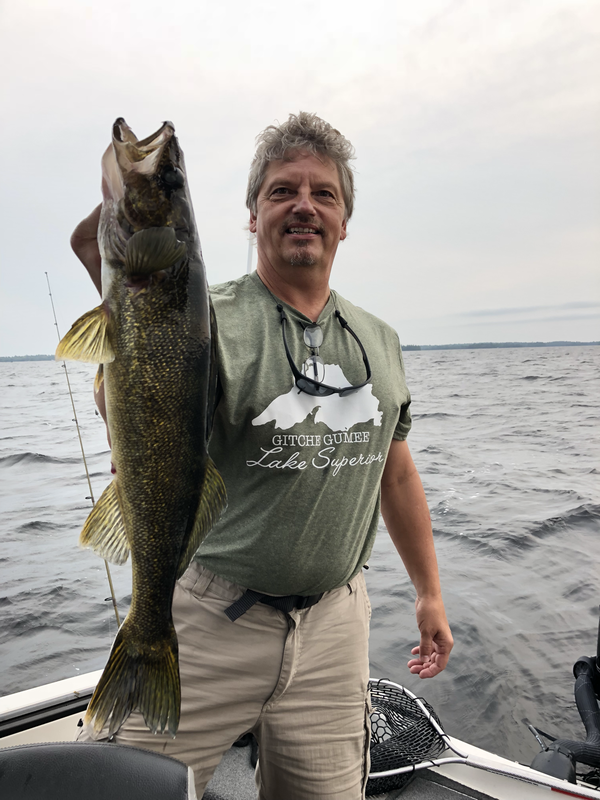 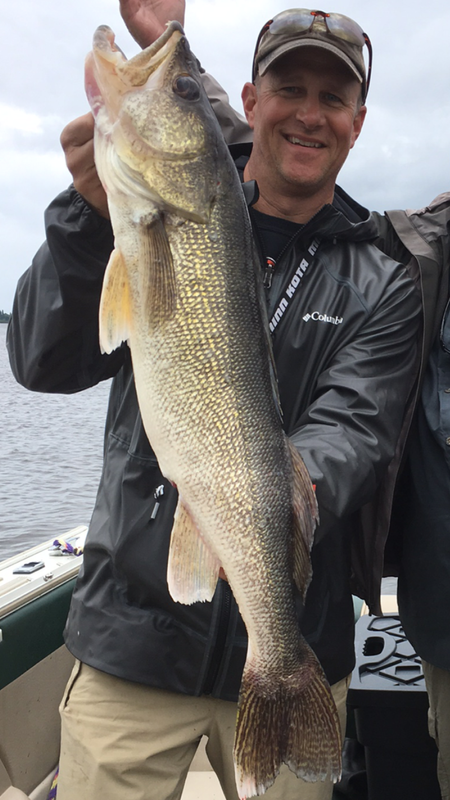 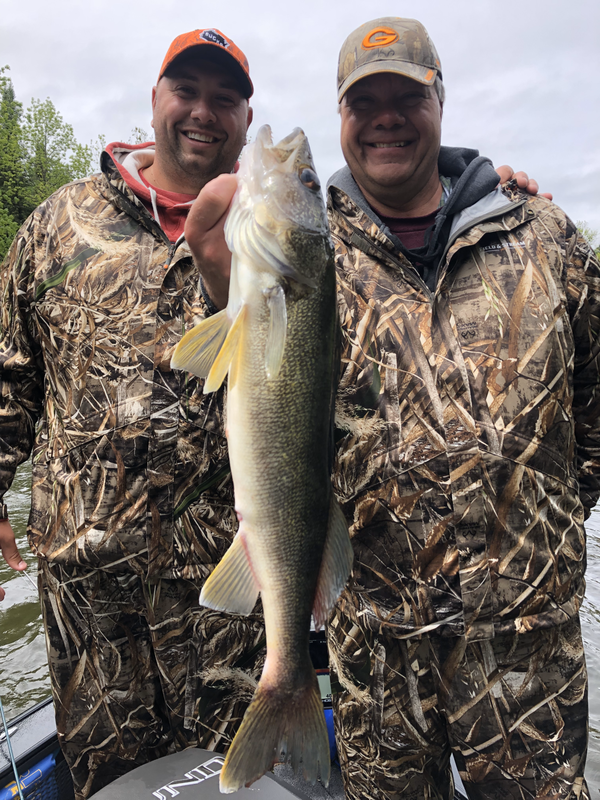 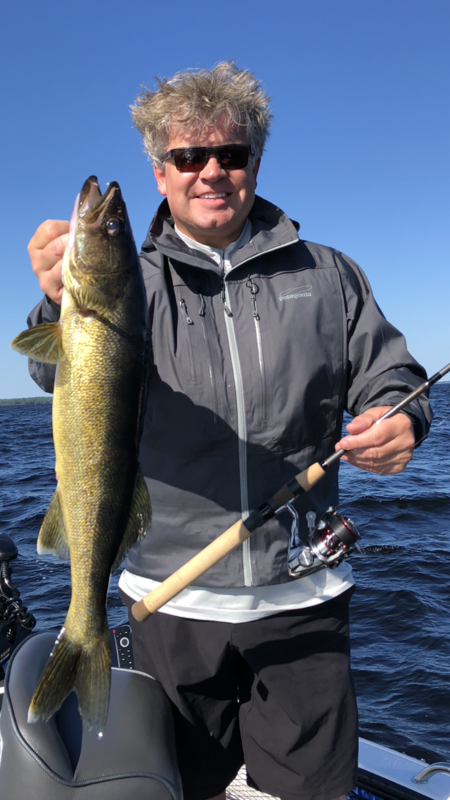 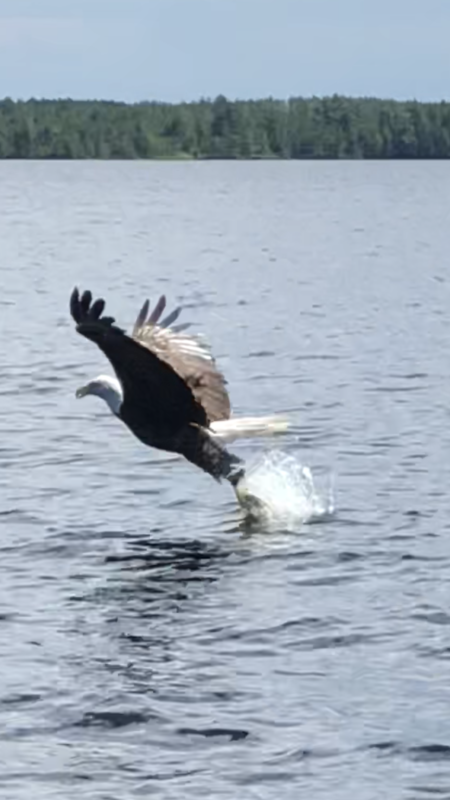 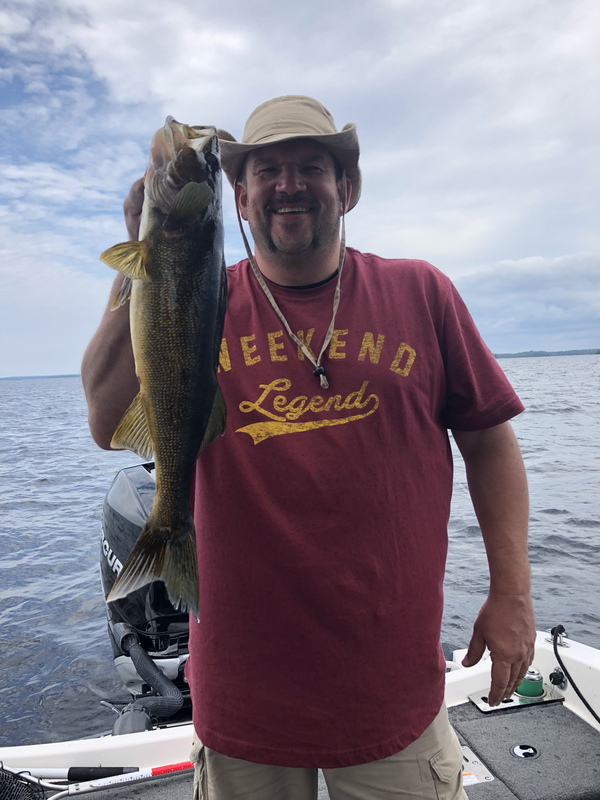 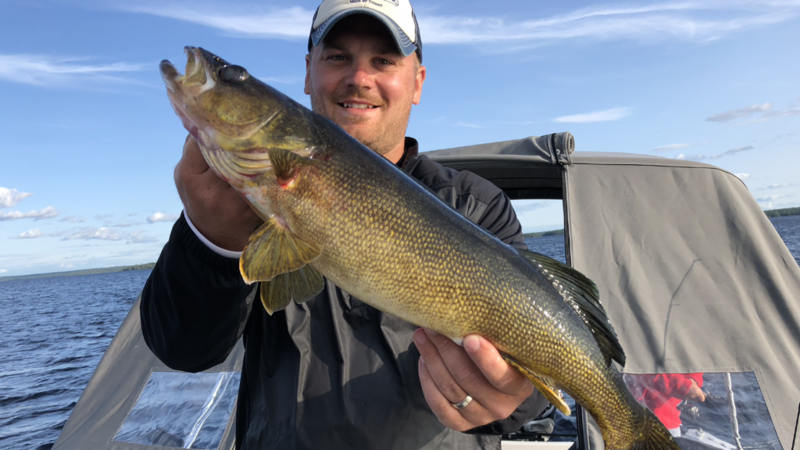 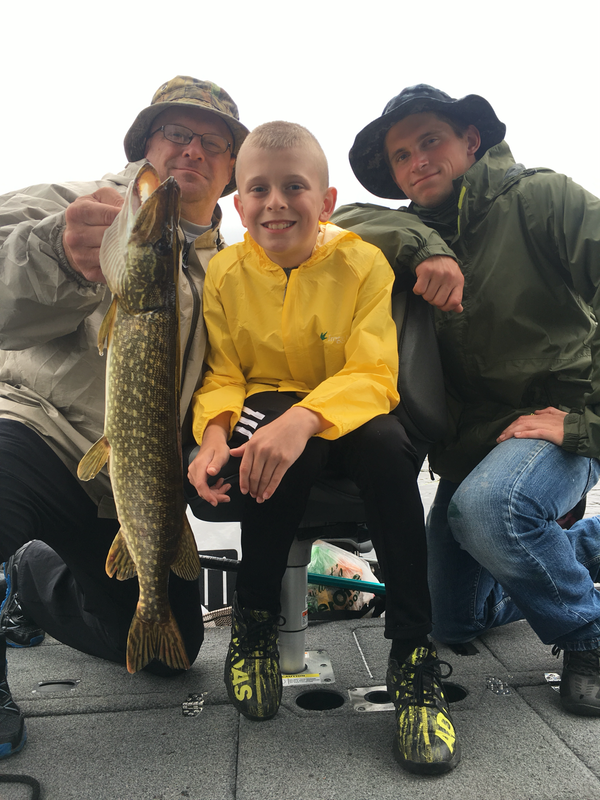 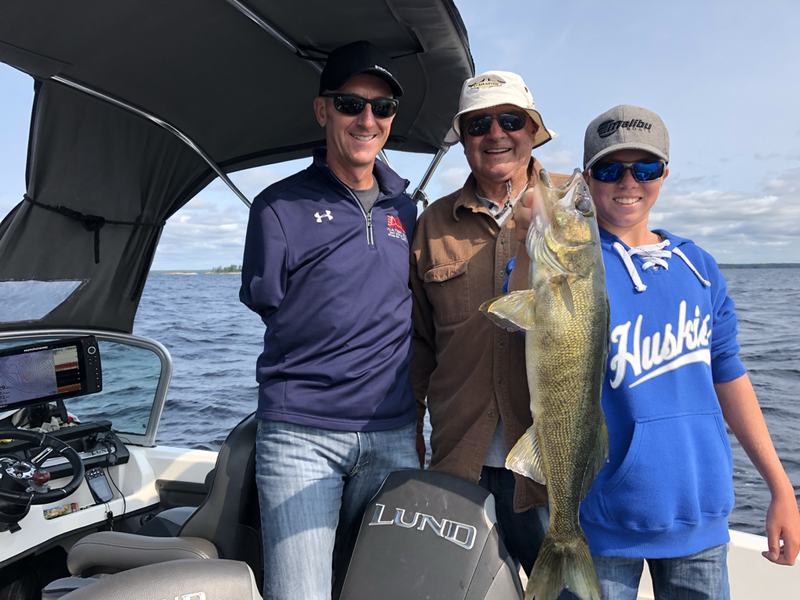 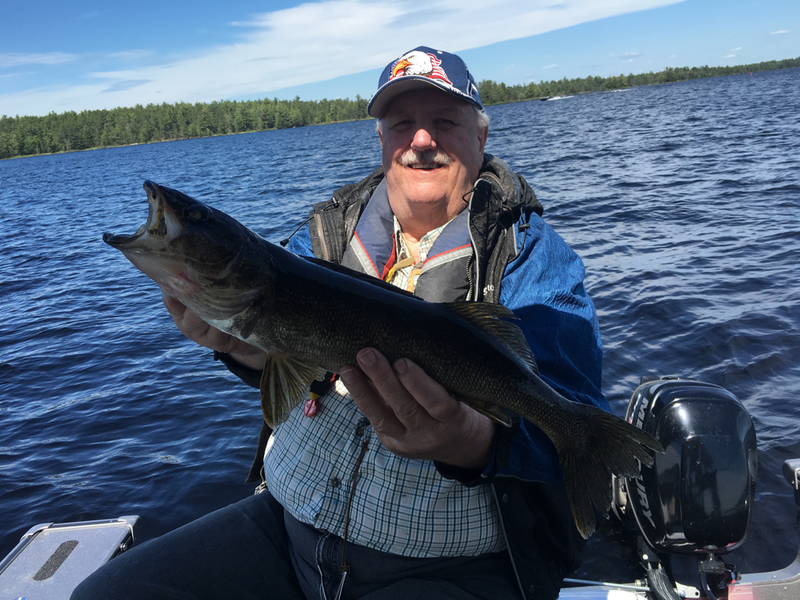 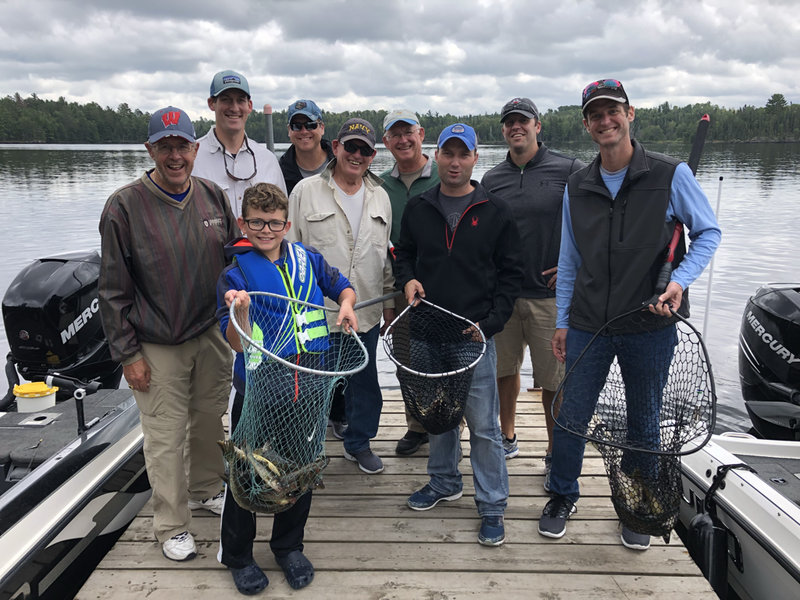 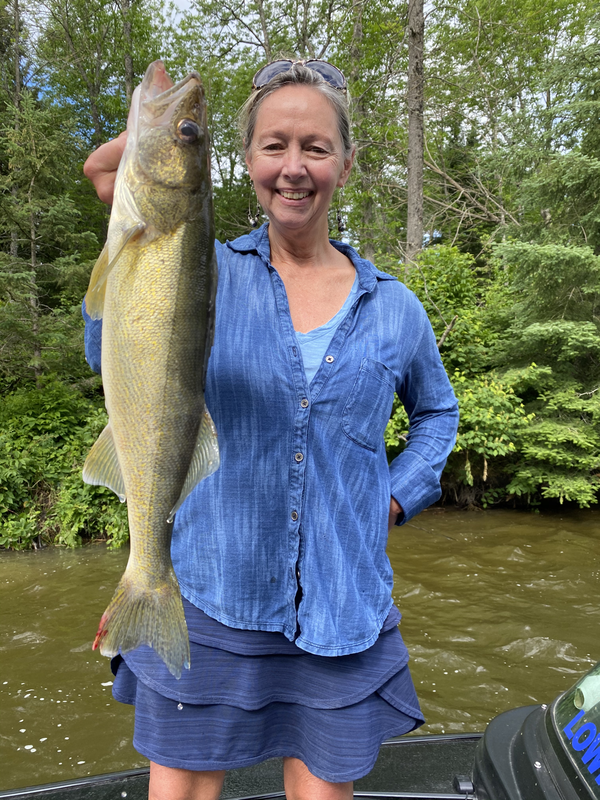 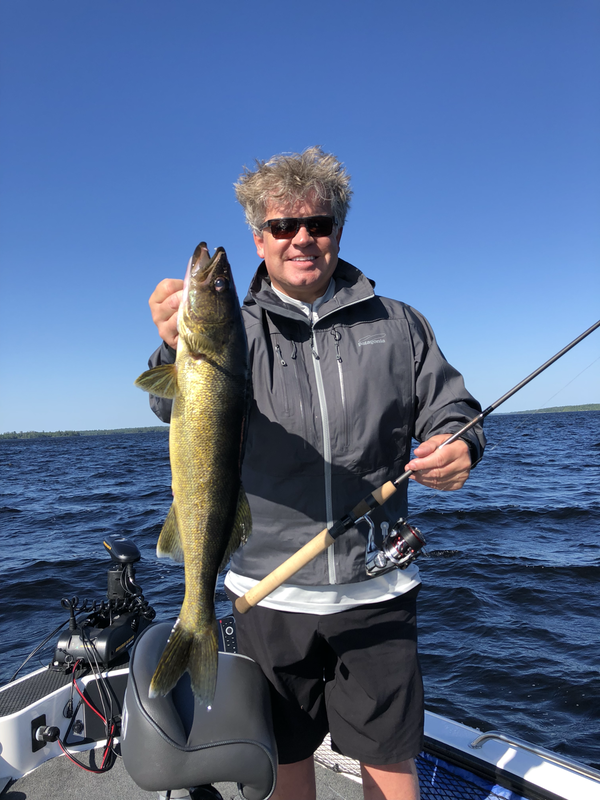 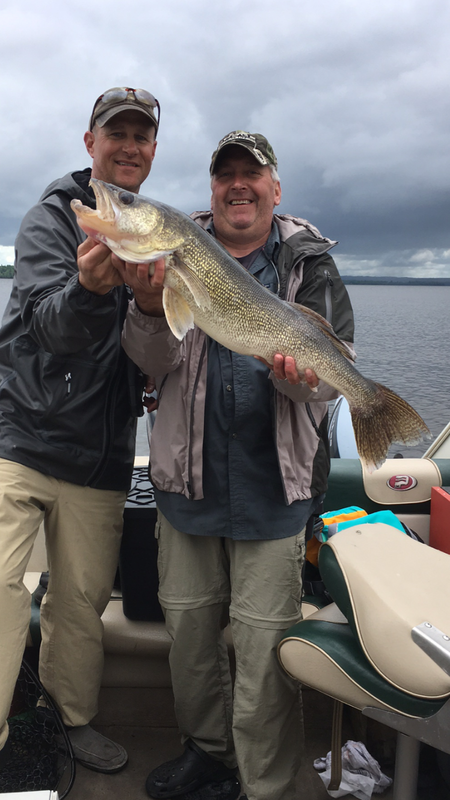 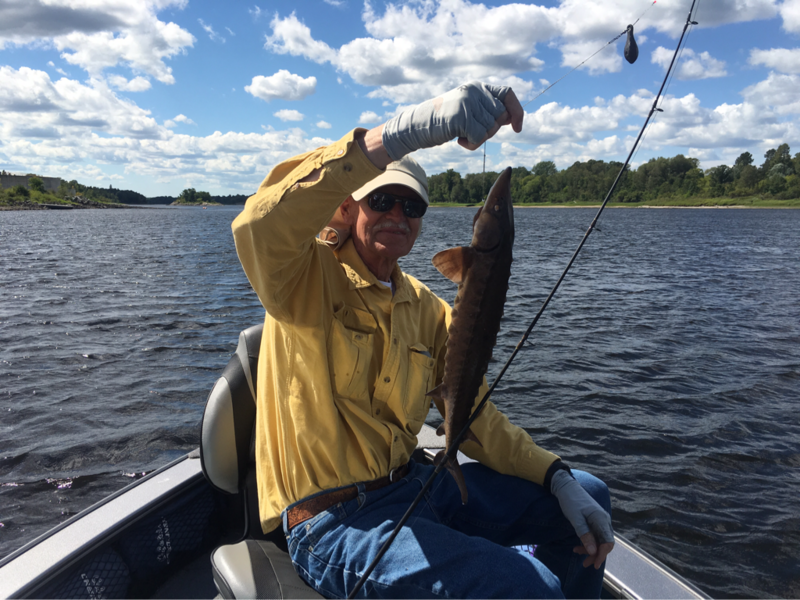 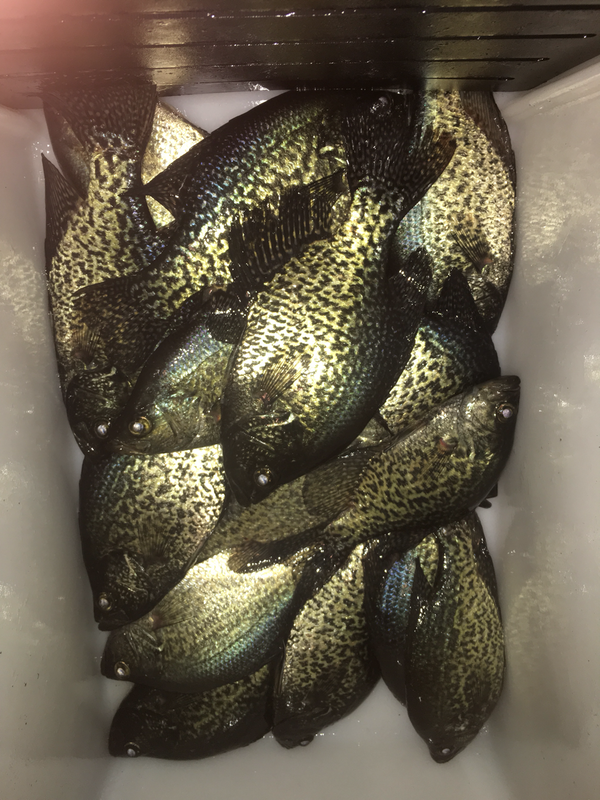 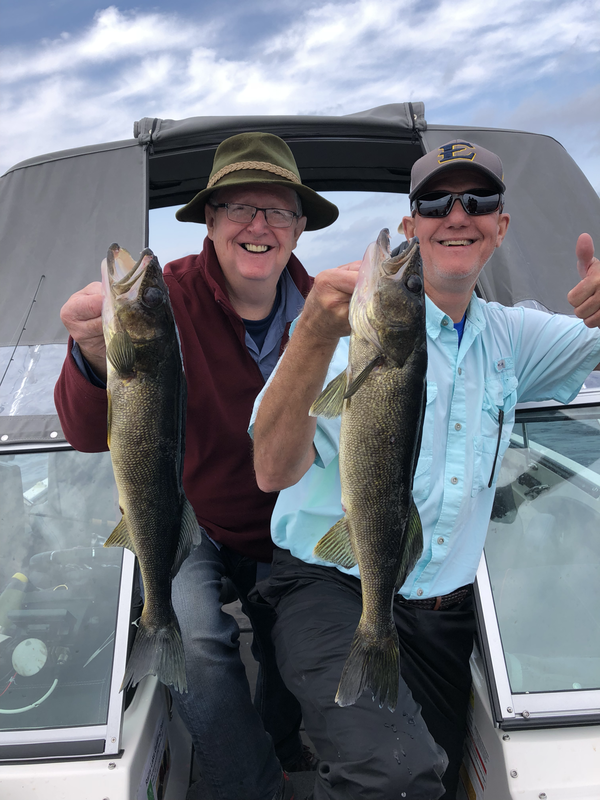 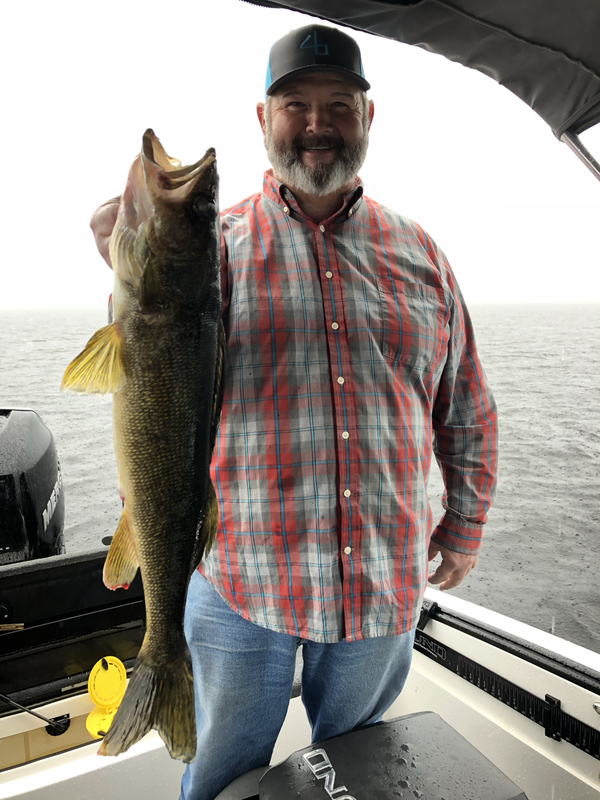 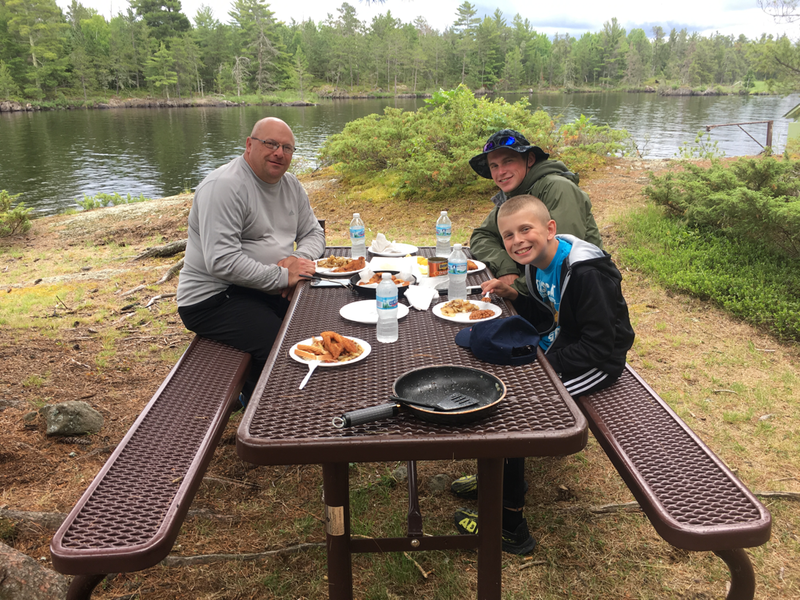 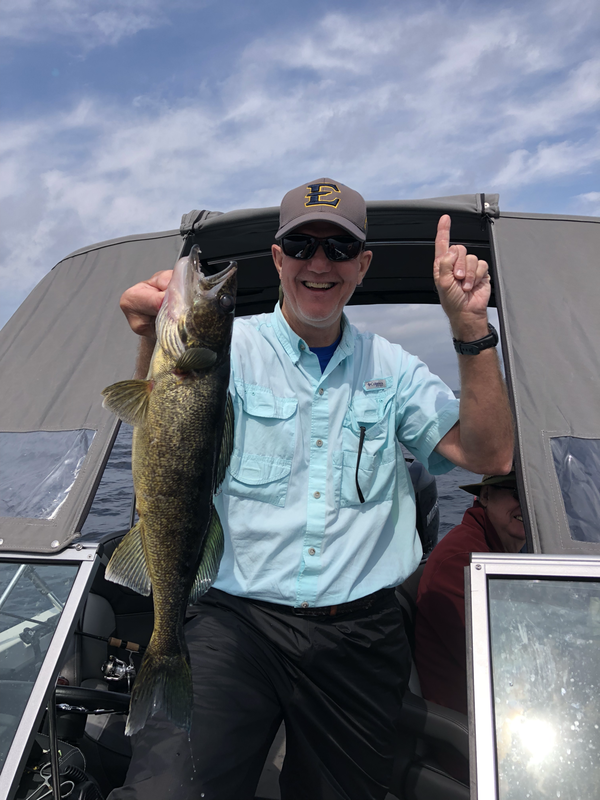 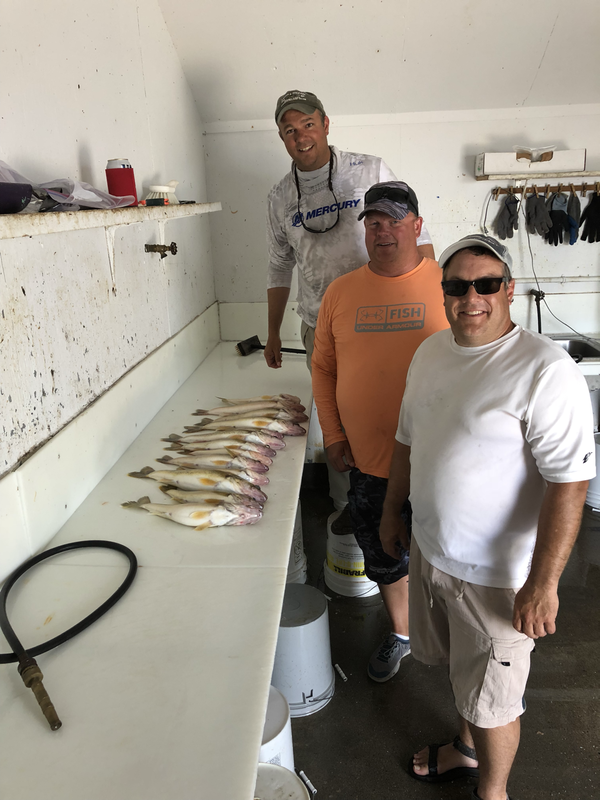 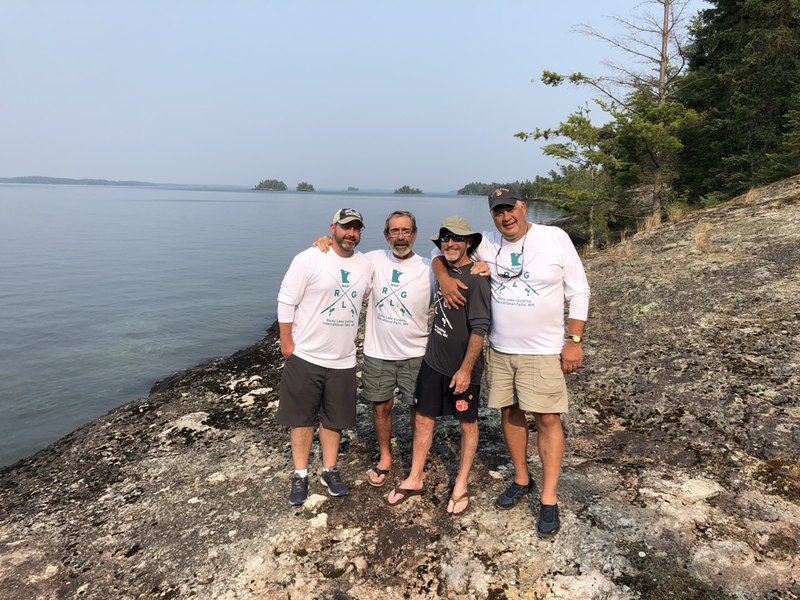 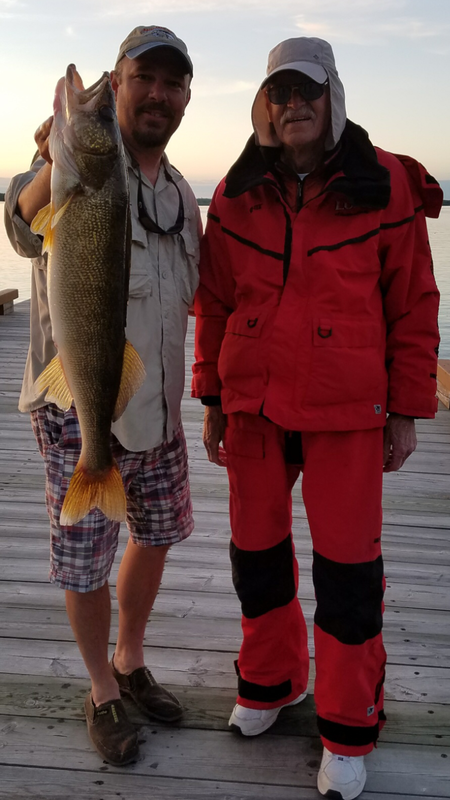 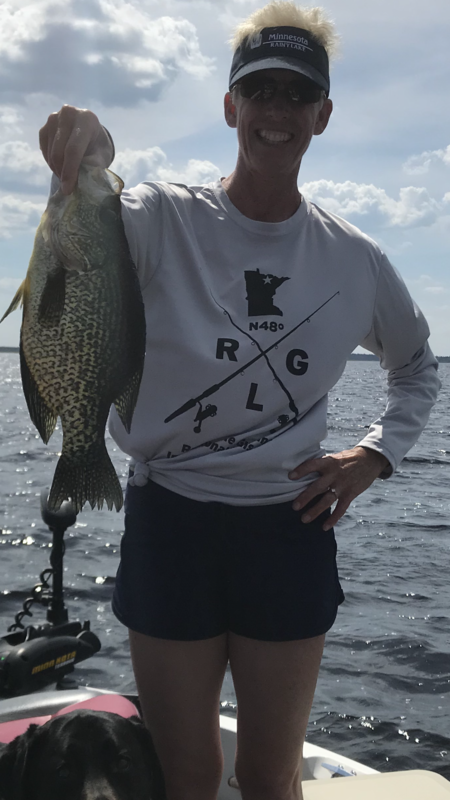 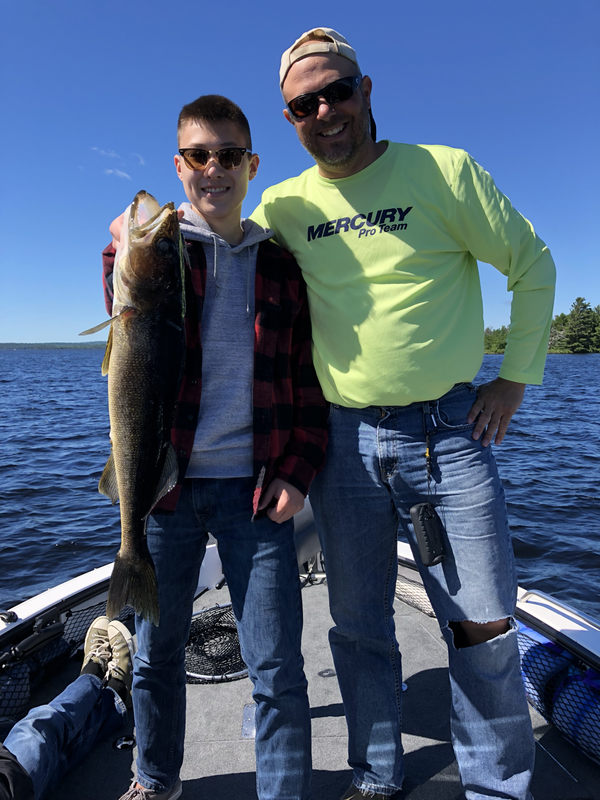 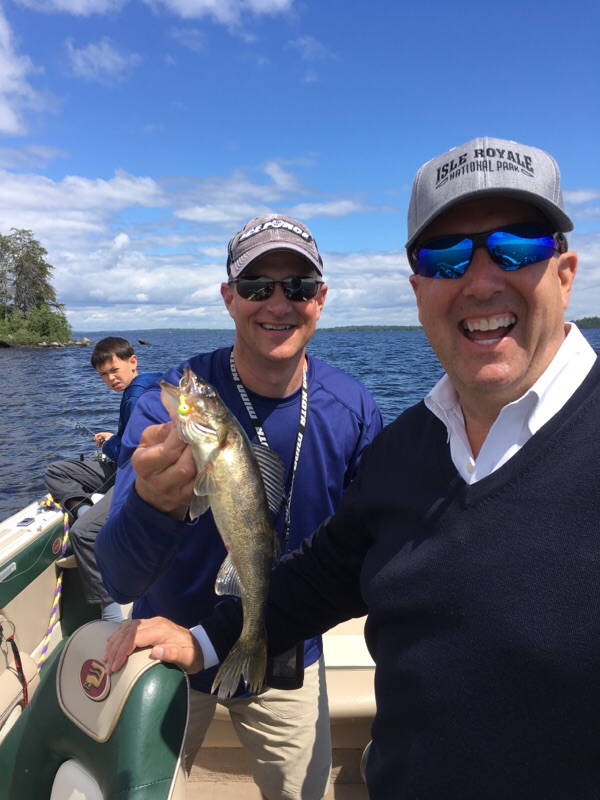 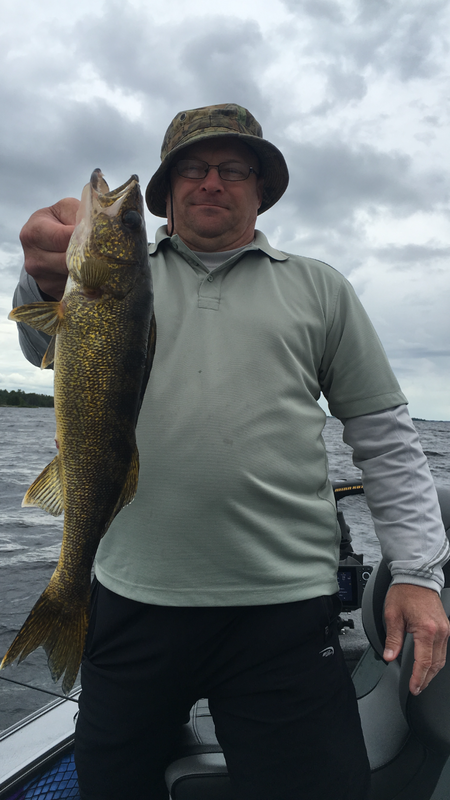 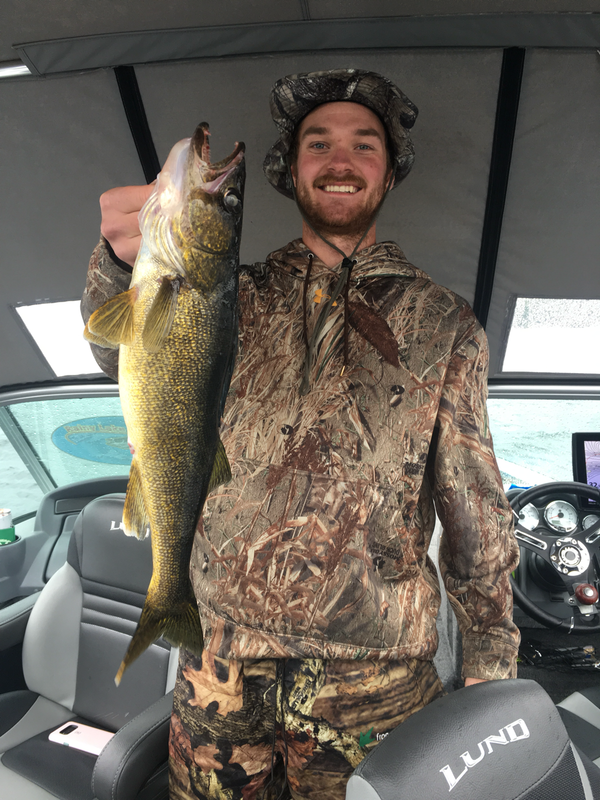 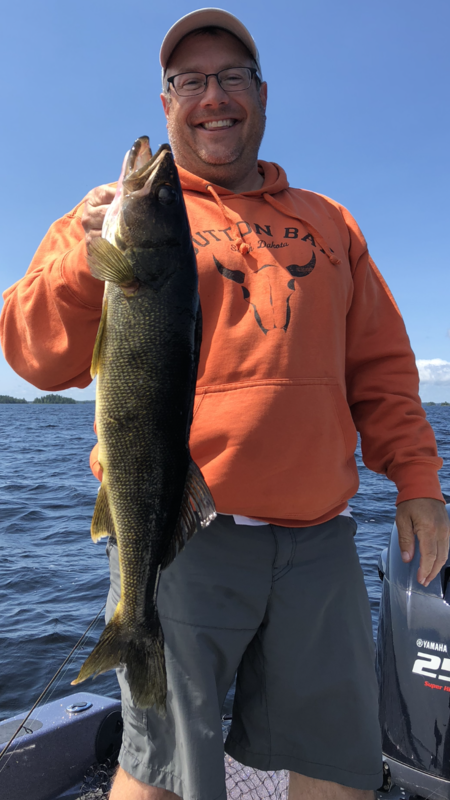 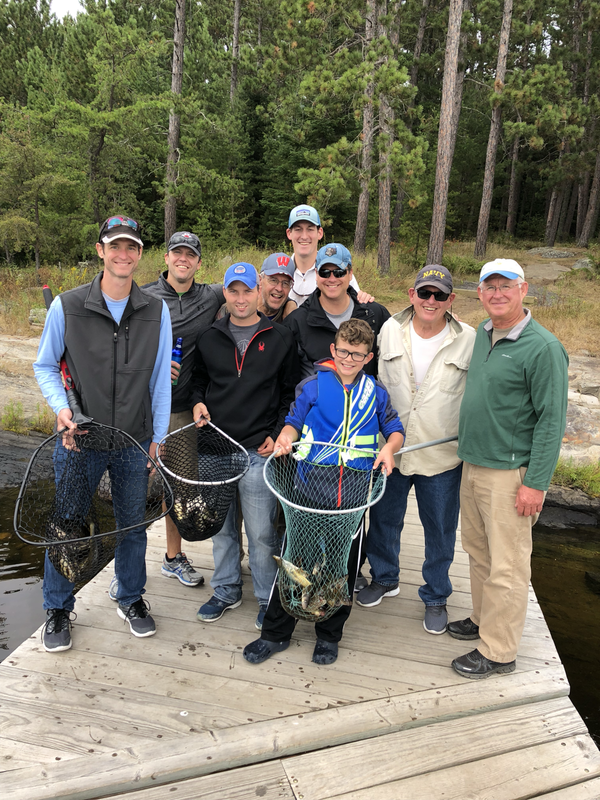 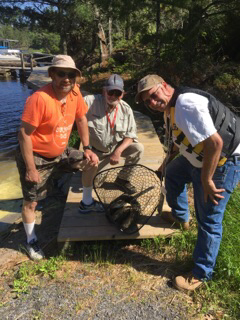 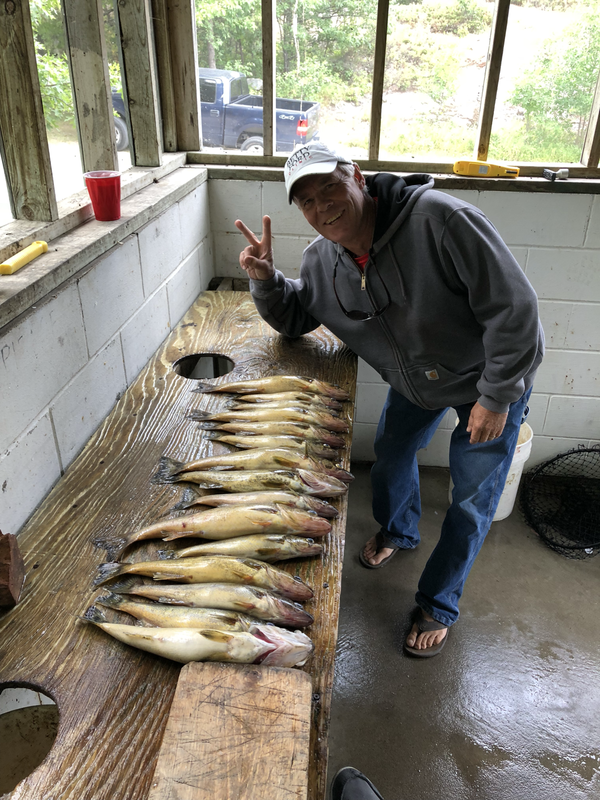 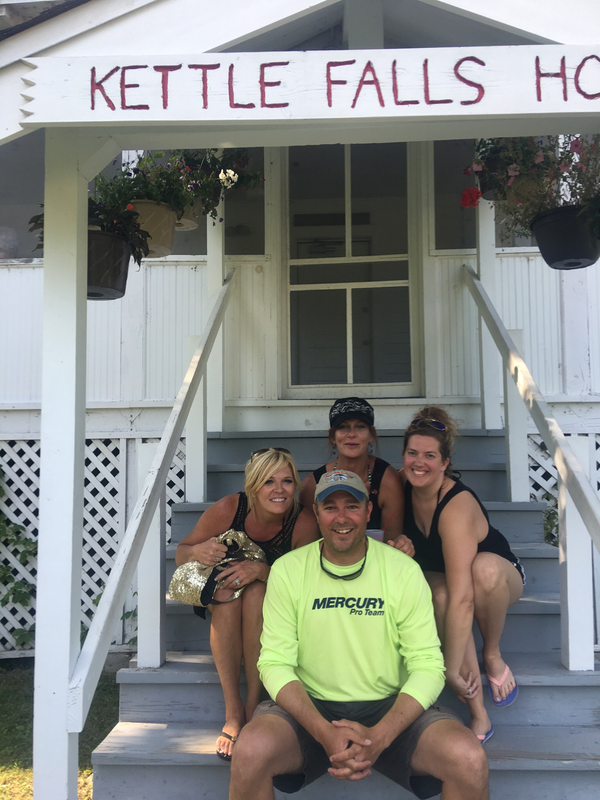 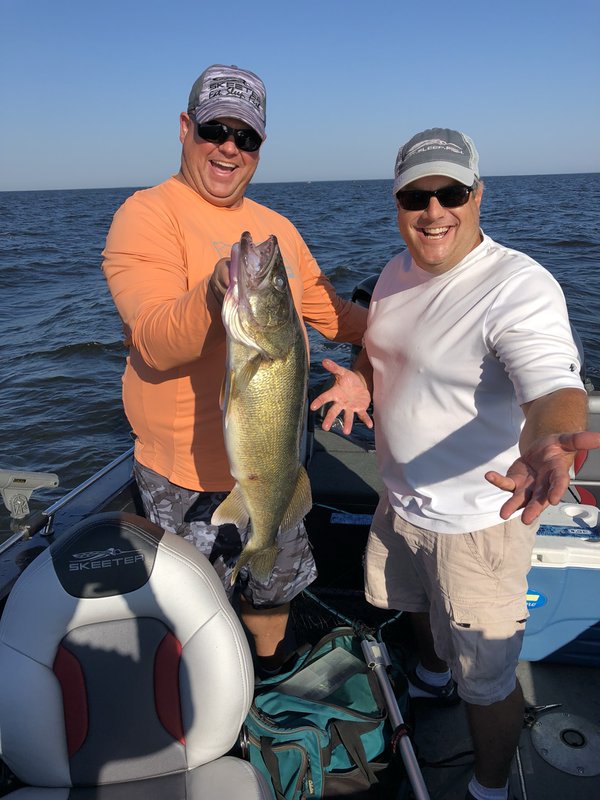 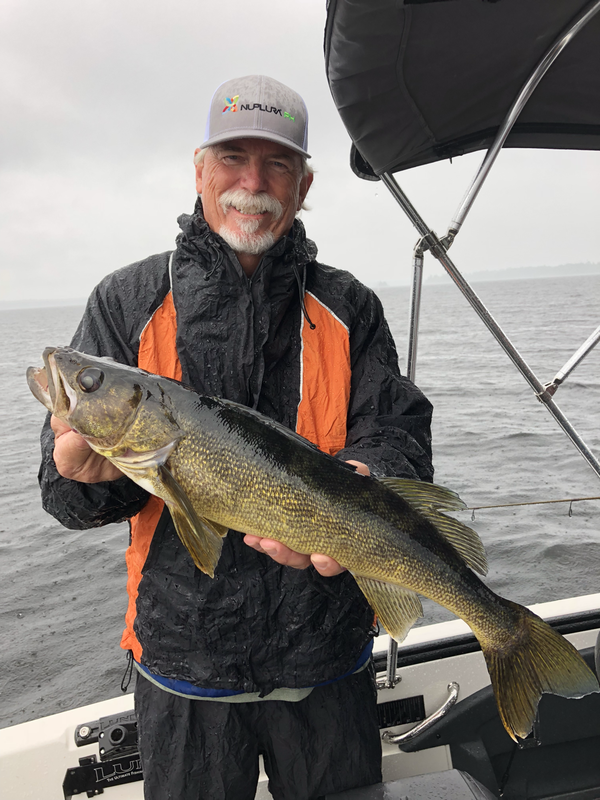 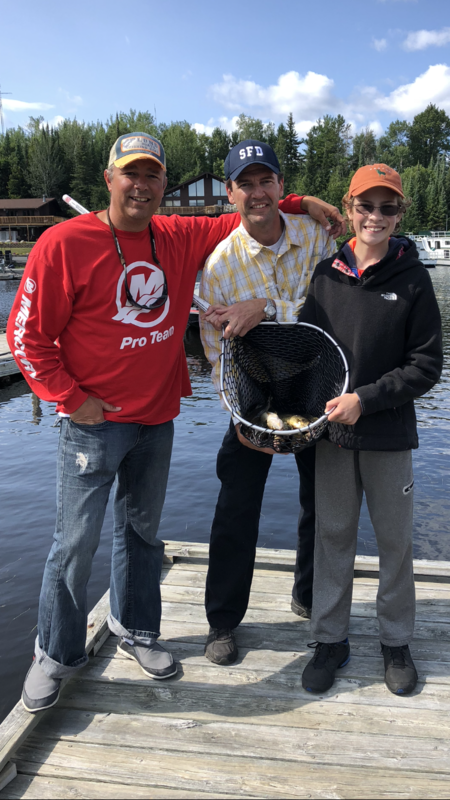 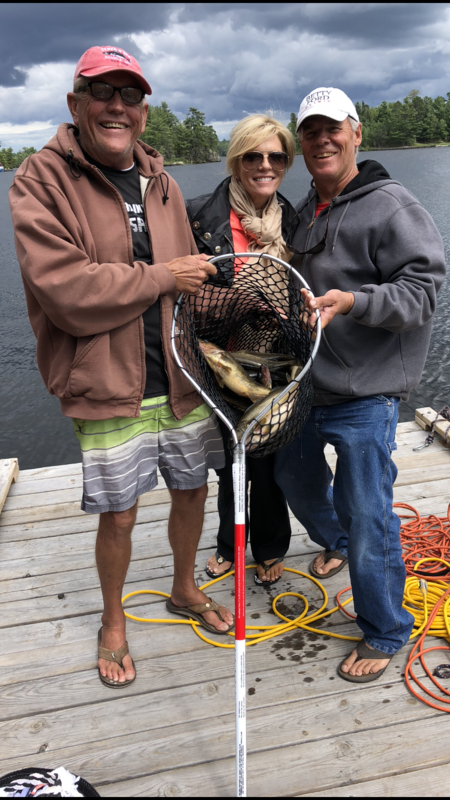 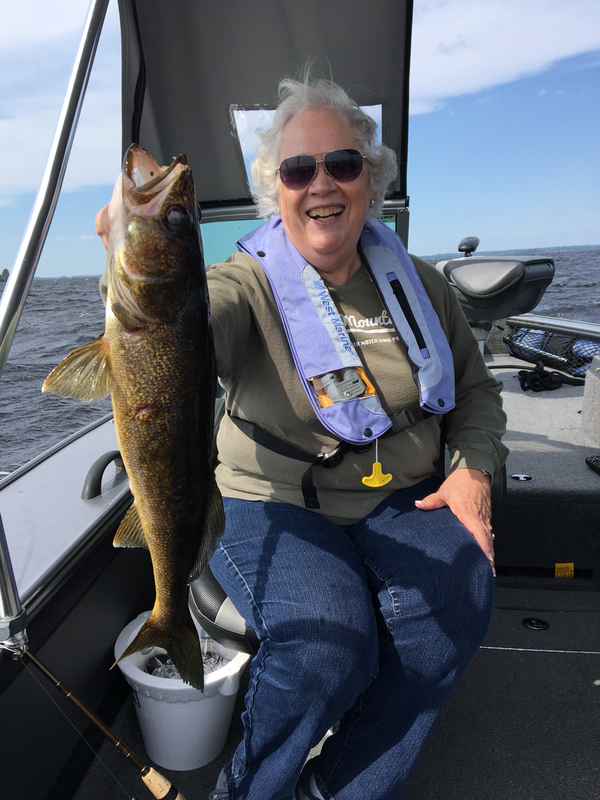 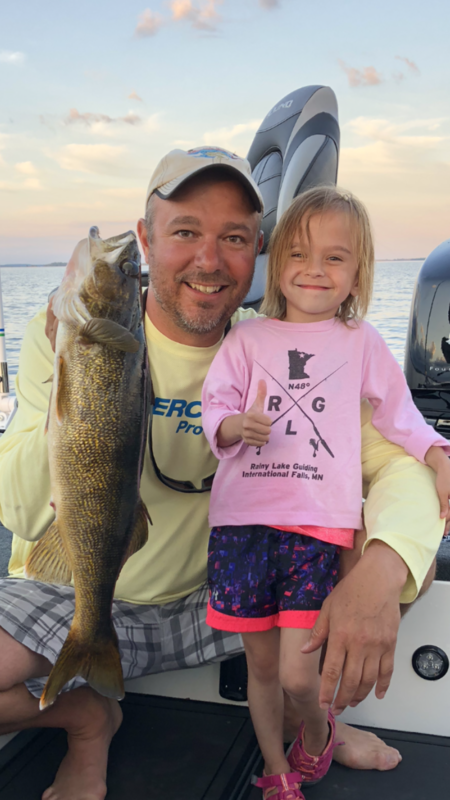 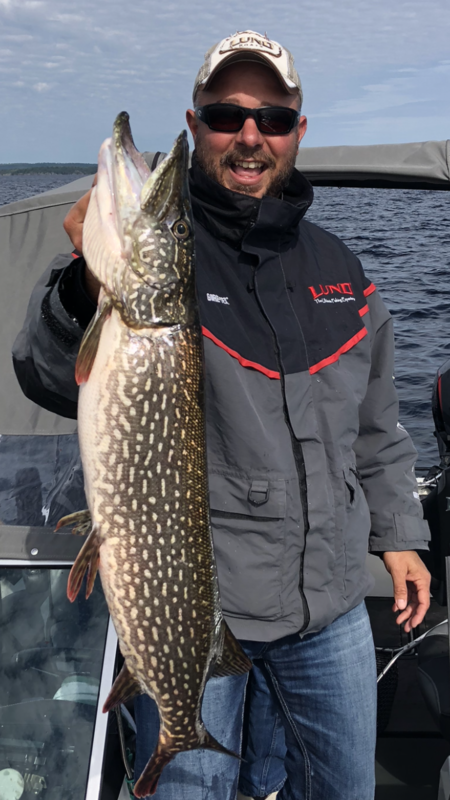 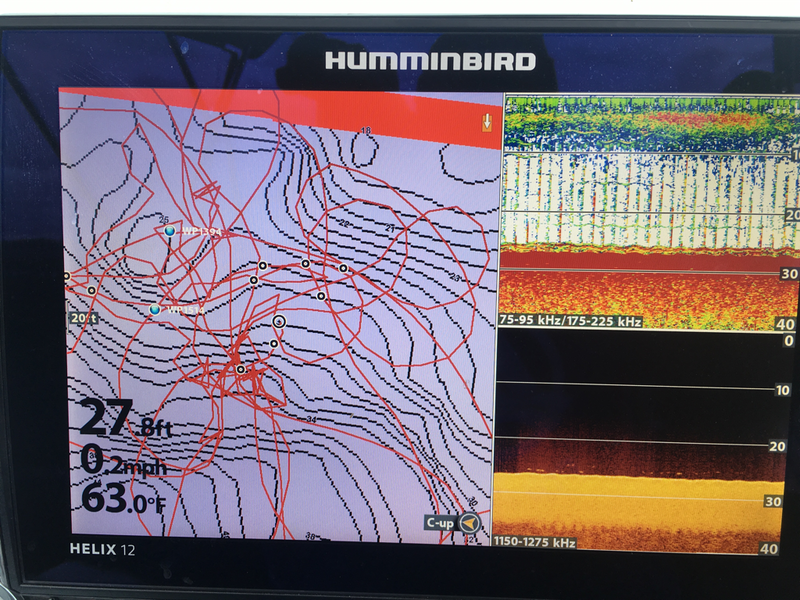 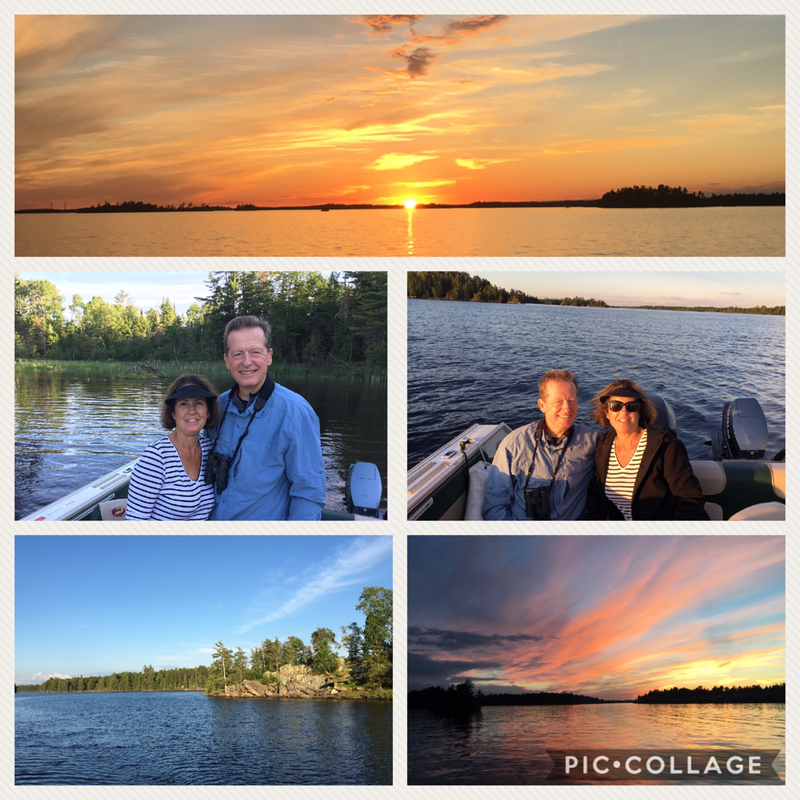 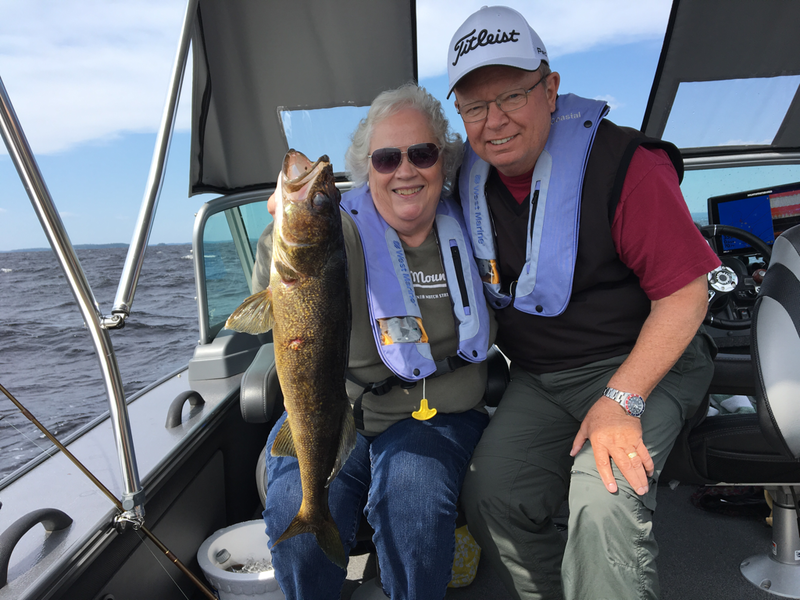 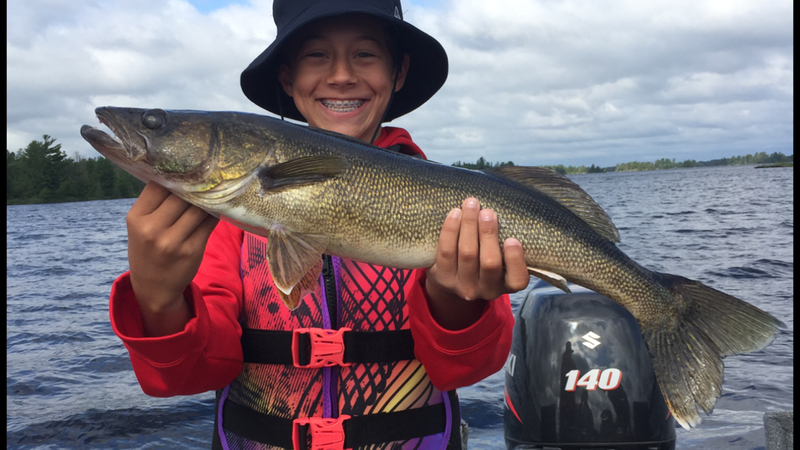 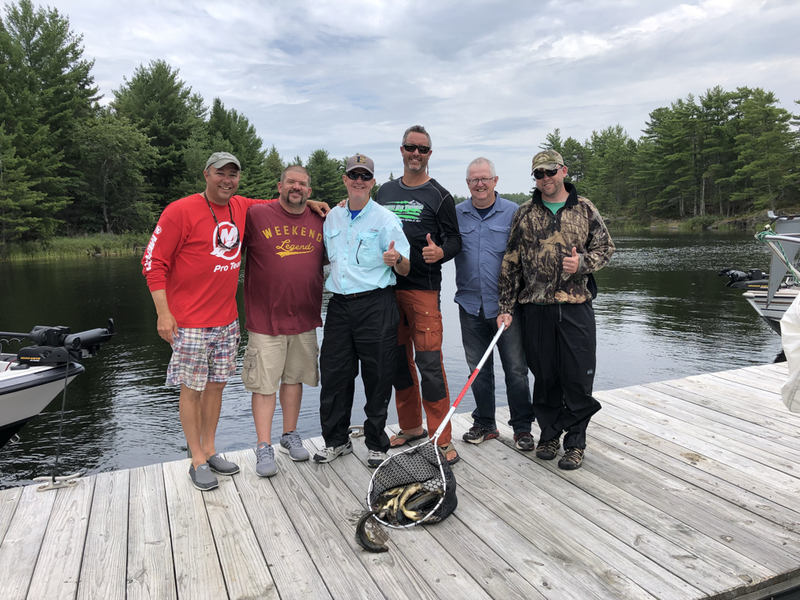 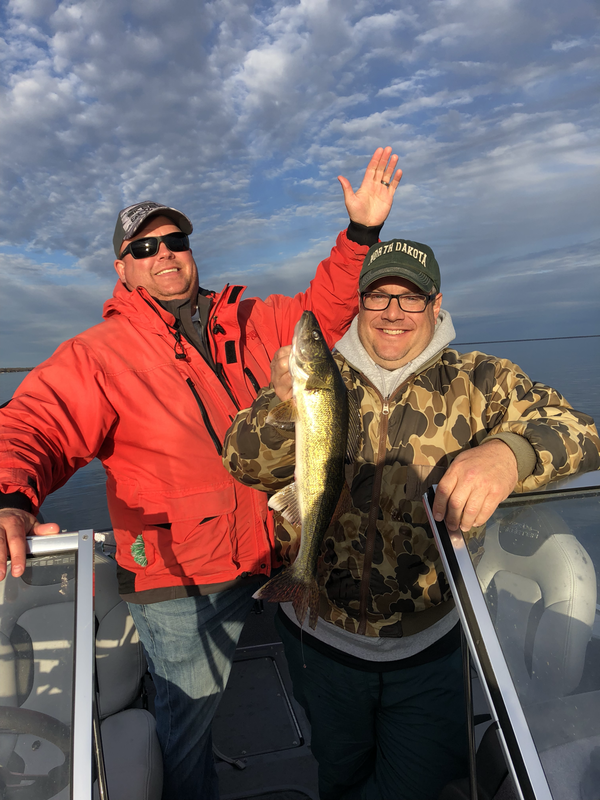 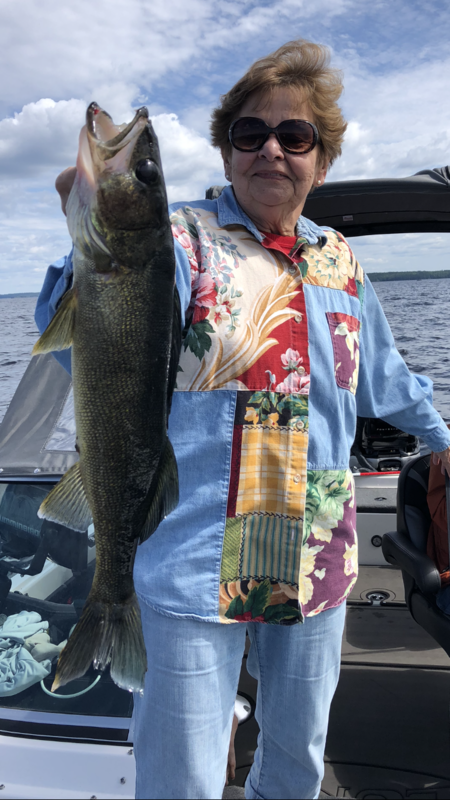 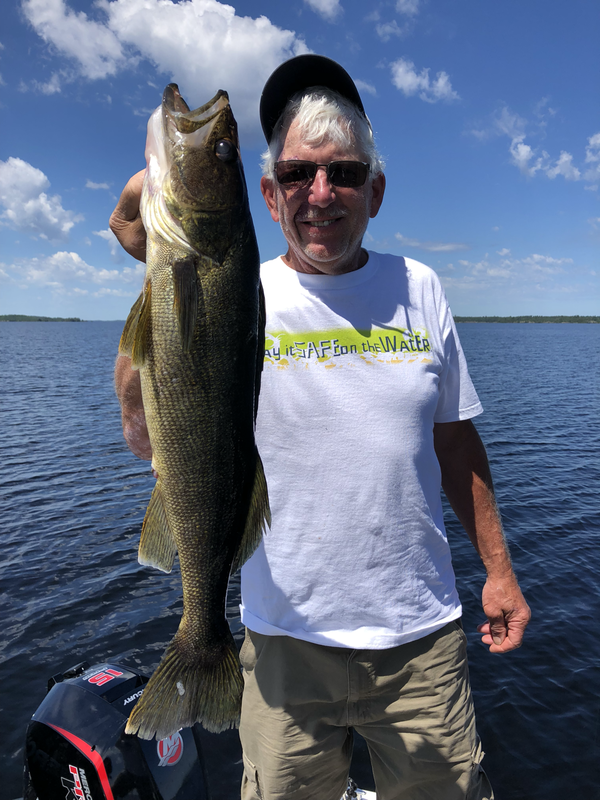 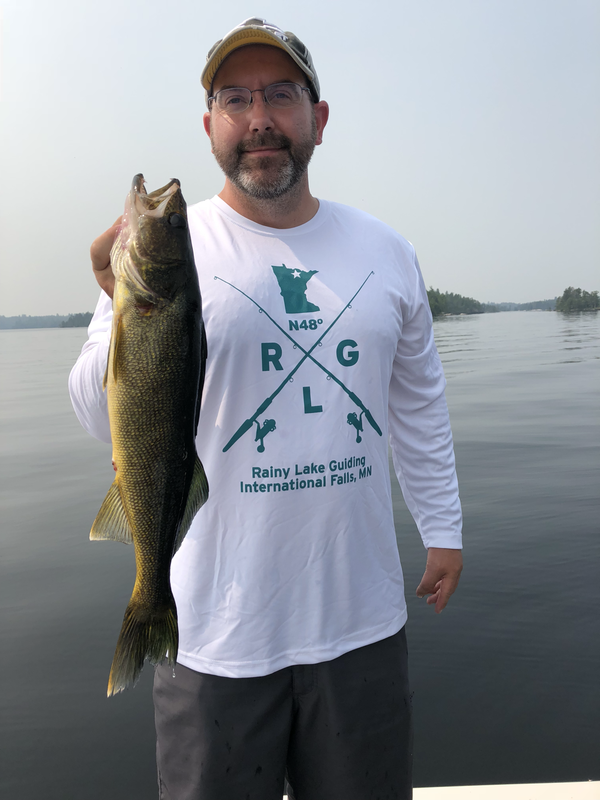 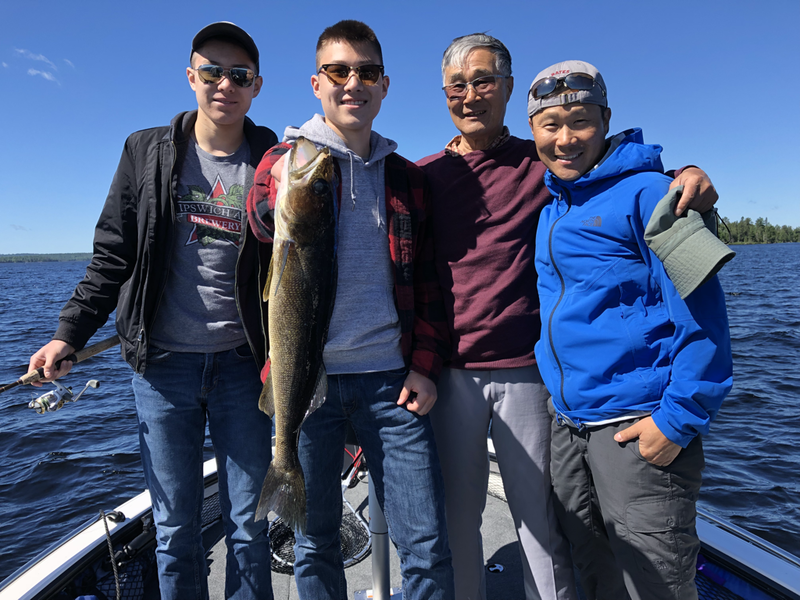 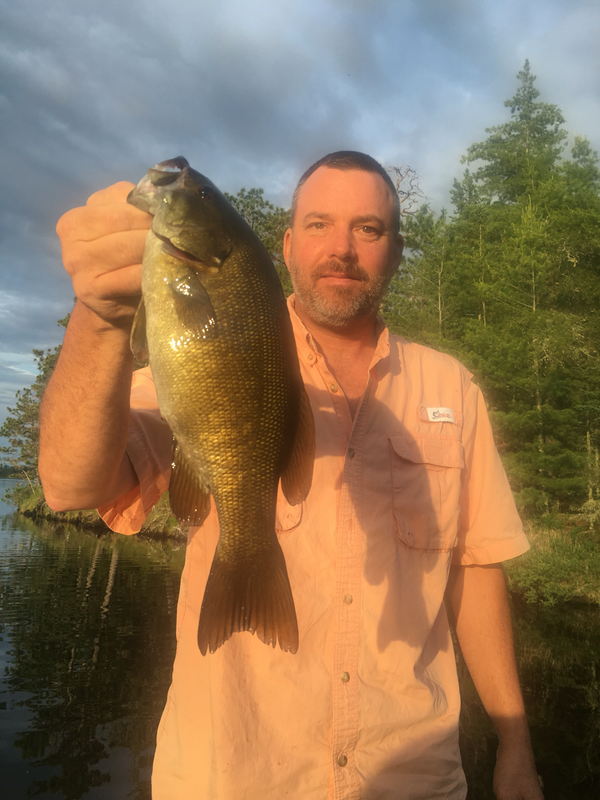 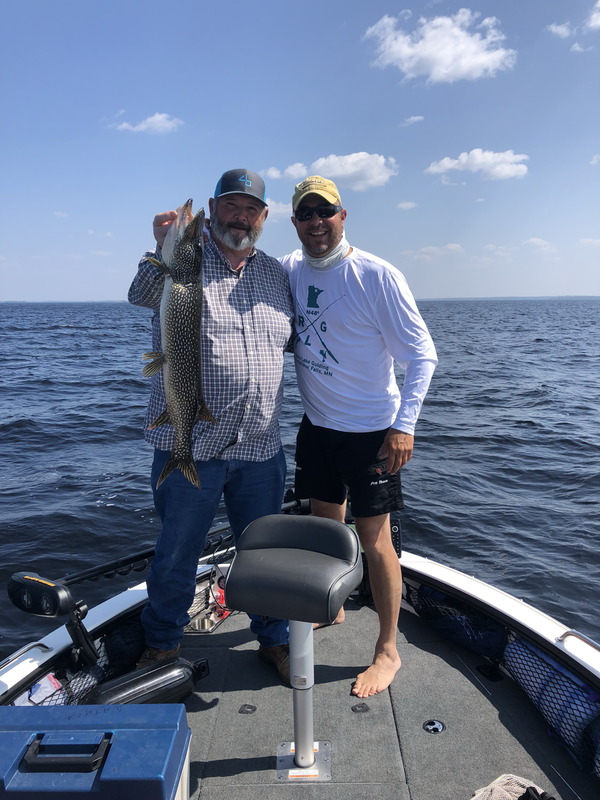 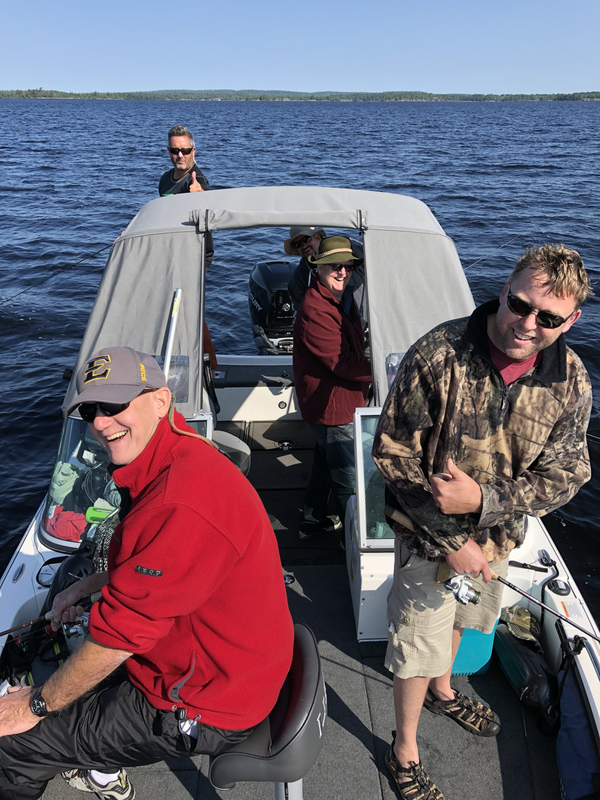 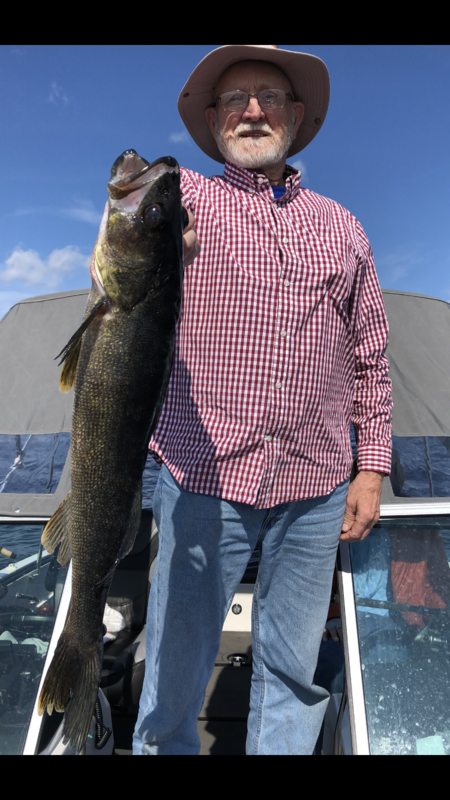 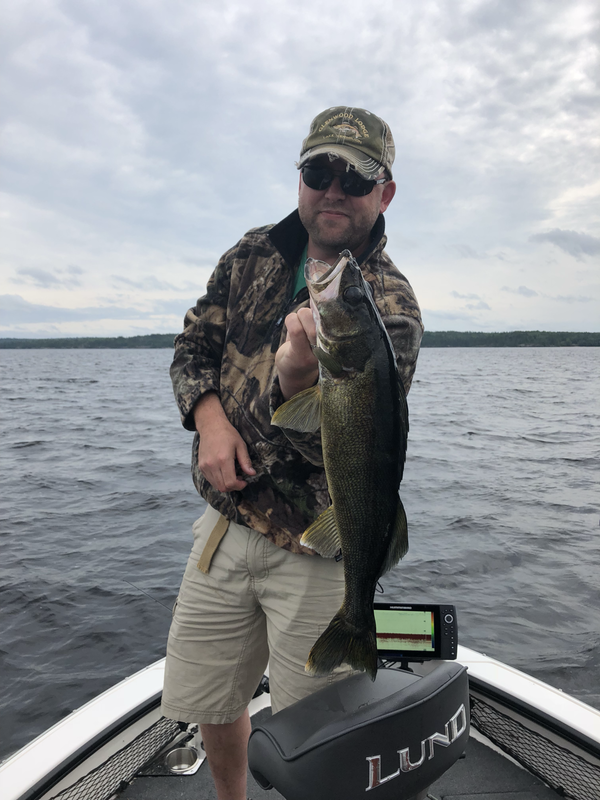 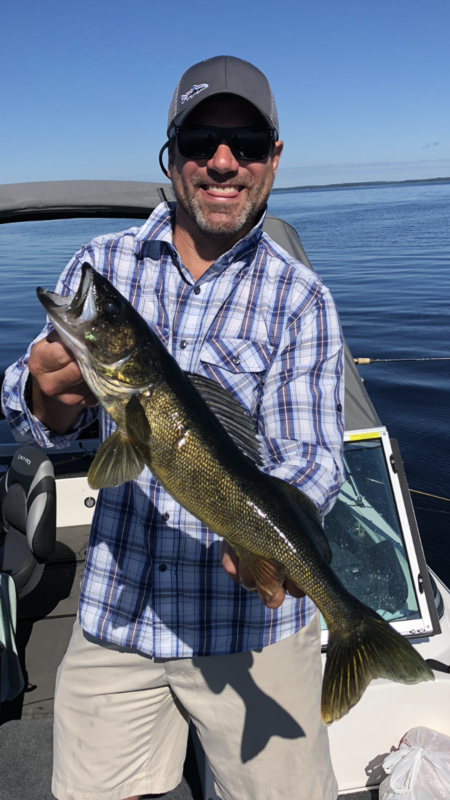 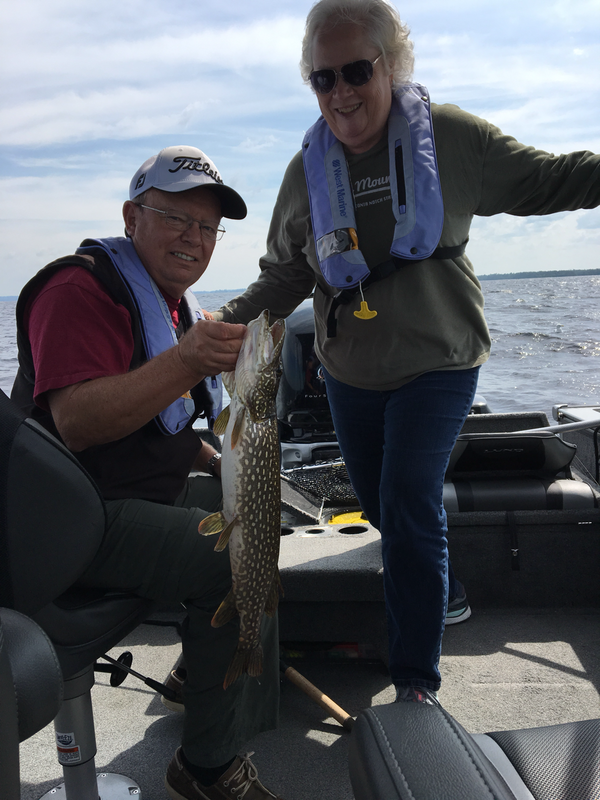 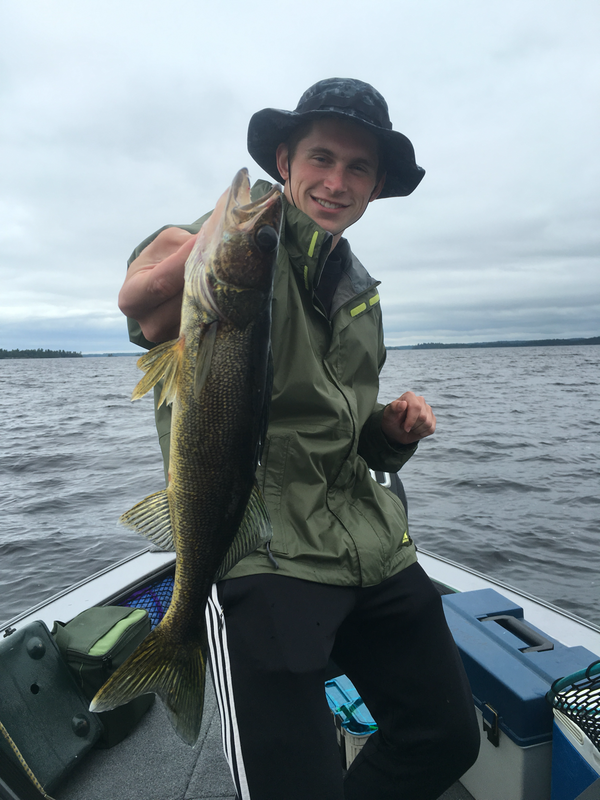 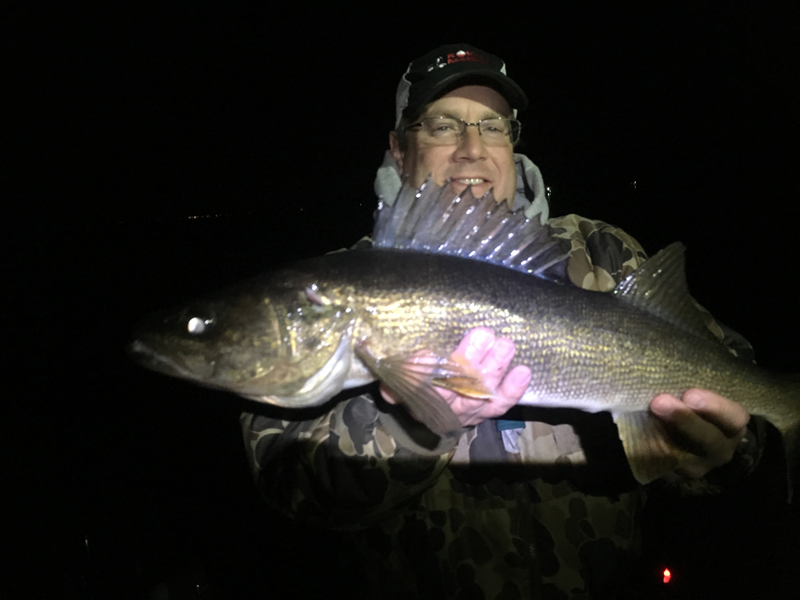 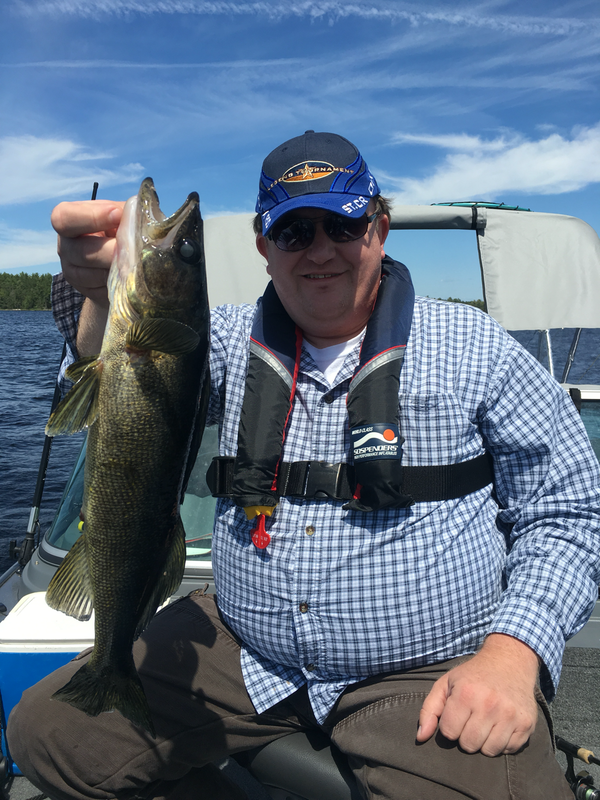 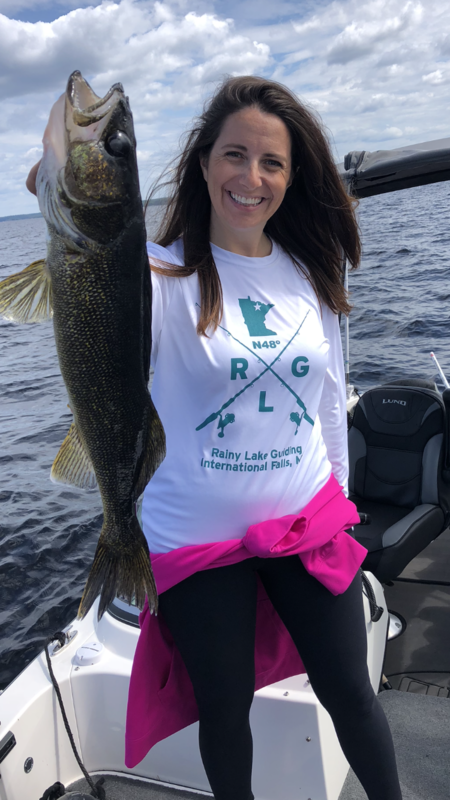 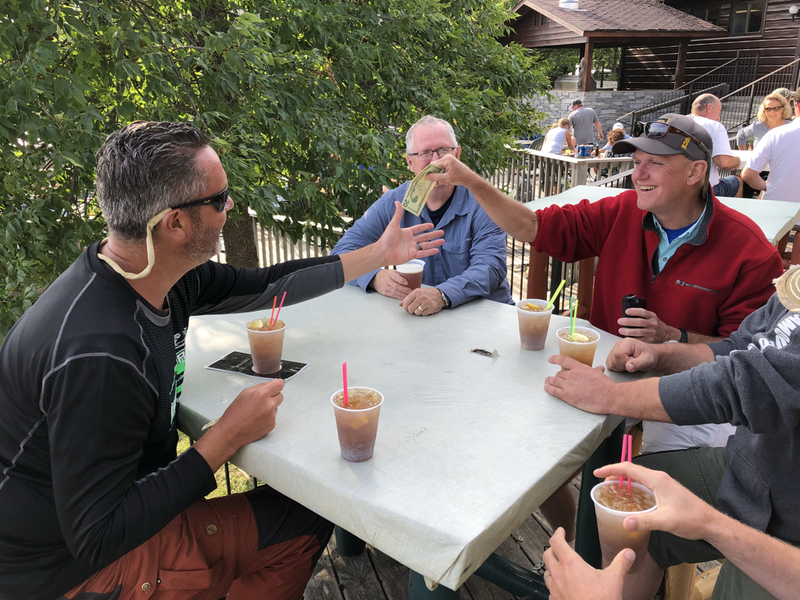 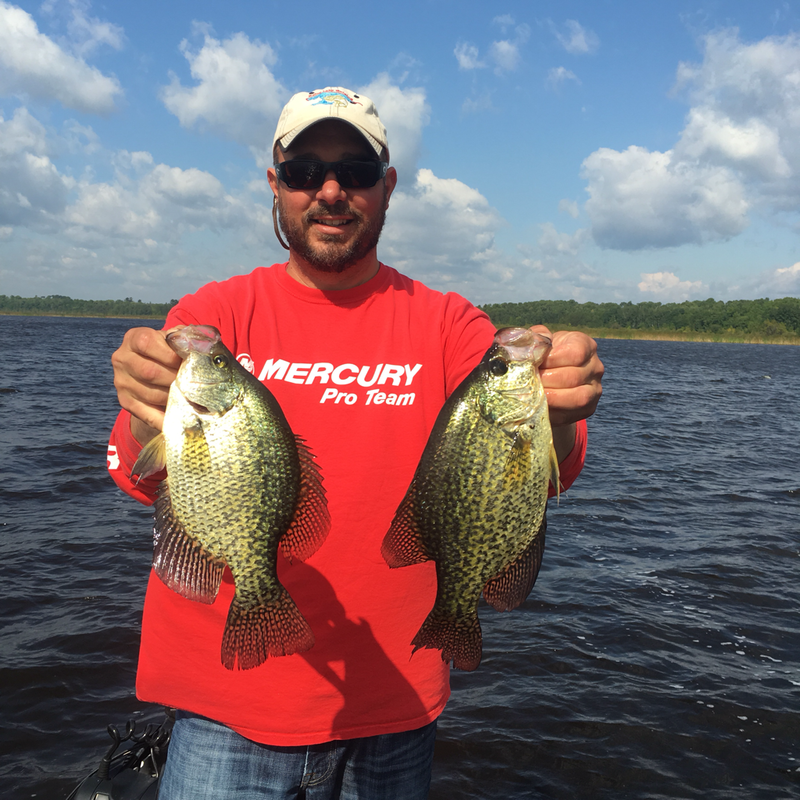 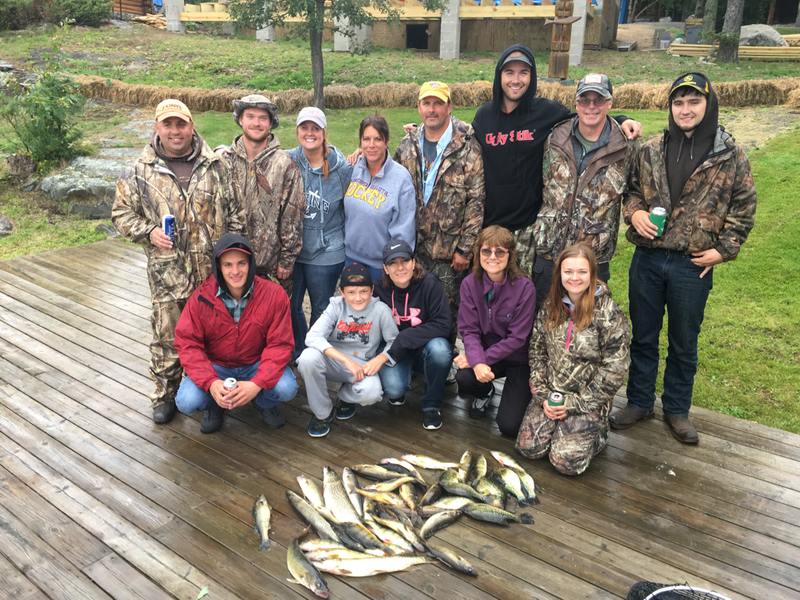 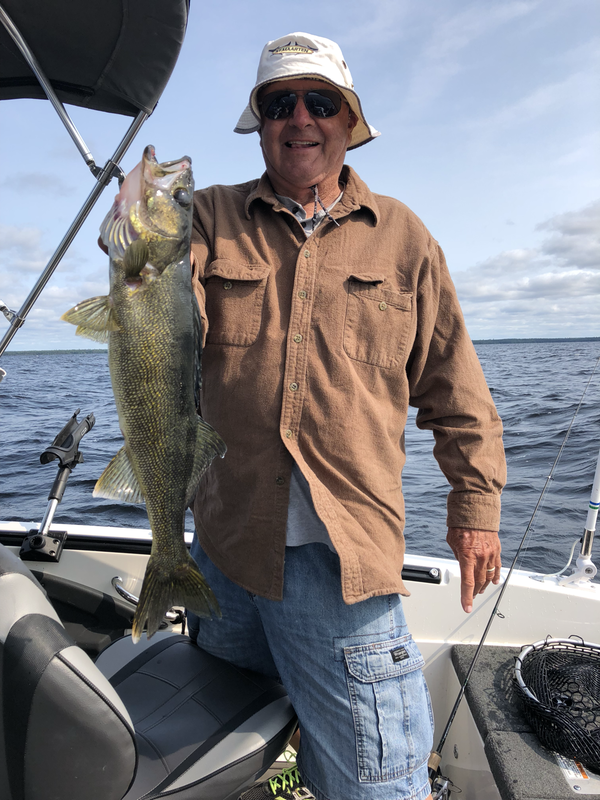 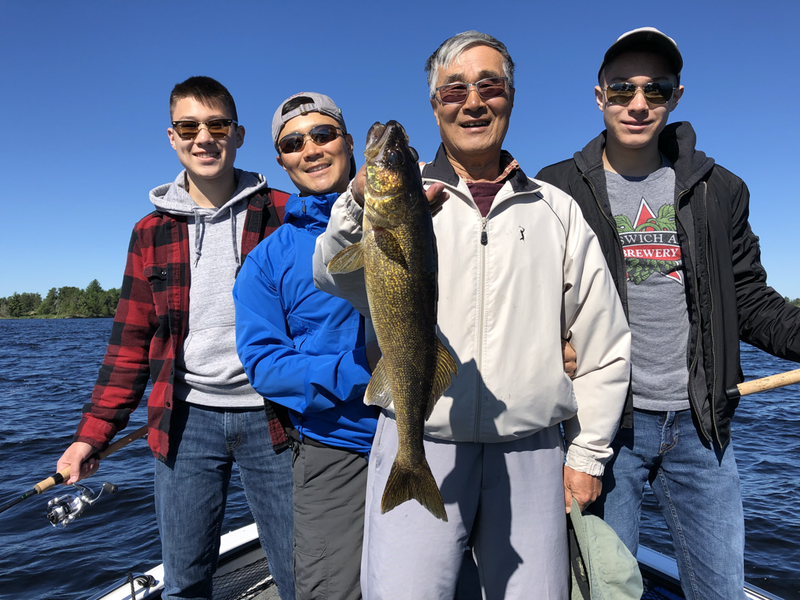 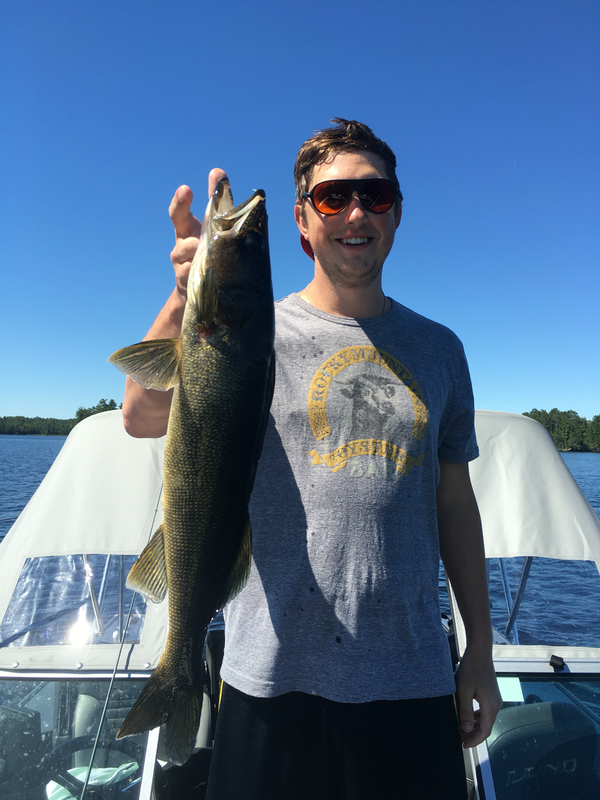 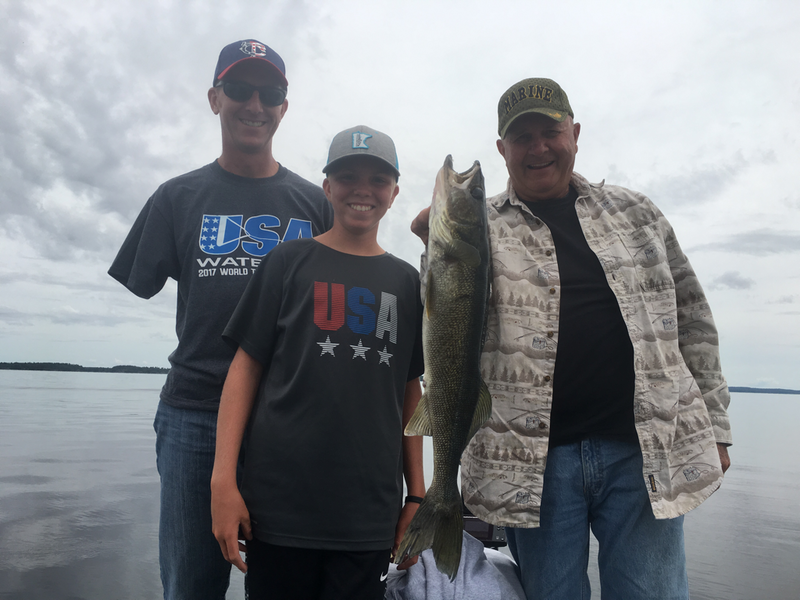 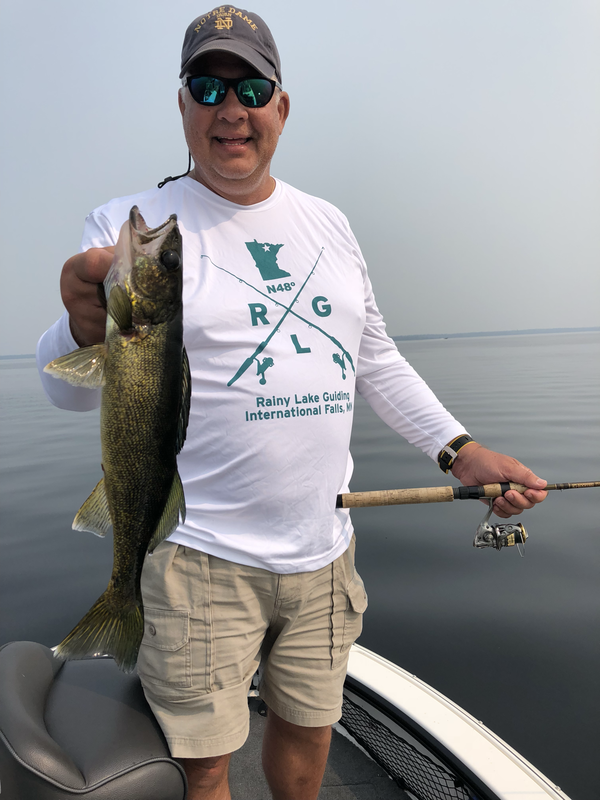 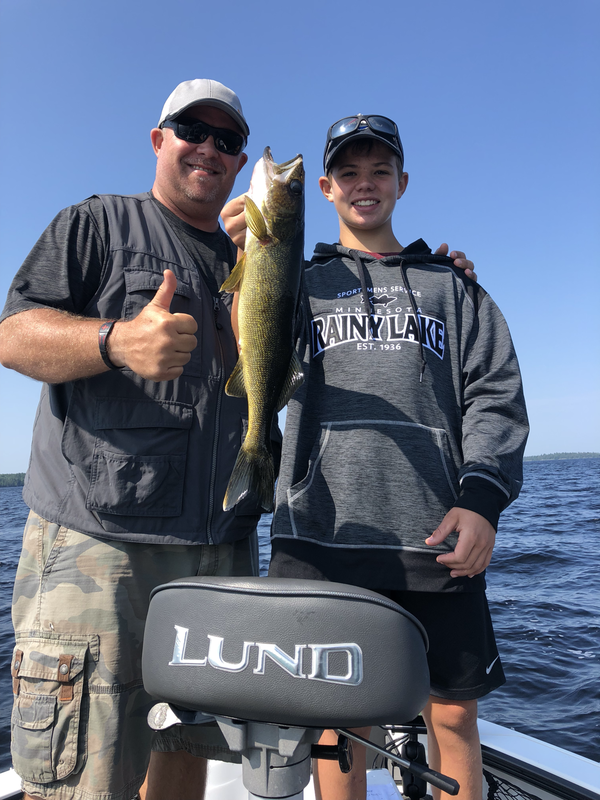 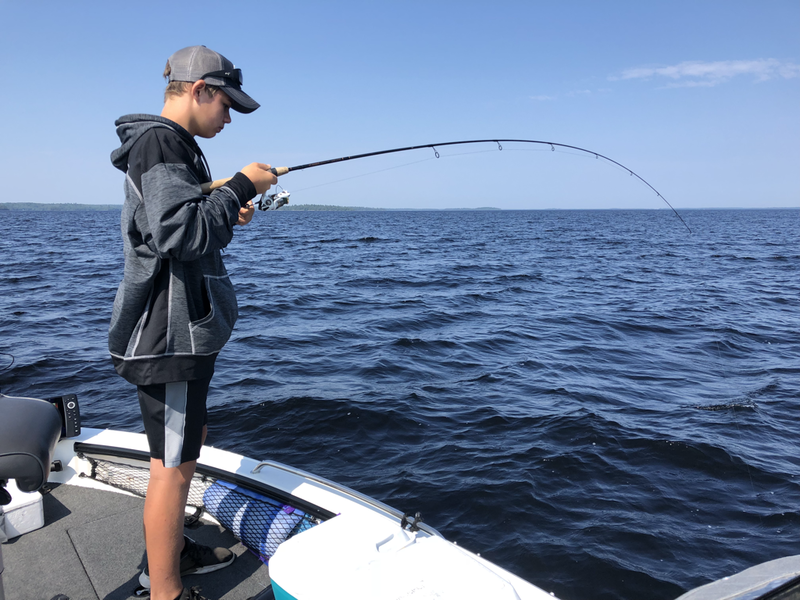 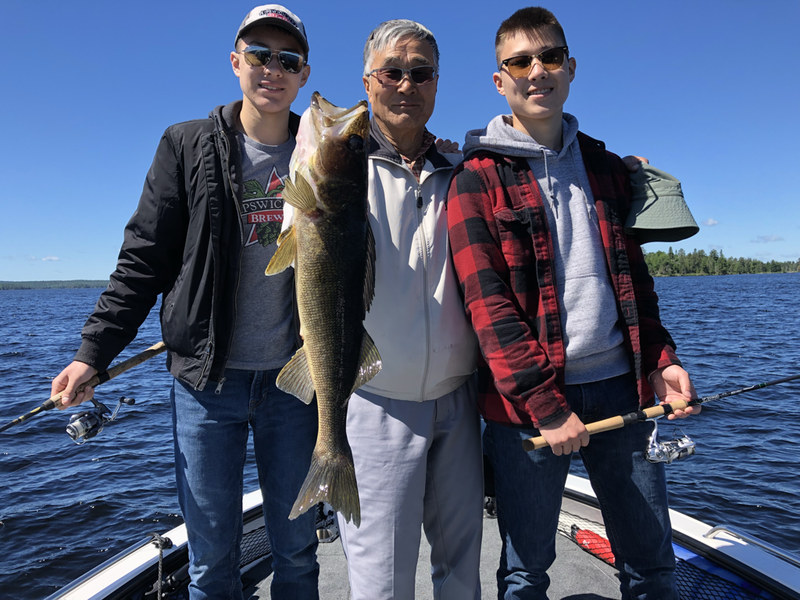 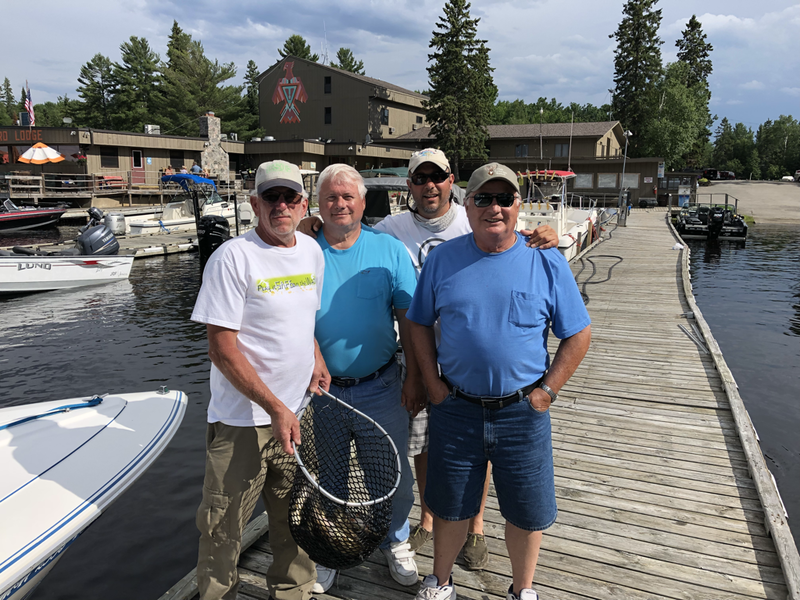 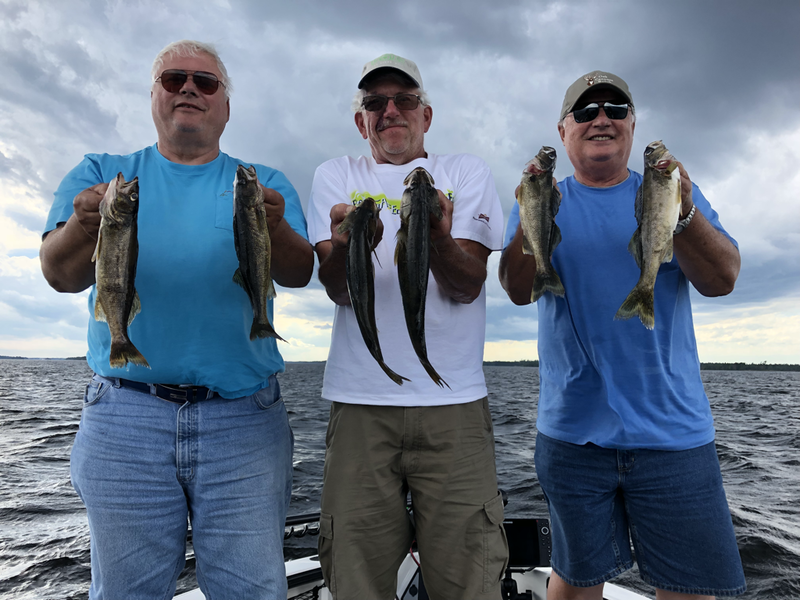 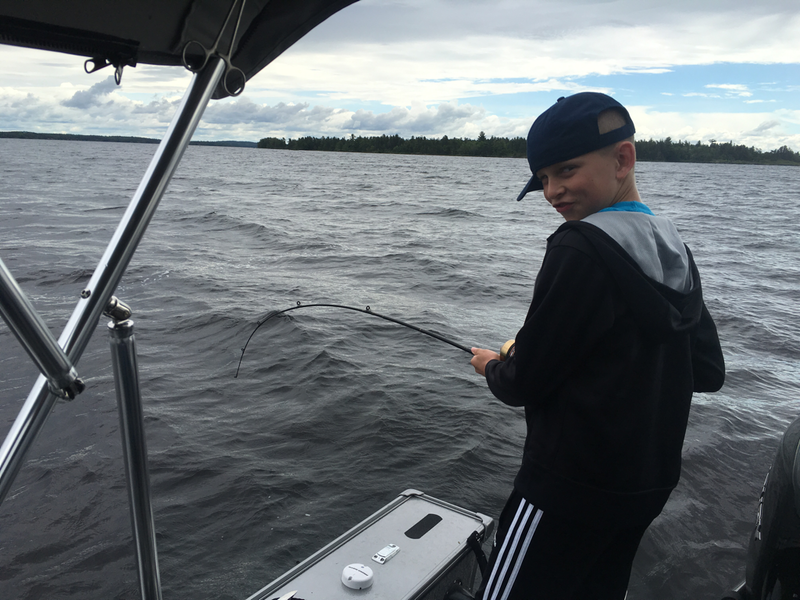 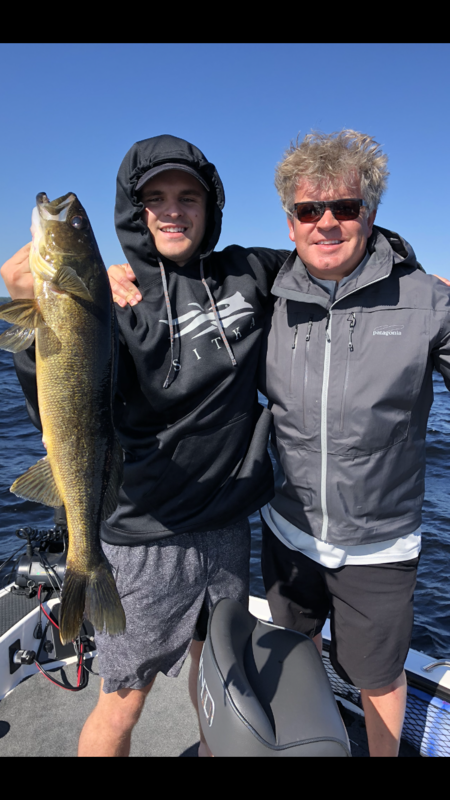 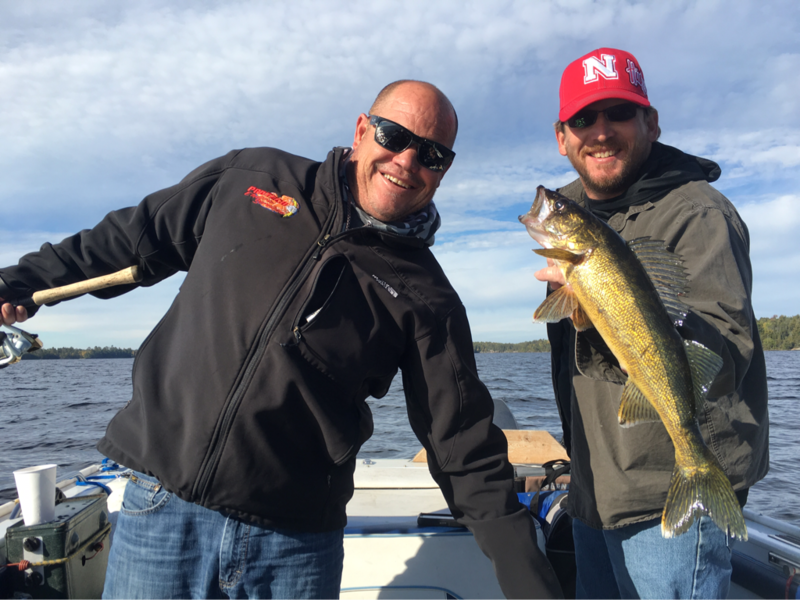 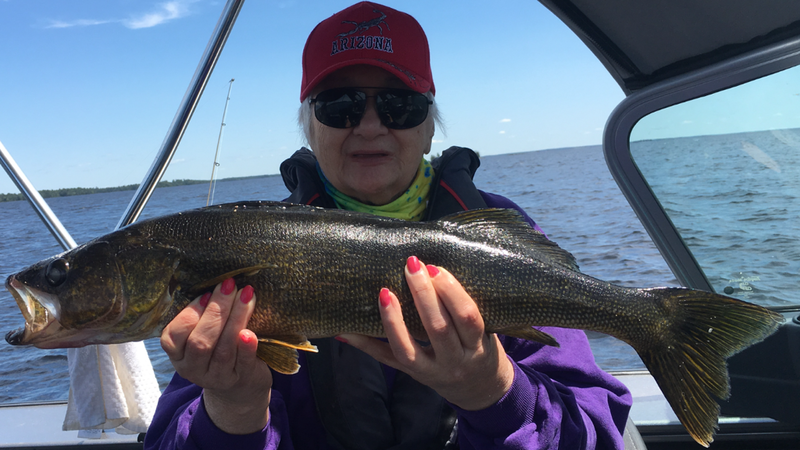 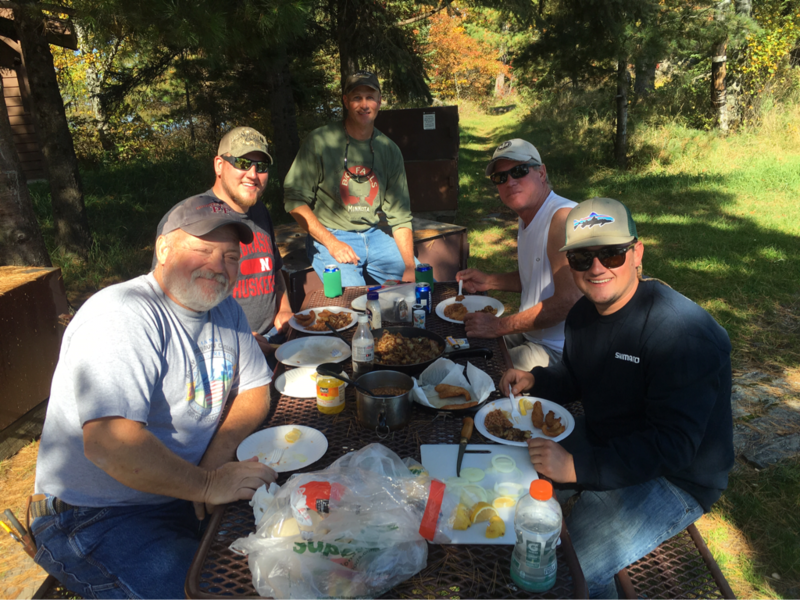 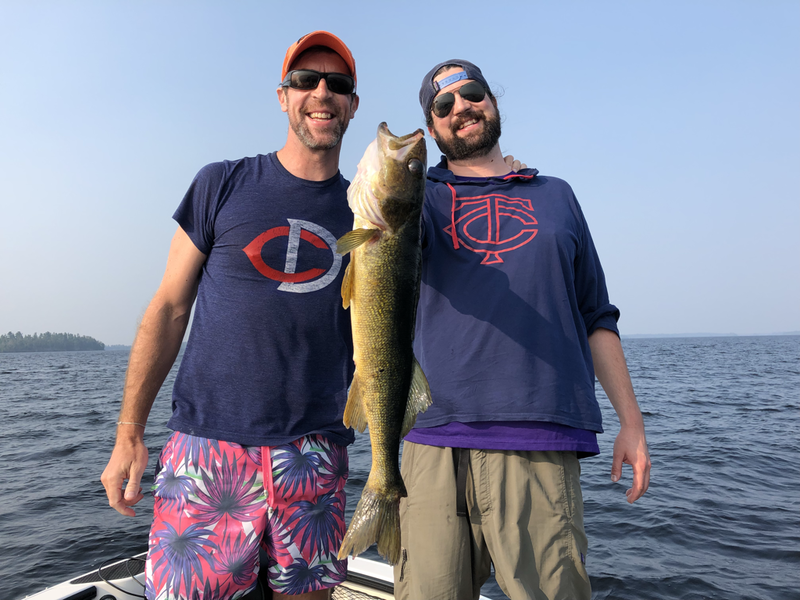 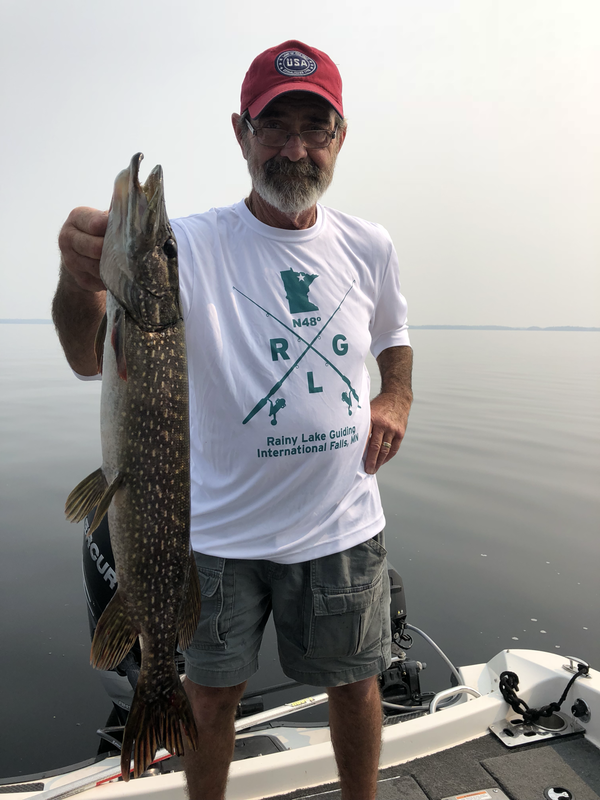 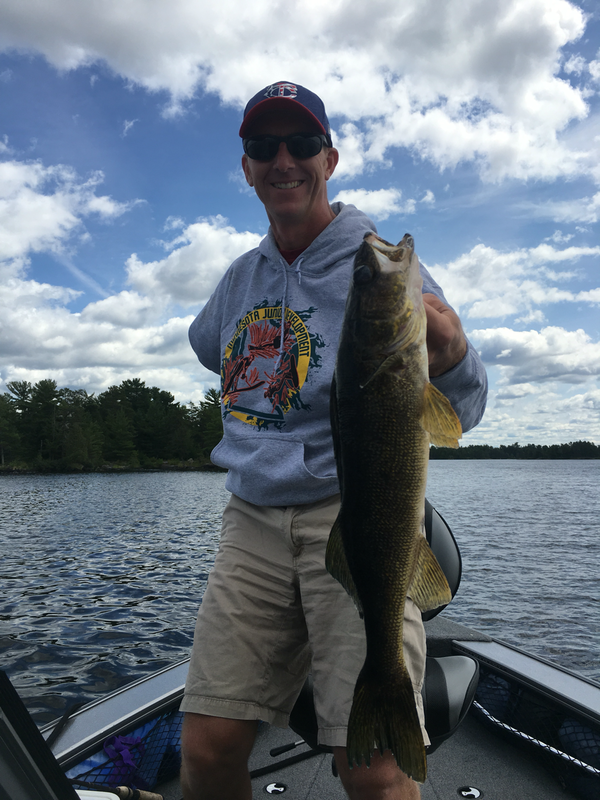 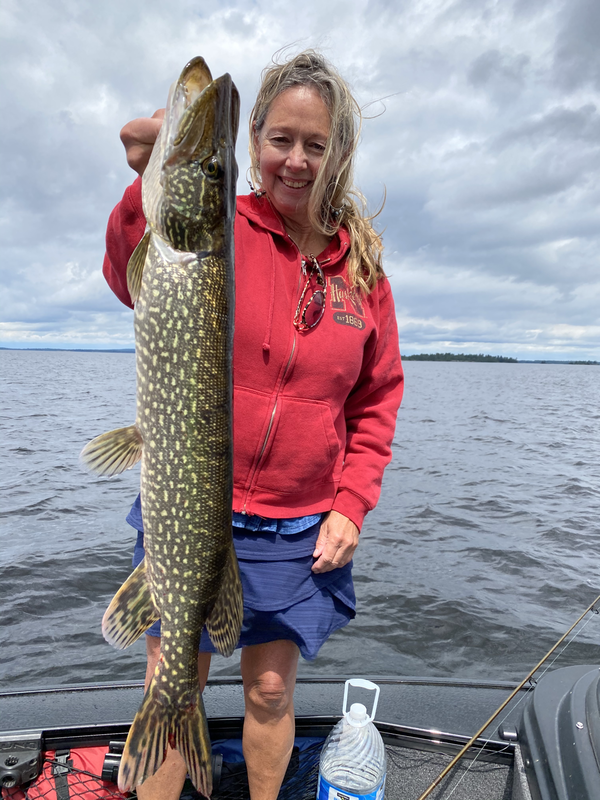 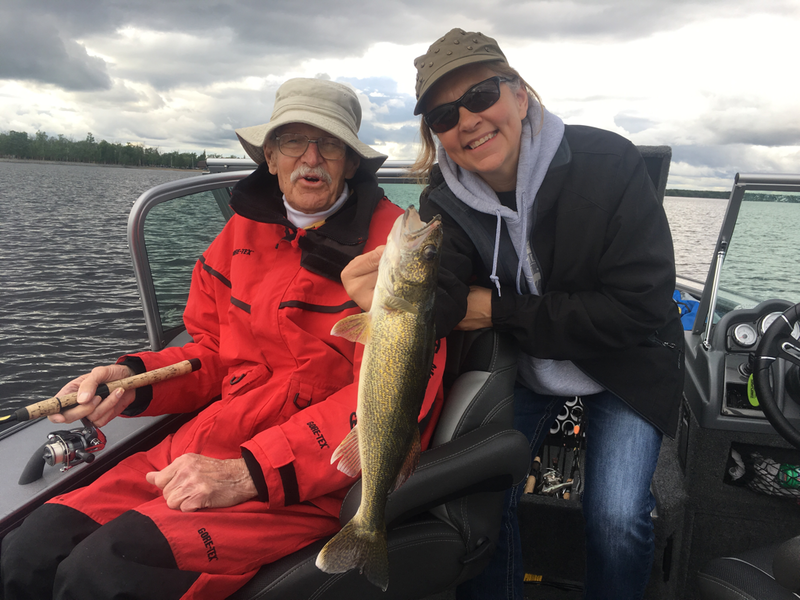 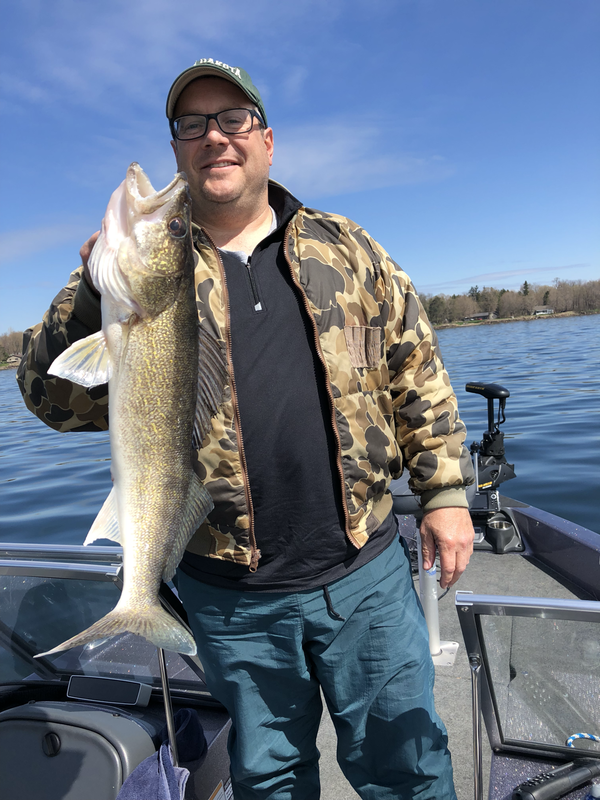 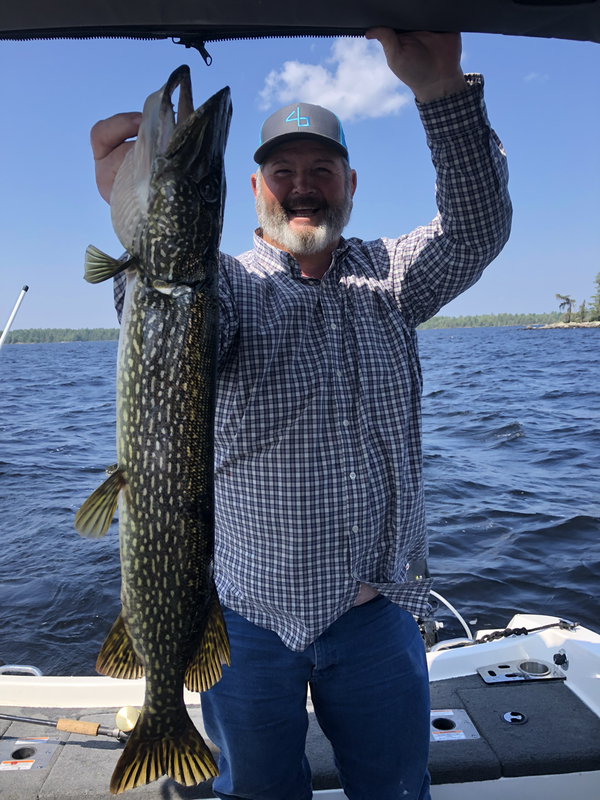 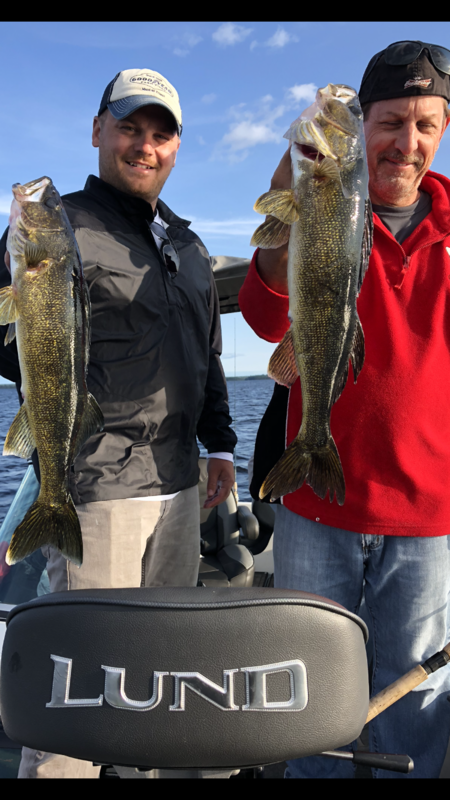 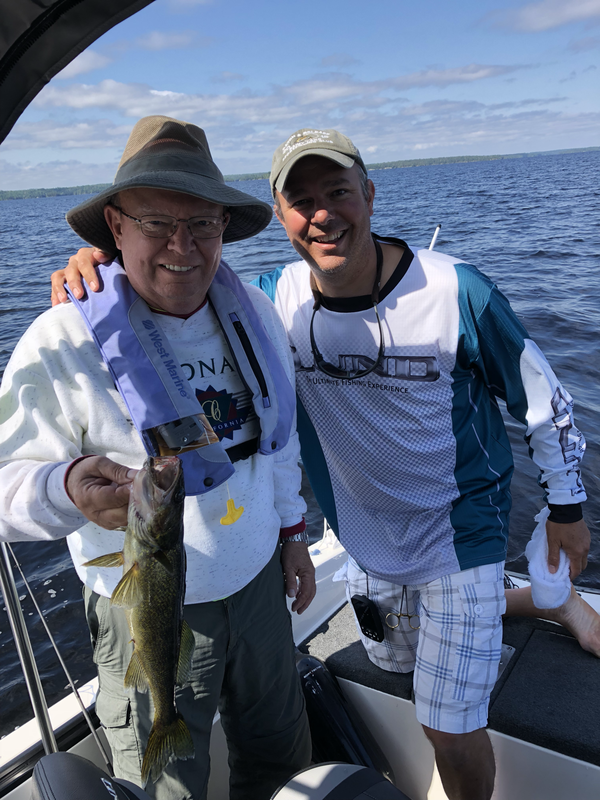 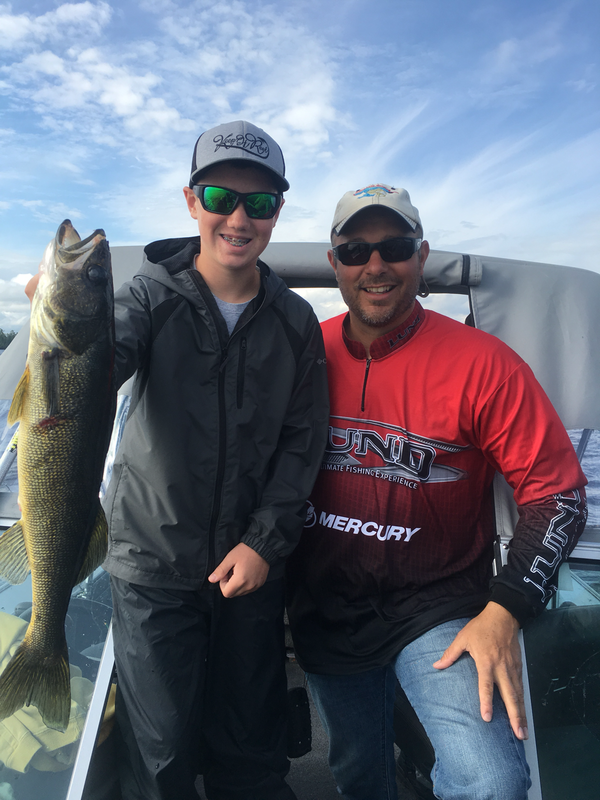 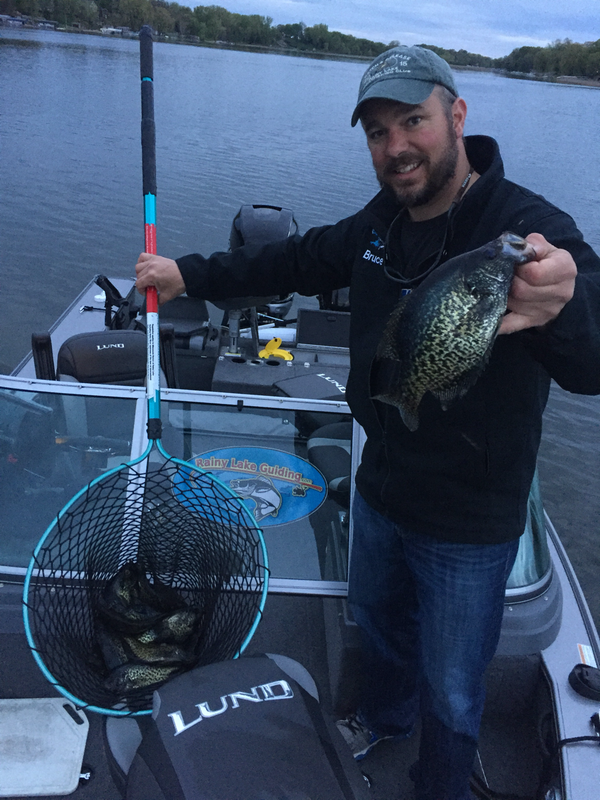 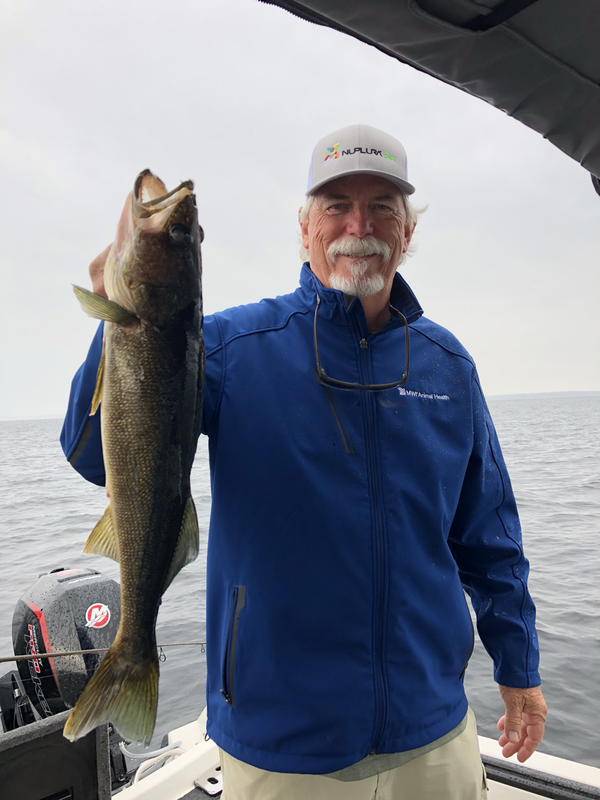 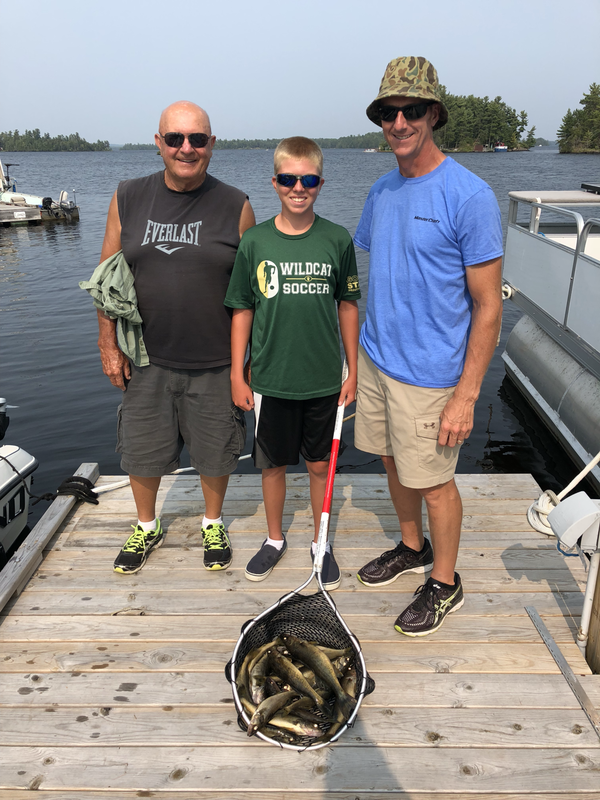 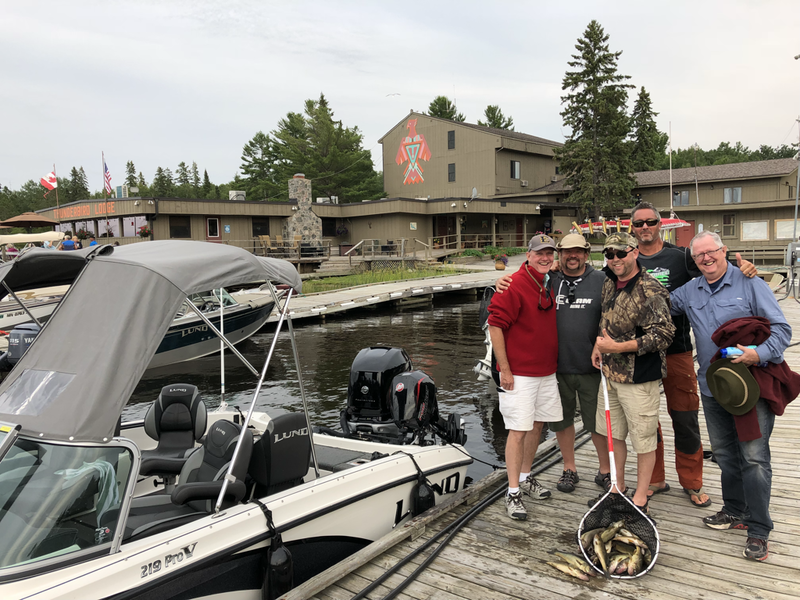 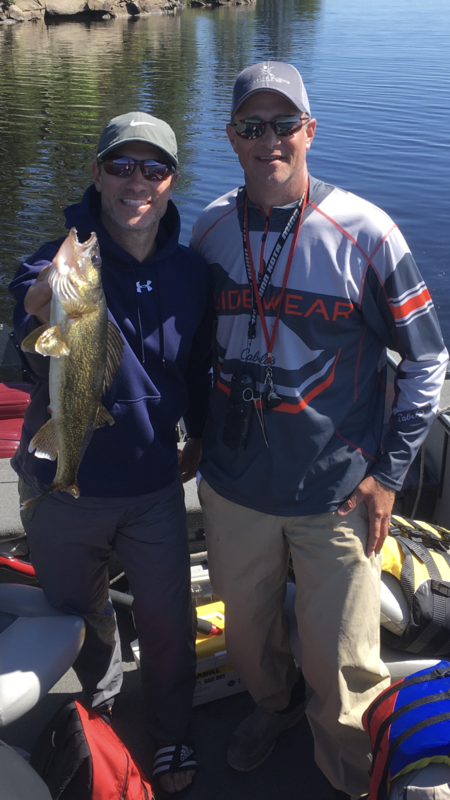 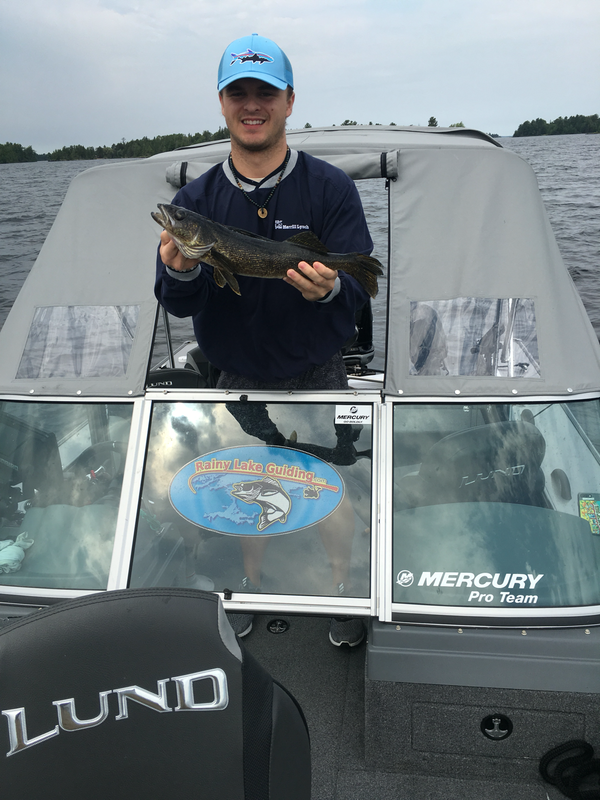 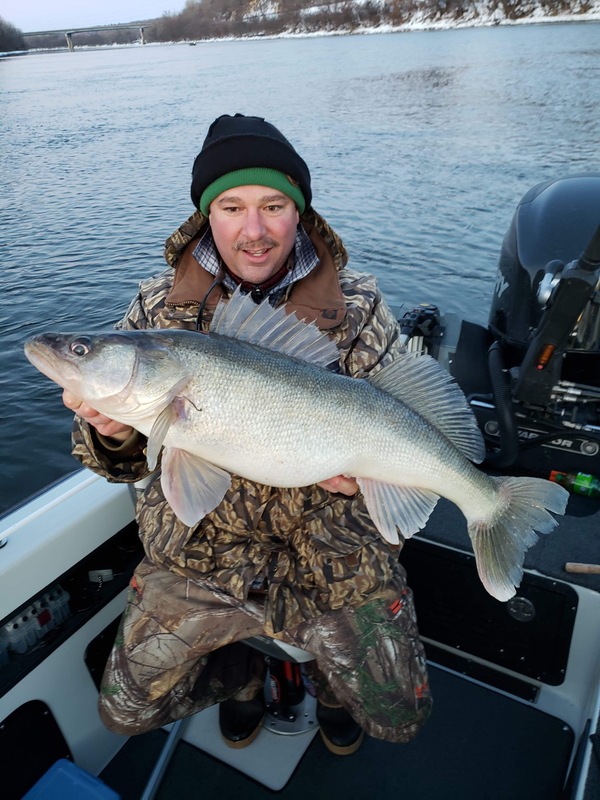 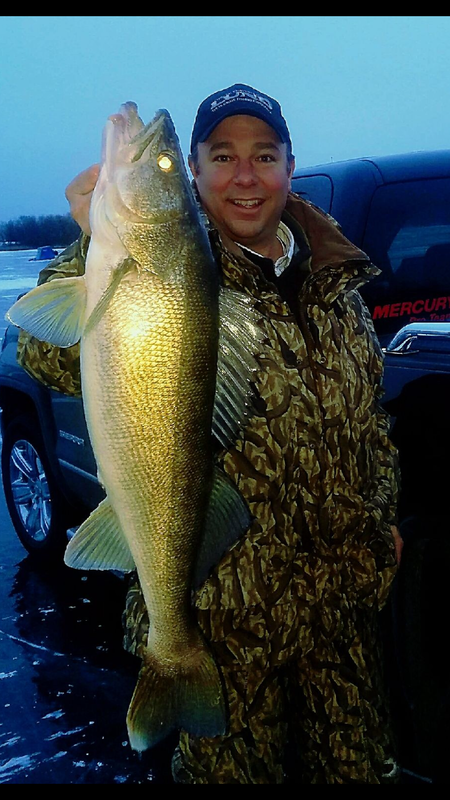 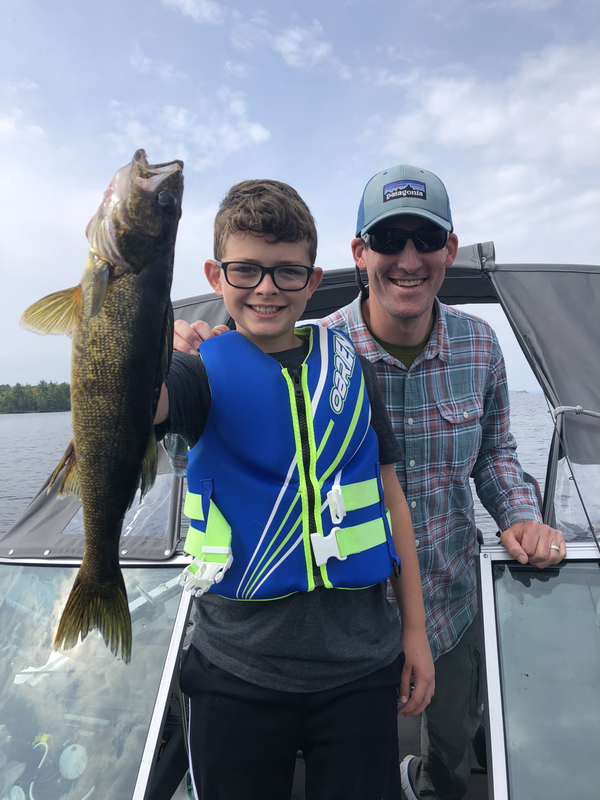 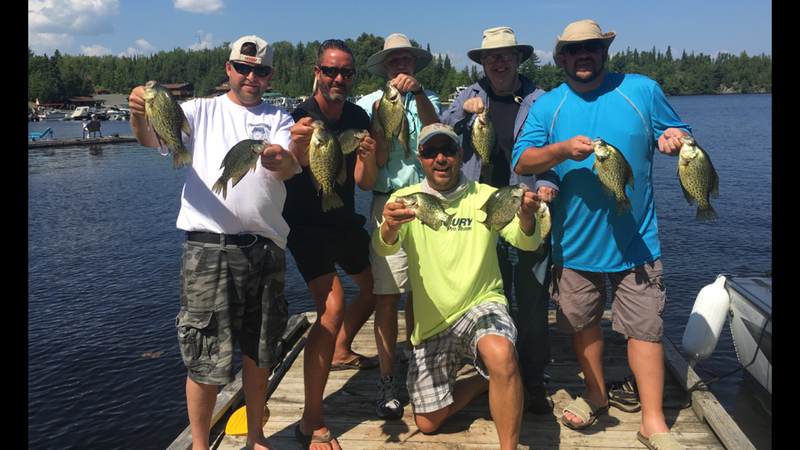 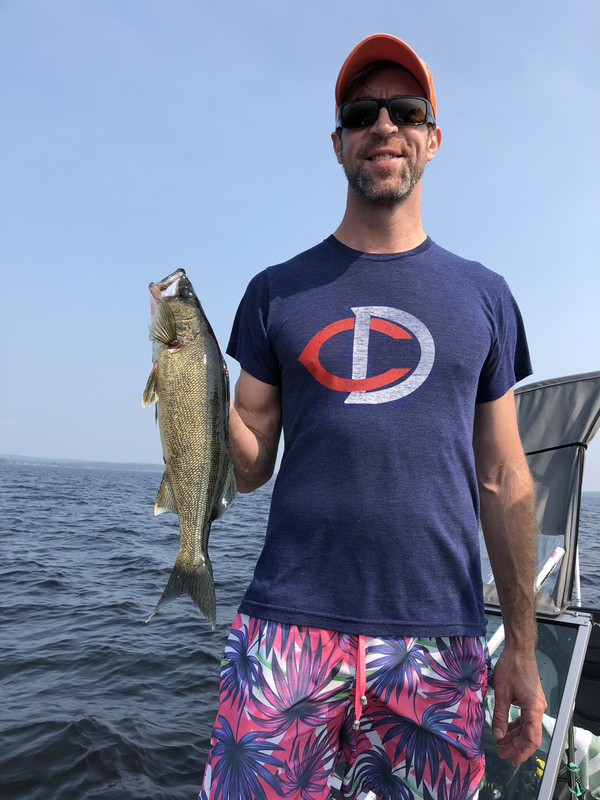 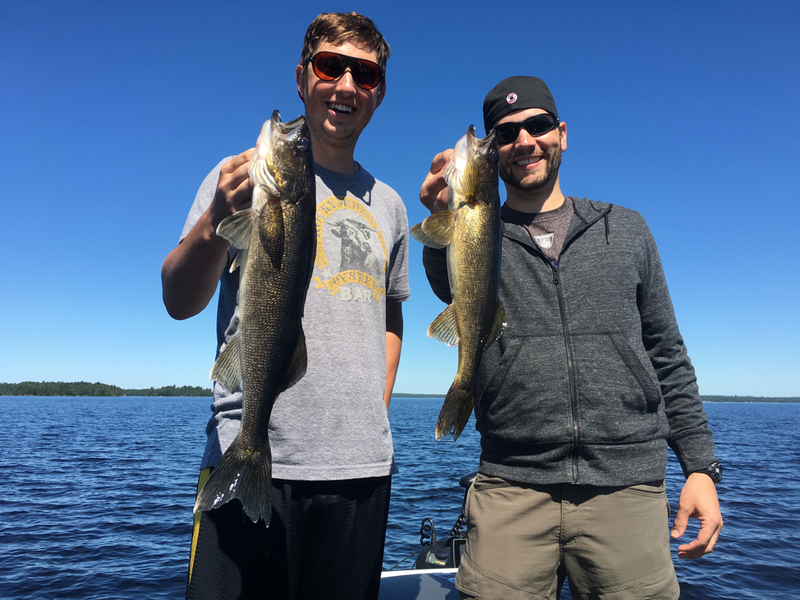 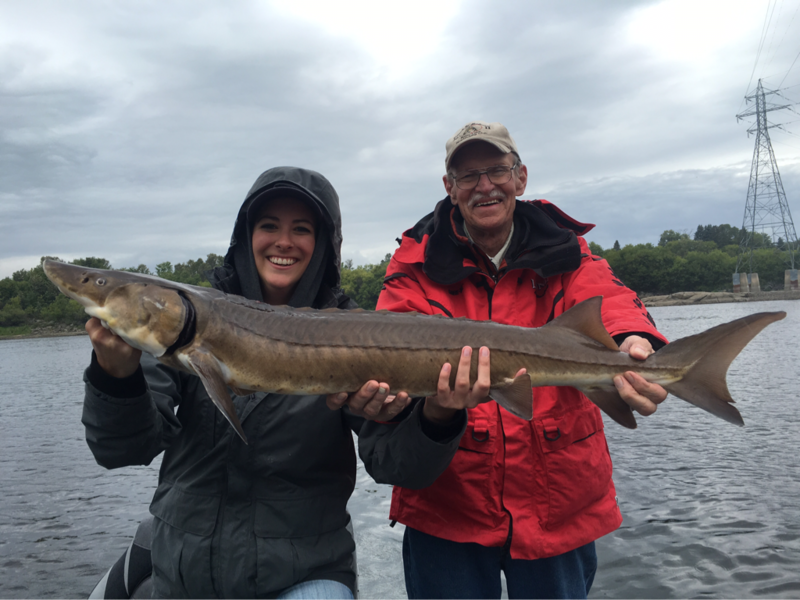 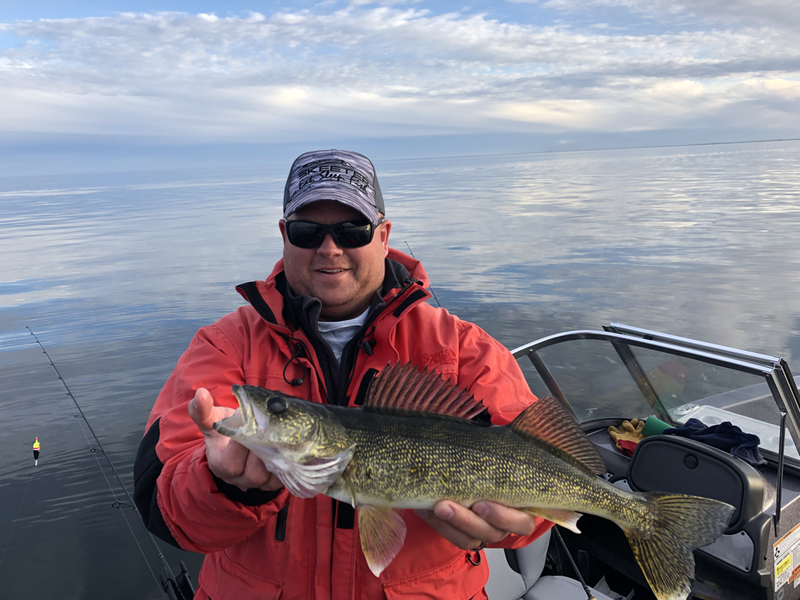 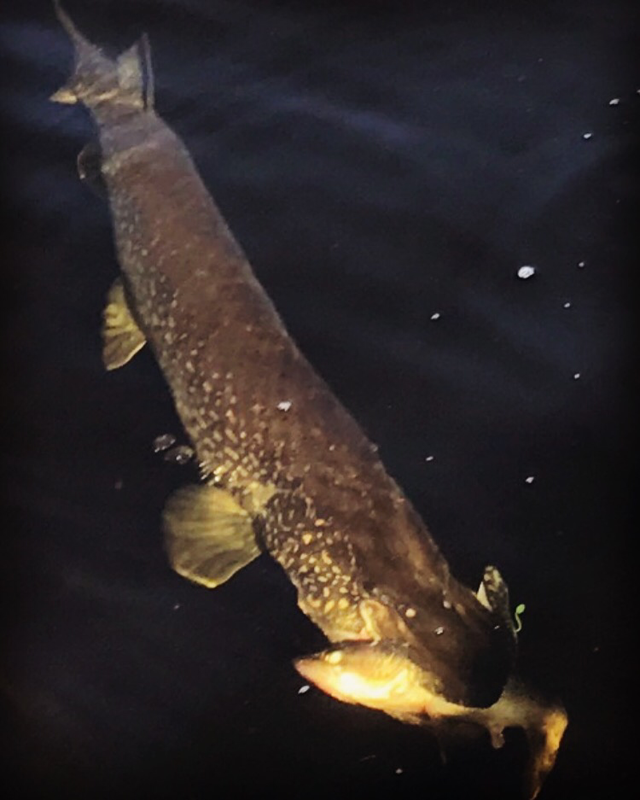 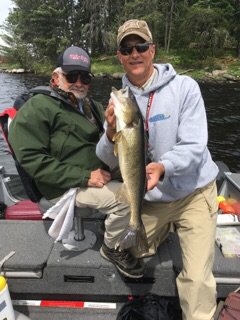 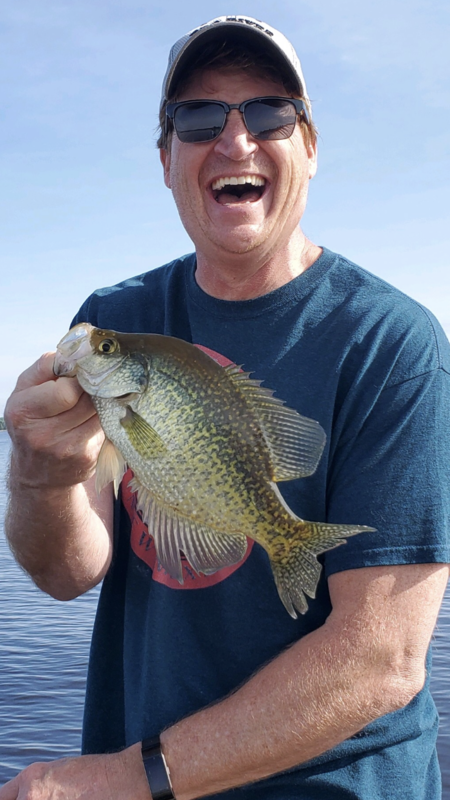 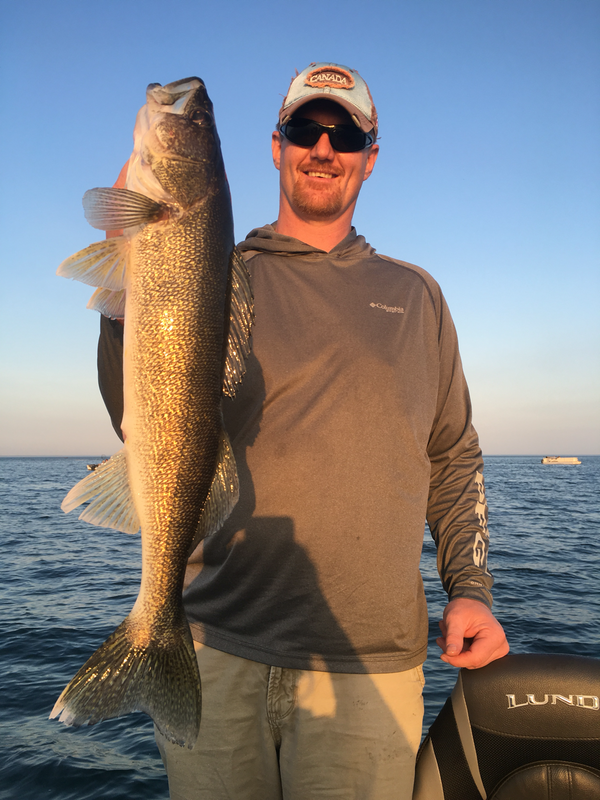 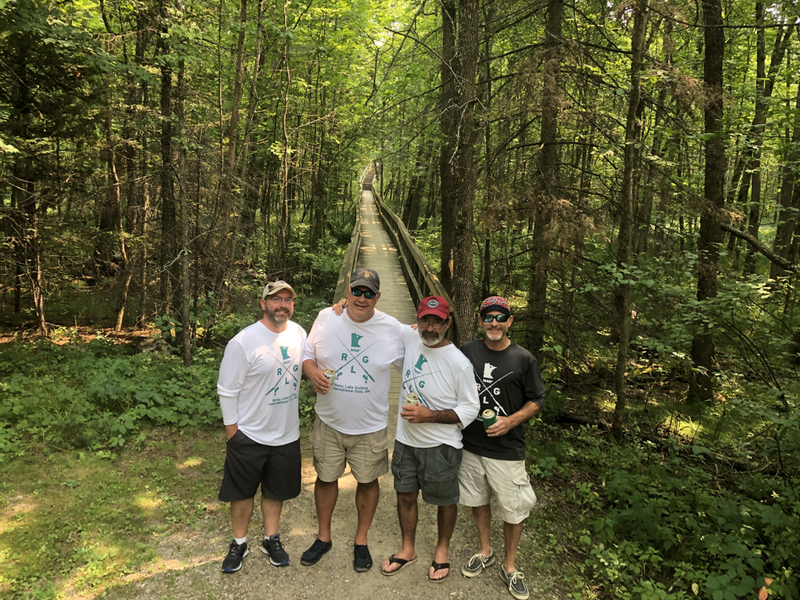 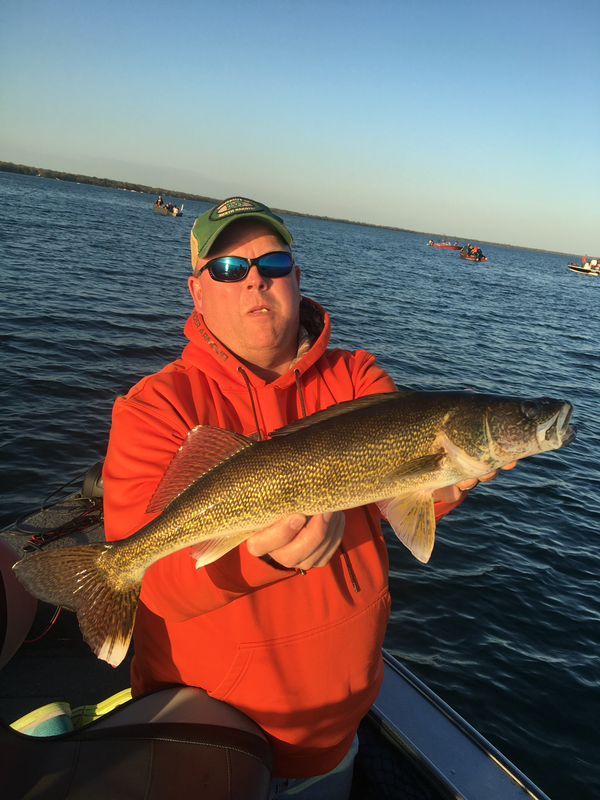 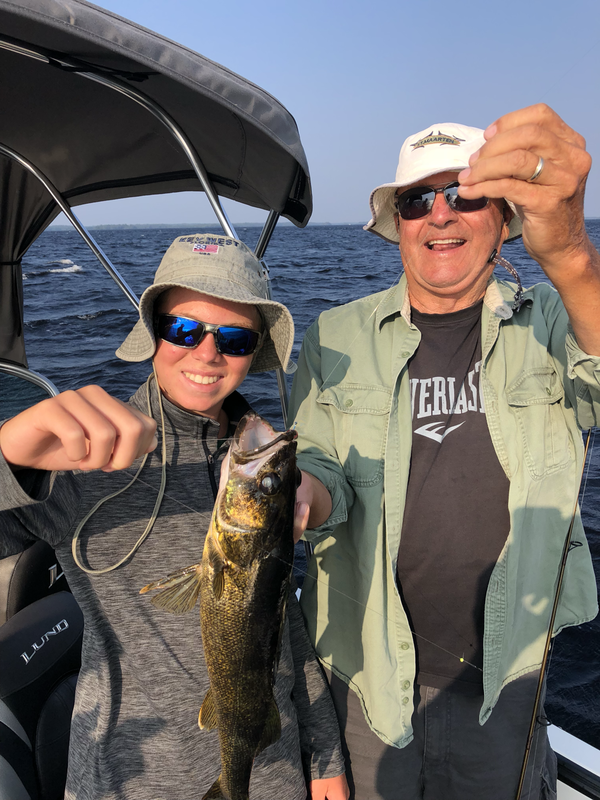 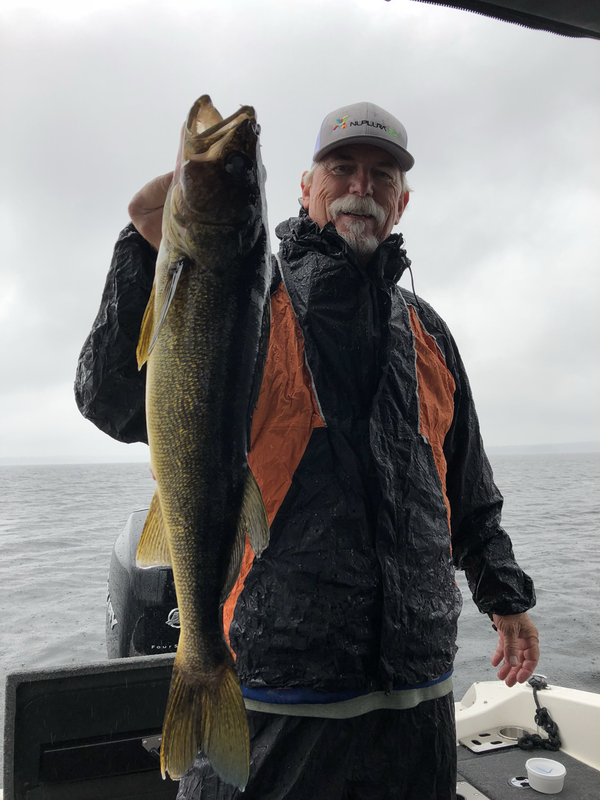 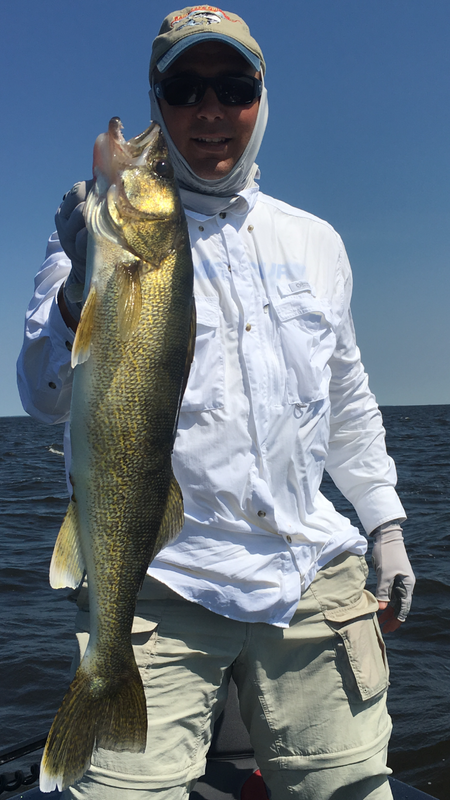 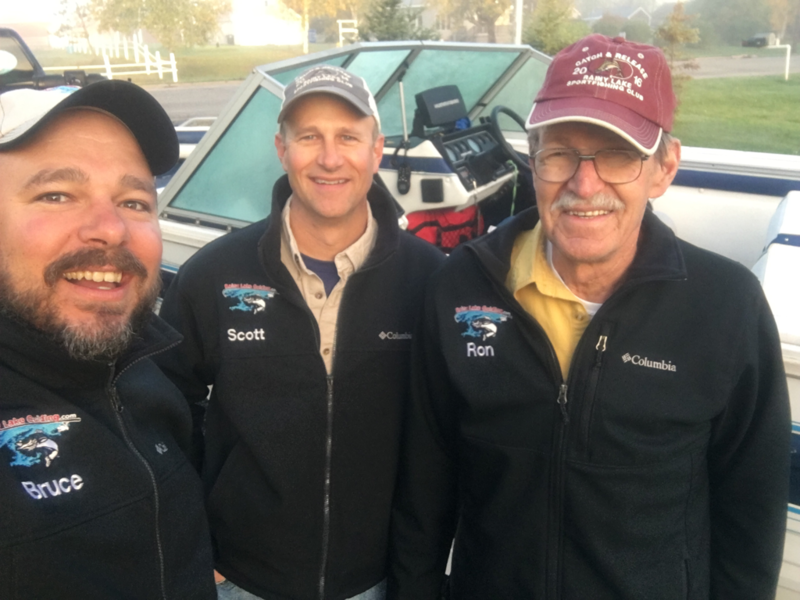 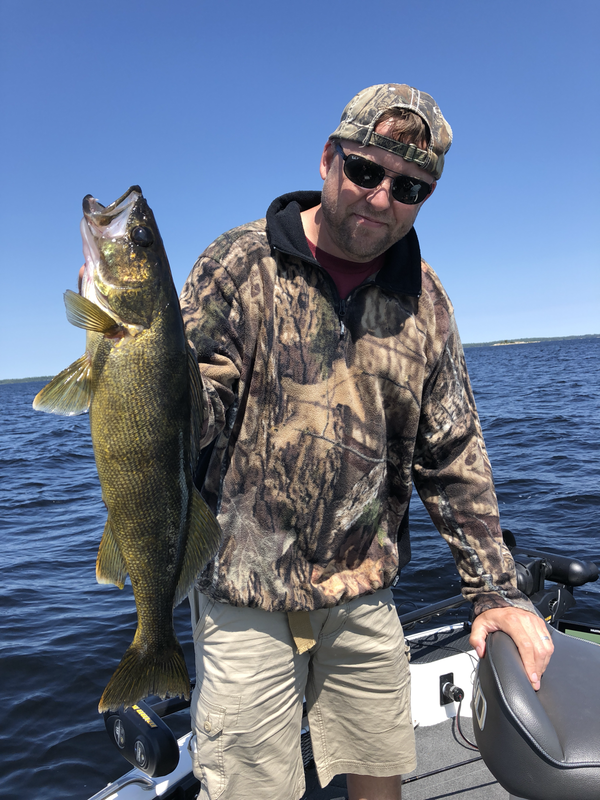 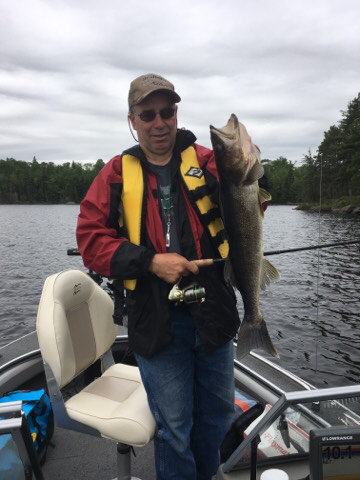 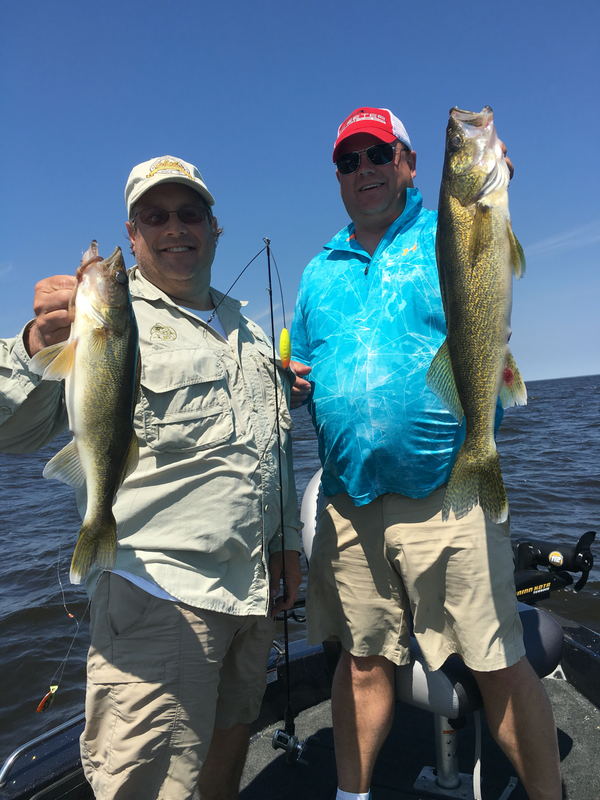 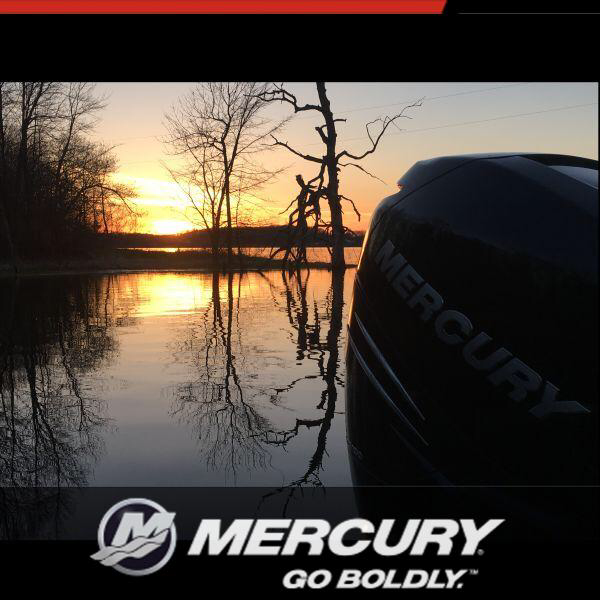 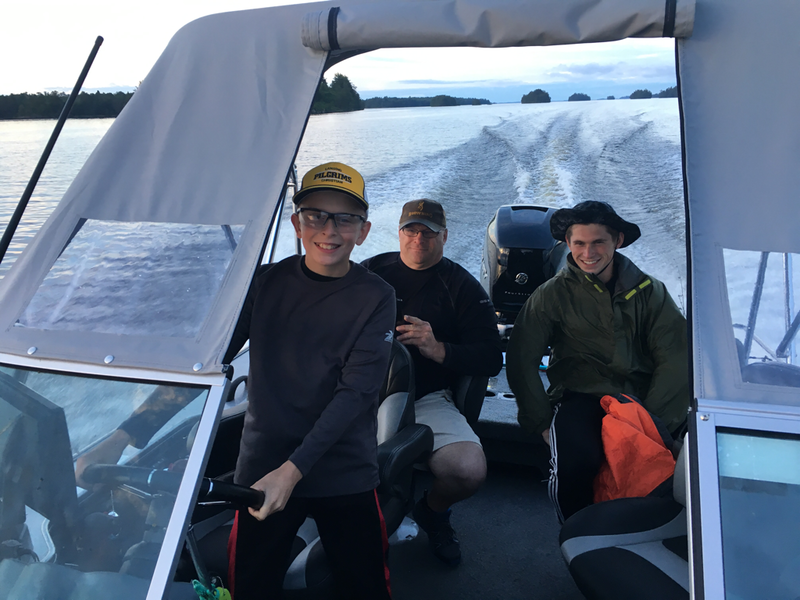 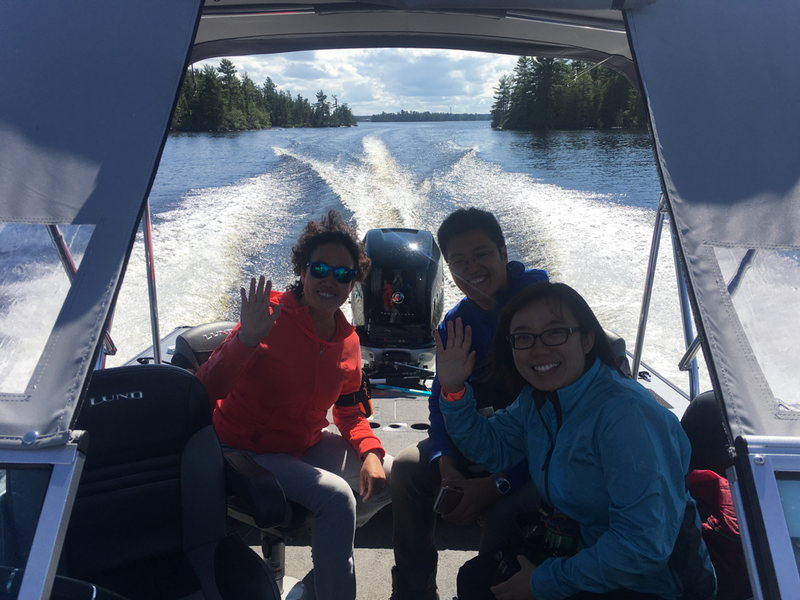 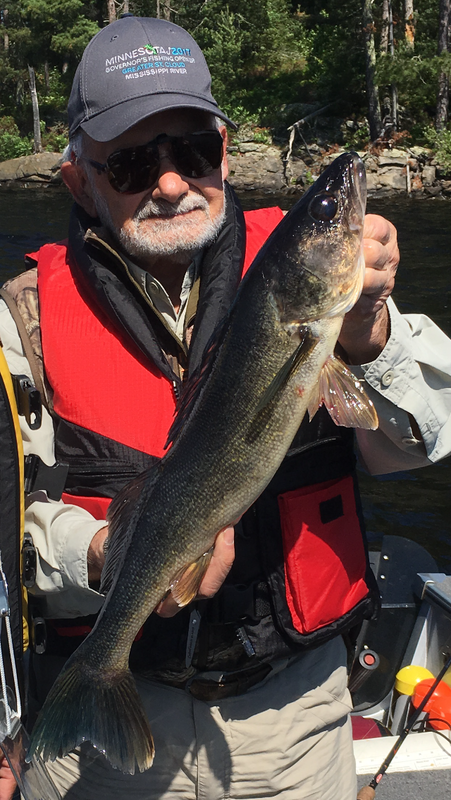 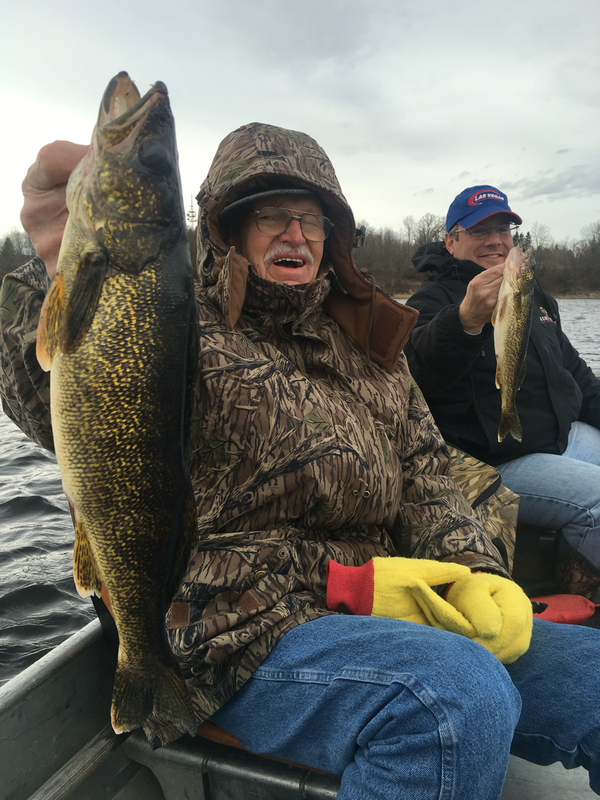 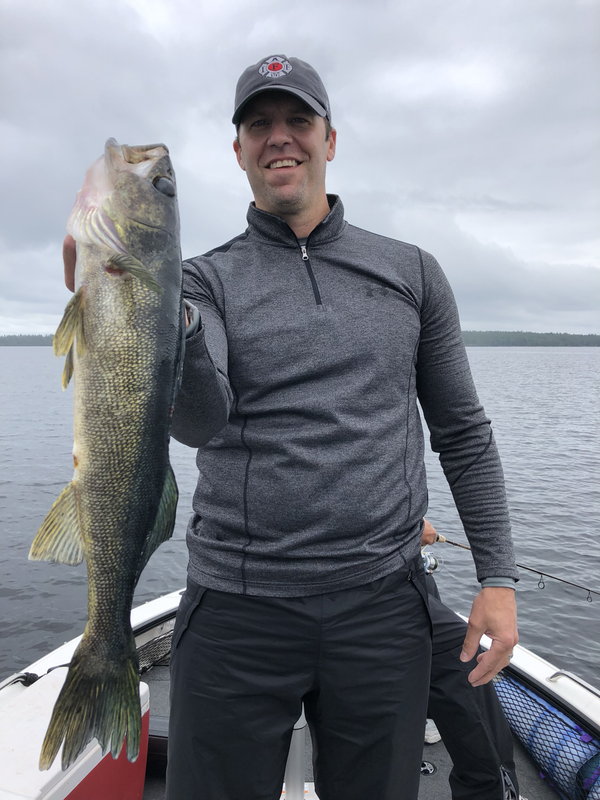 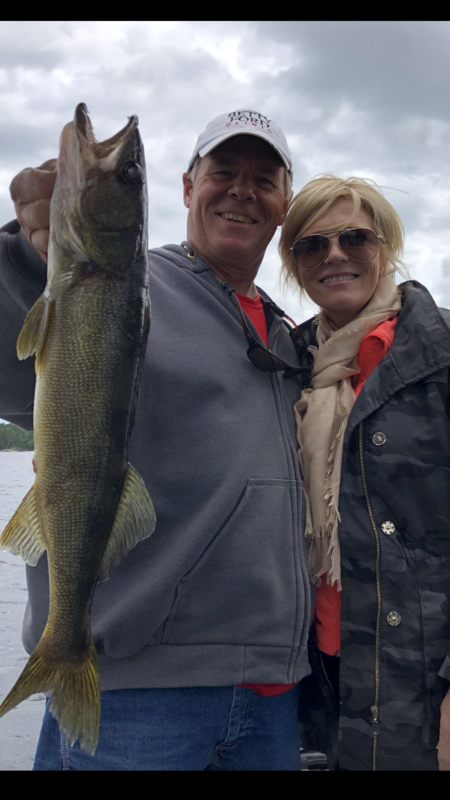 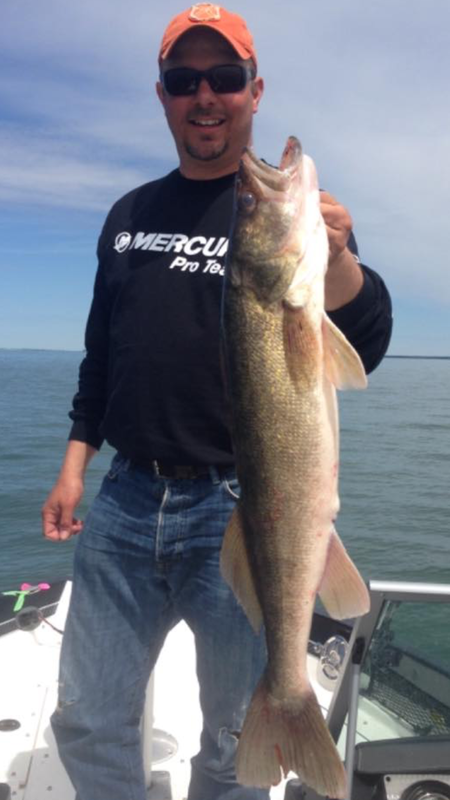 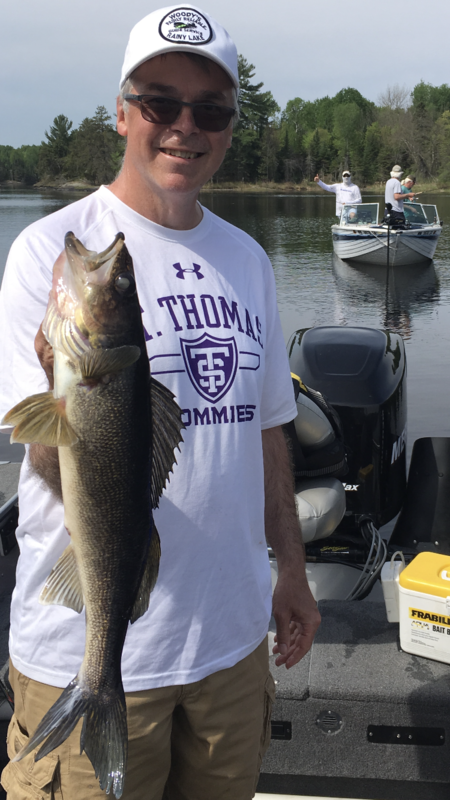 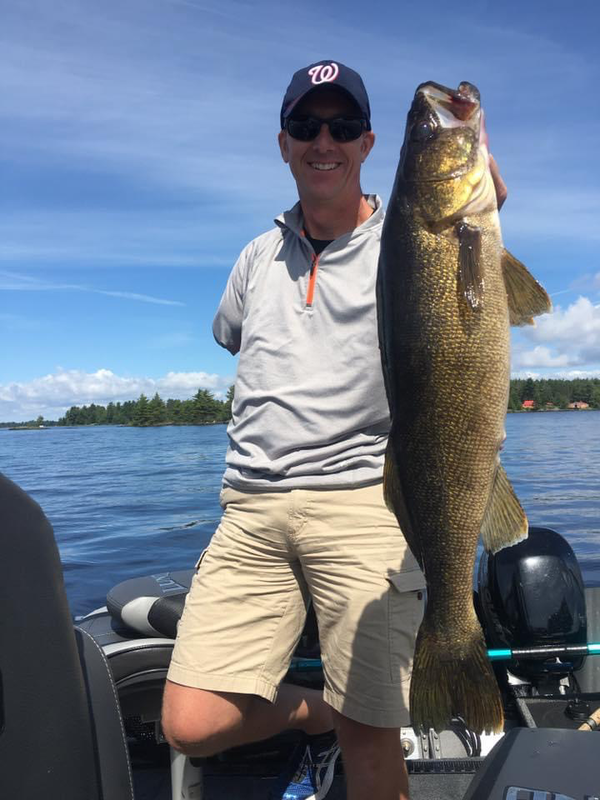 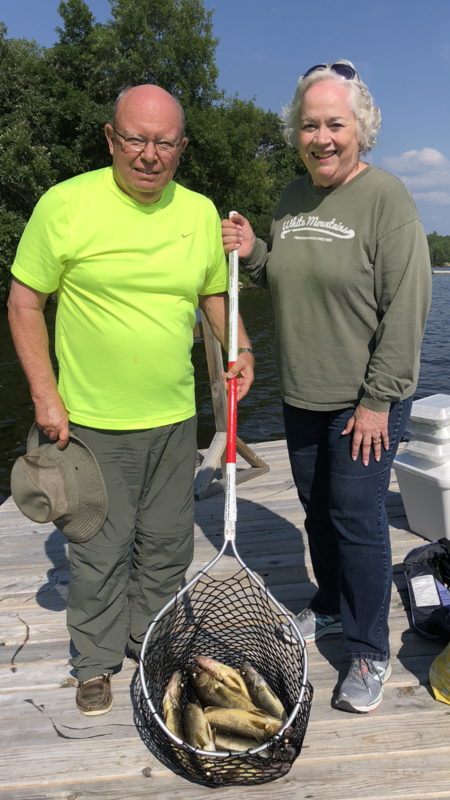 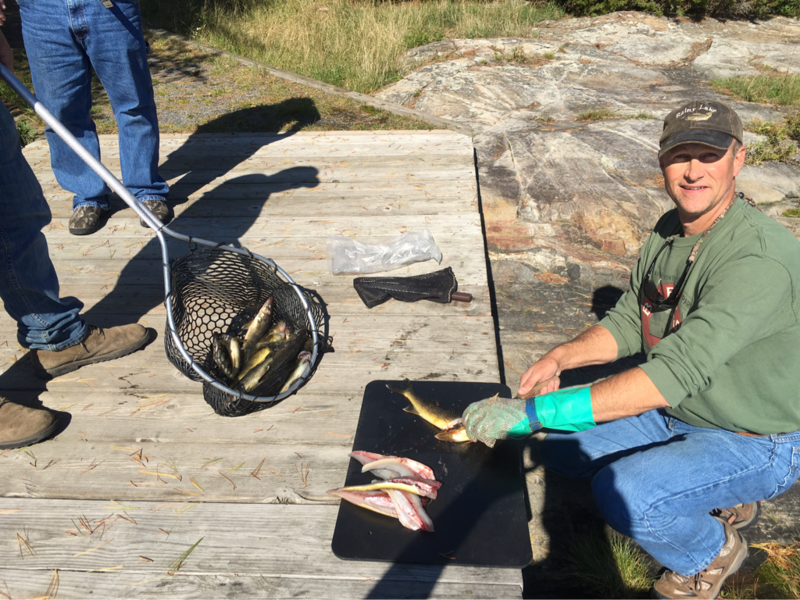 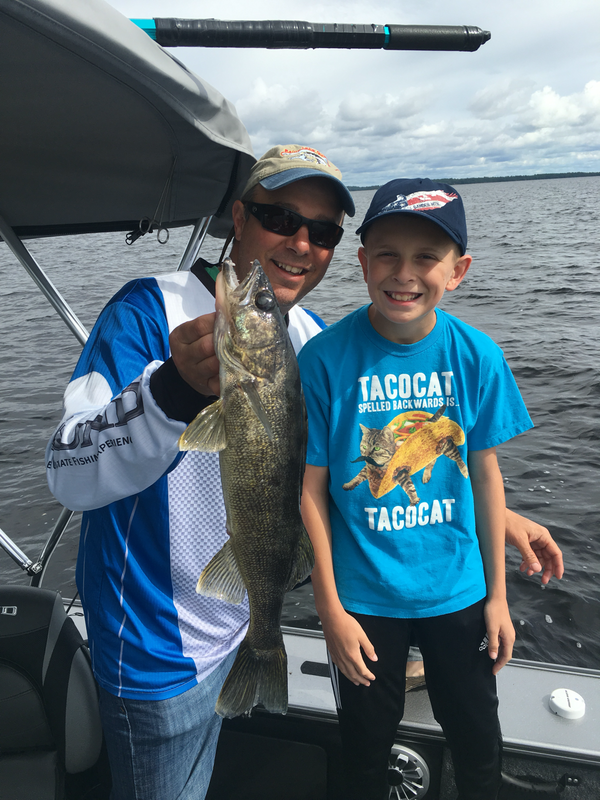 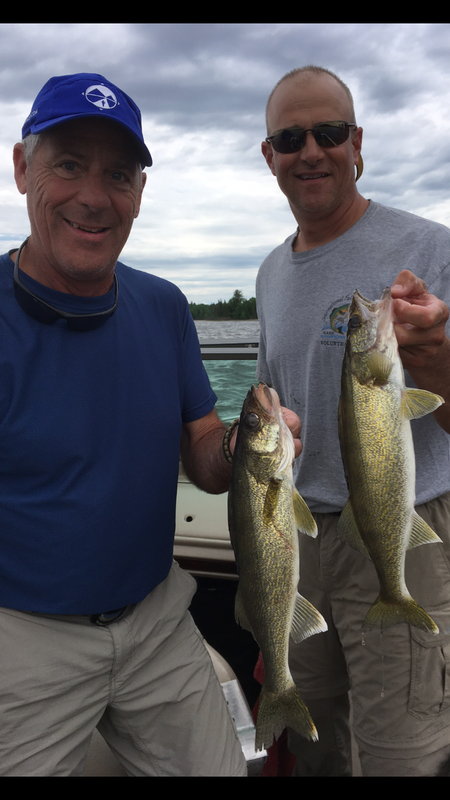 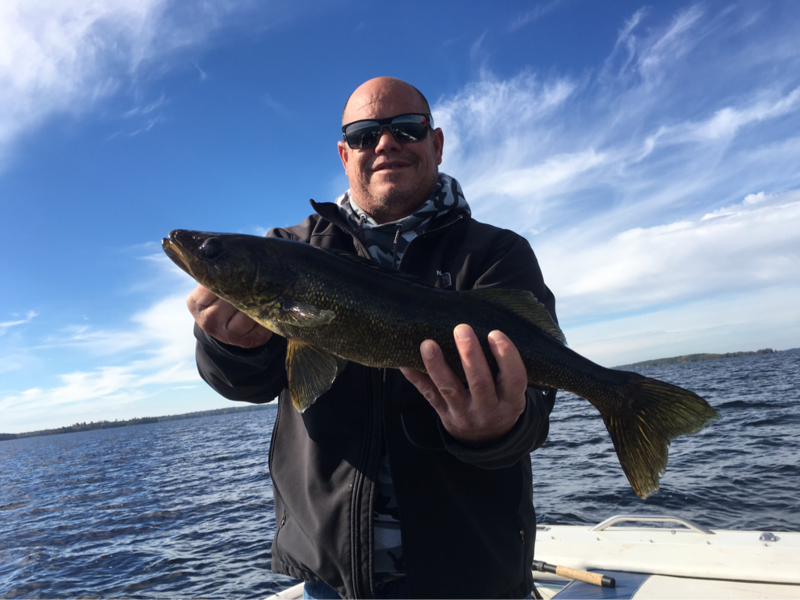 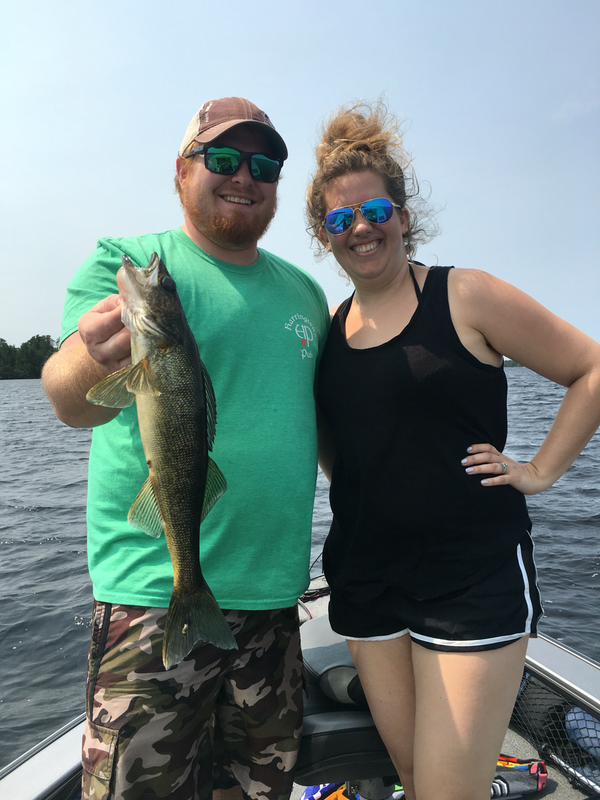 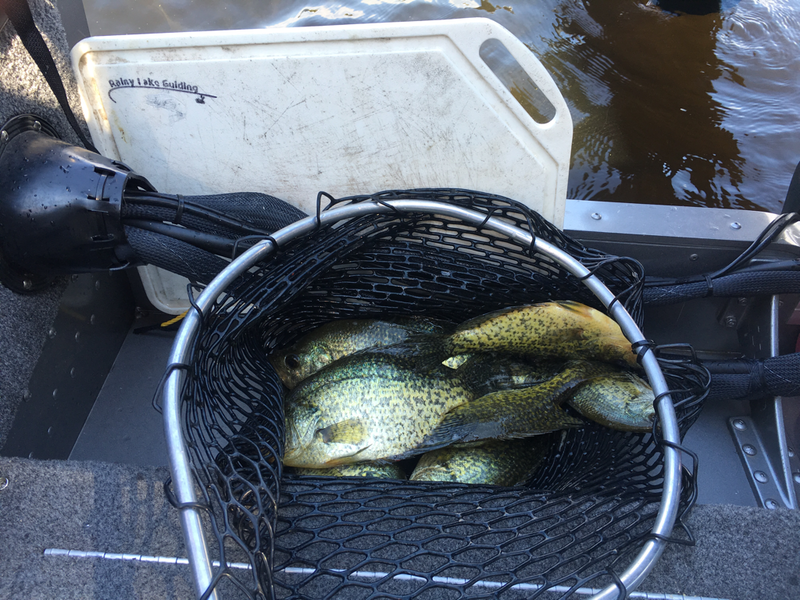 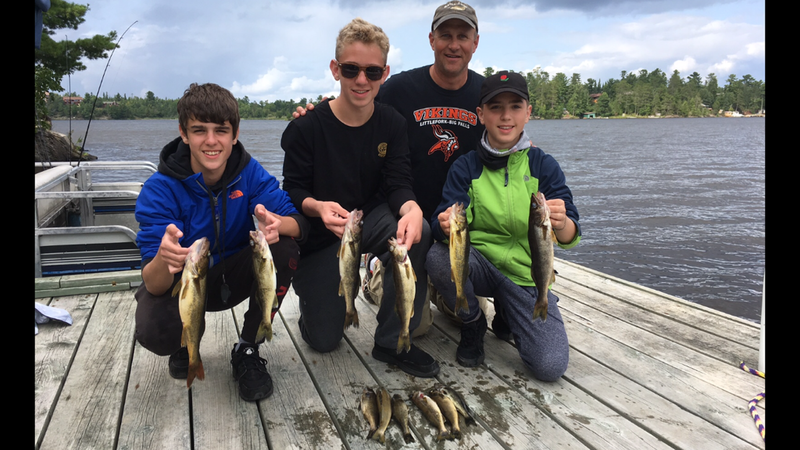 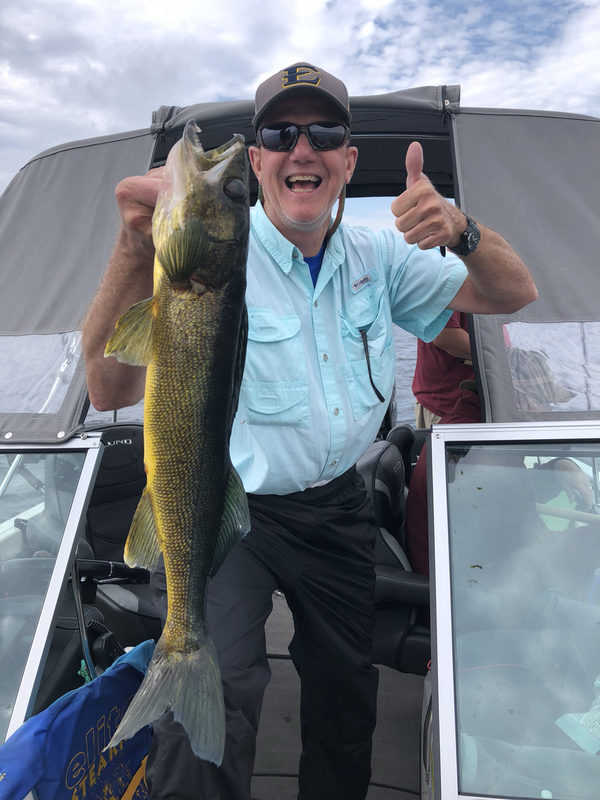 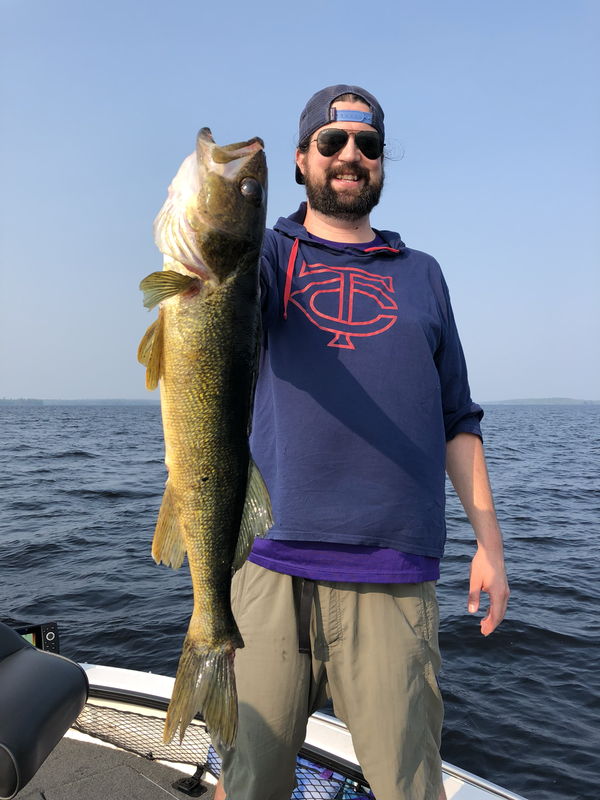 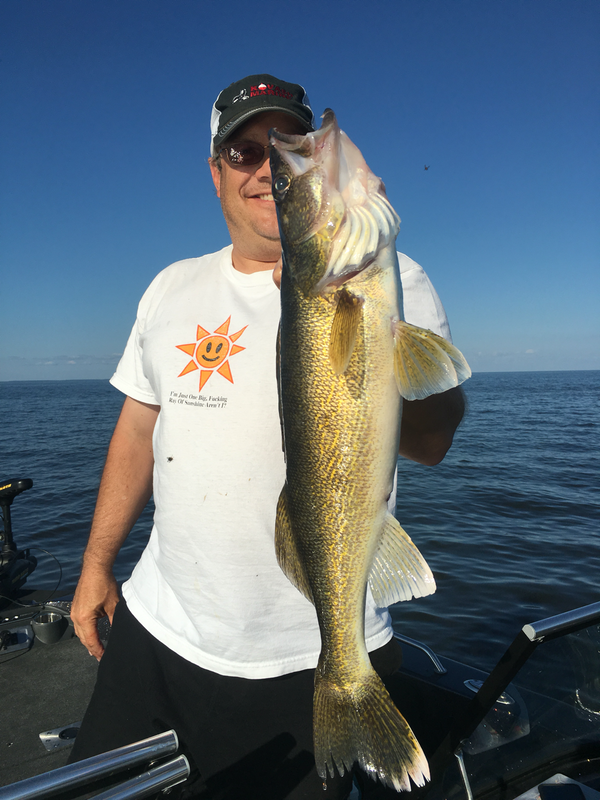 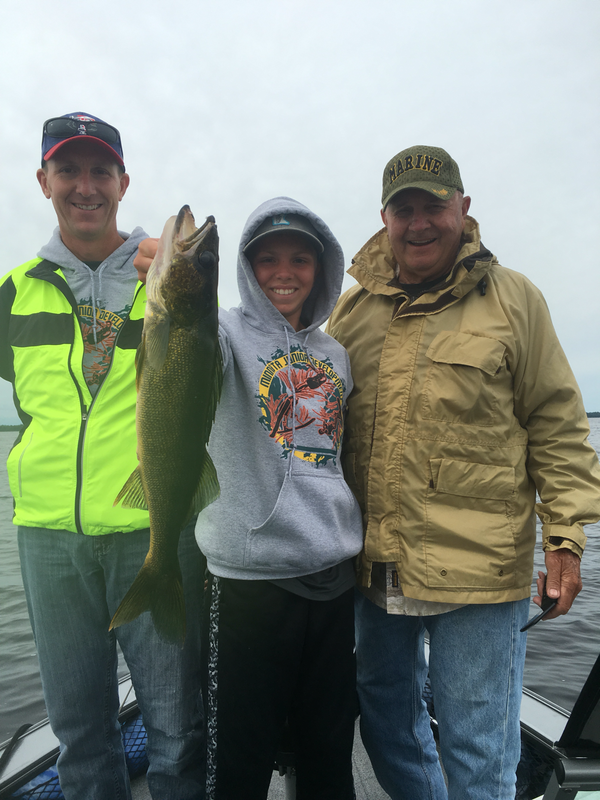 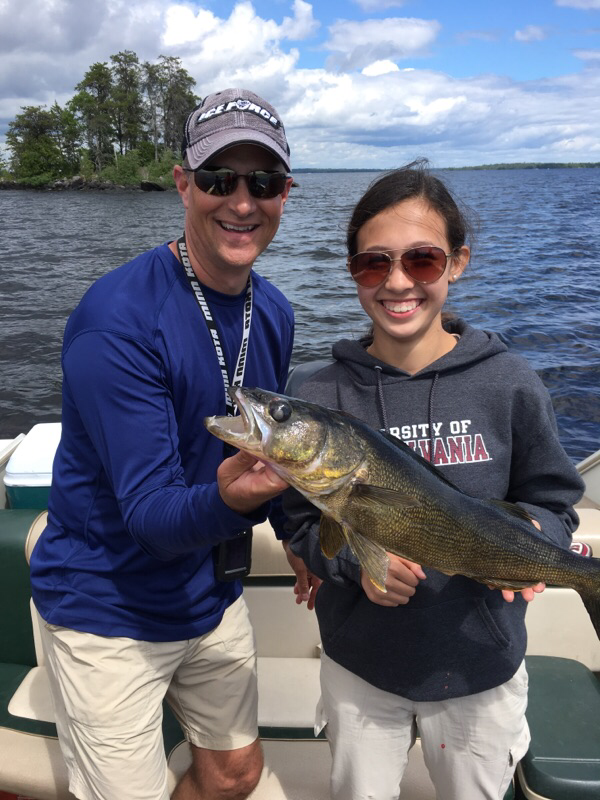 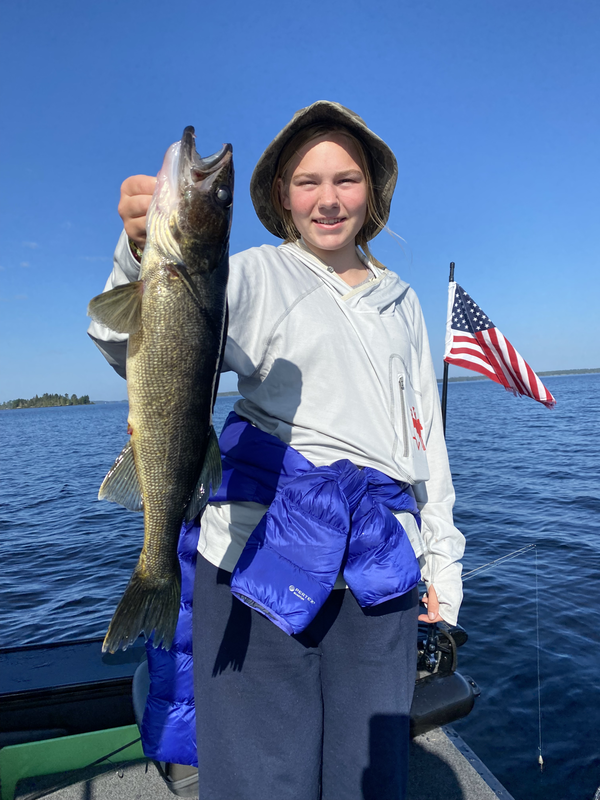 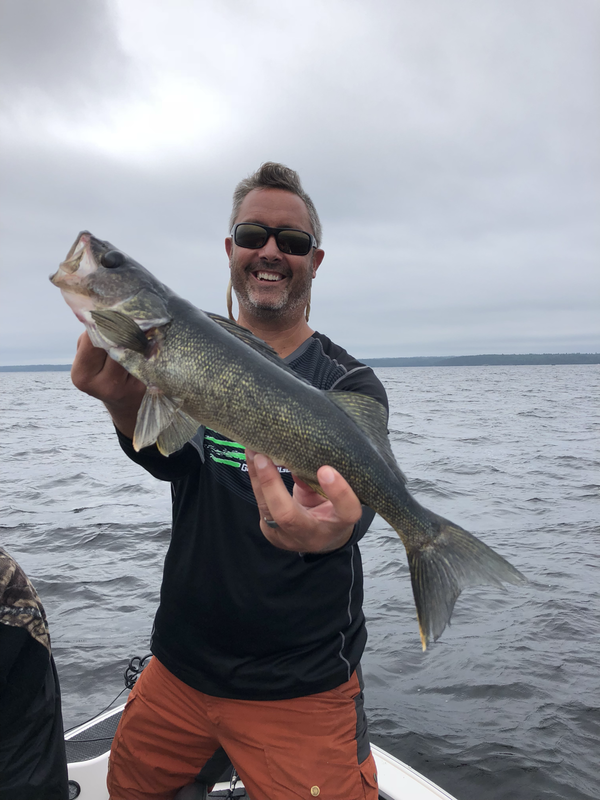 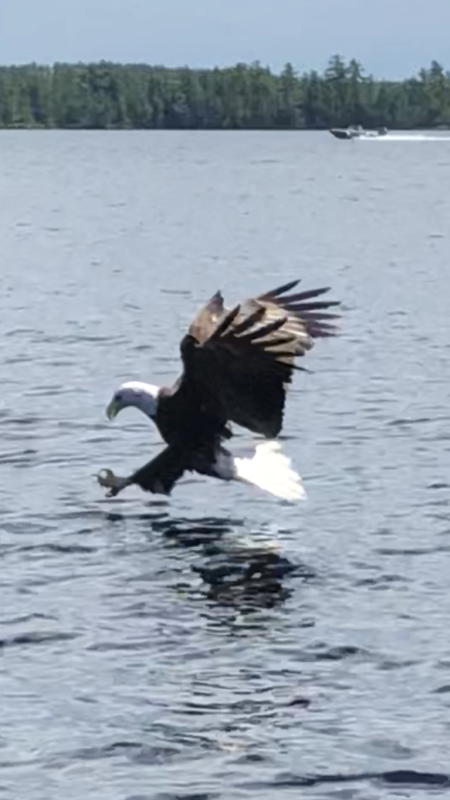 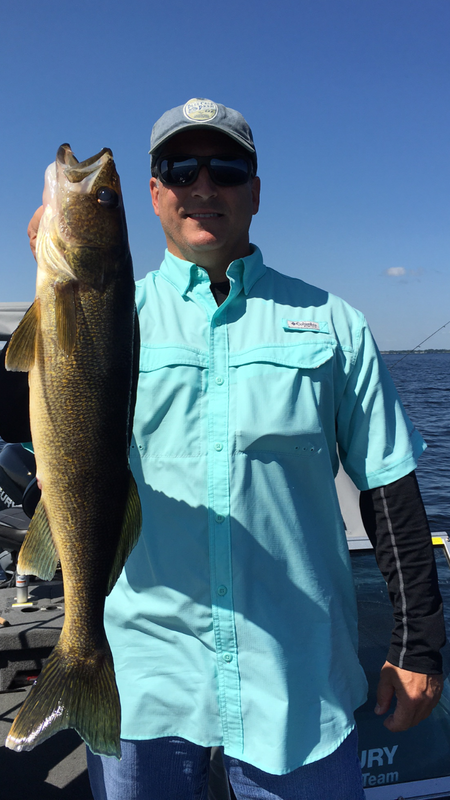 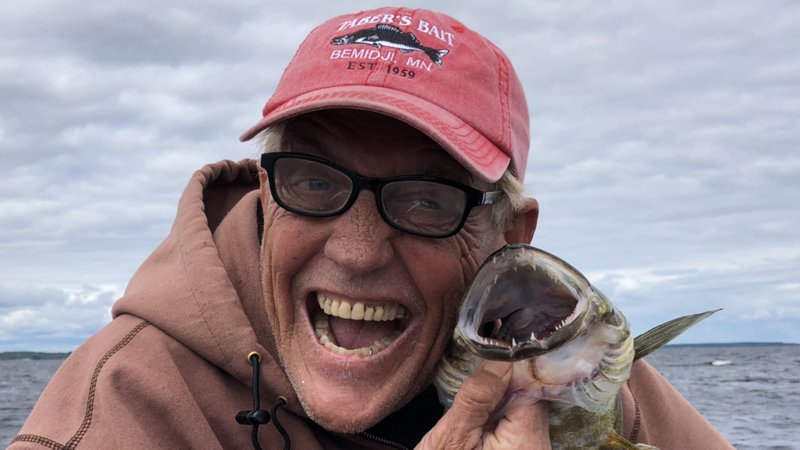 Rainy Lake Guiding fish cleaning guru Scott. 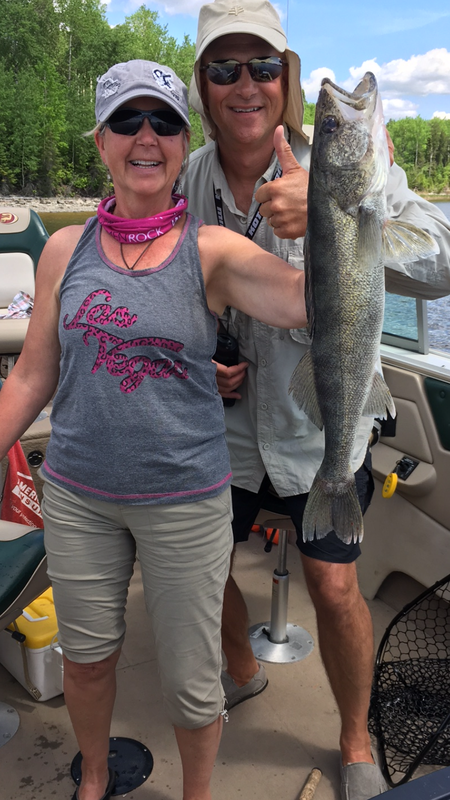 Erika Mitchell with Captain Ron.